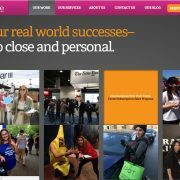 Take a trip down memory lane with me as we review what's left of my older sites miraculously still living in Drupal 6 land. 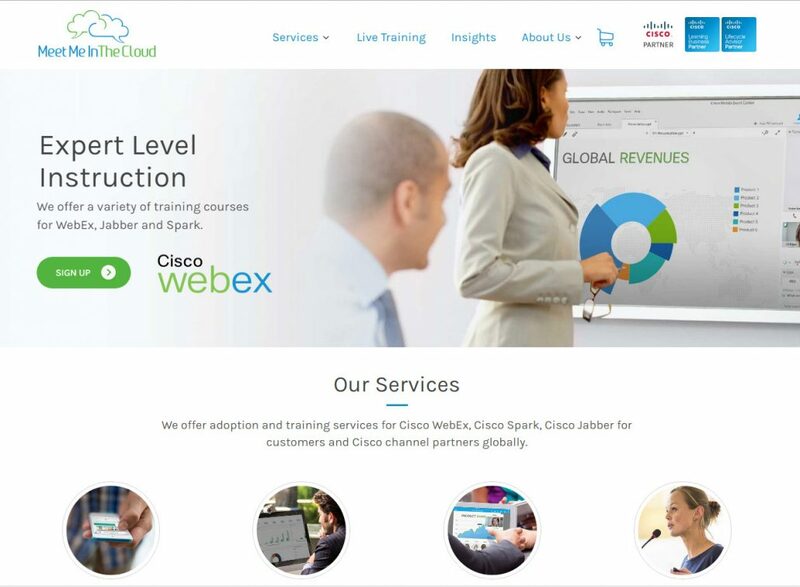 This Drupal 8 custom theme built in collaboration with LMD Agency. 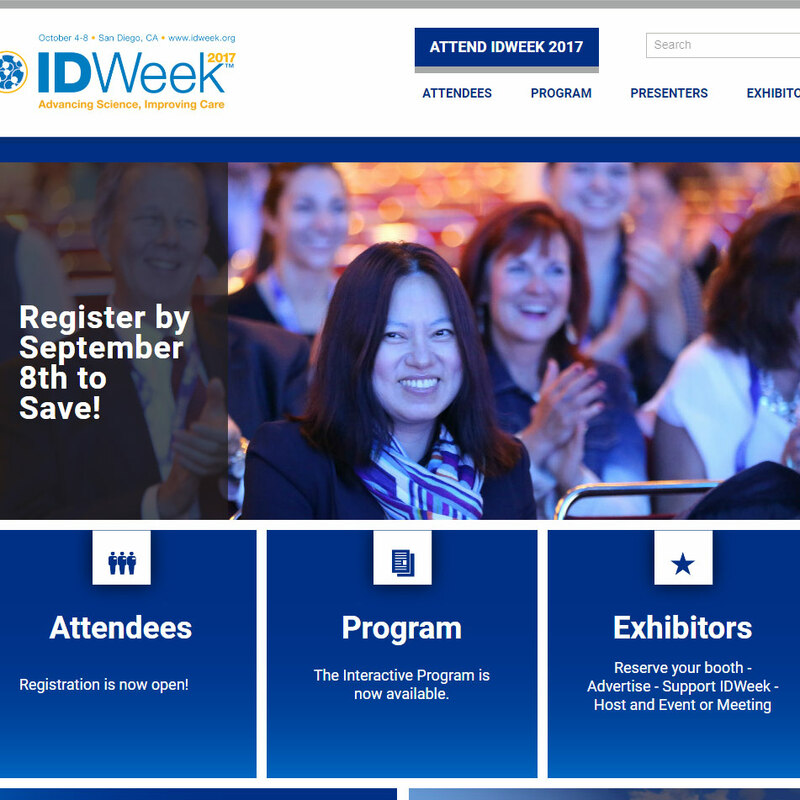 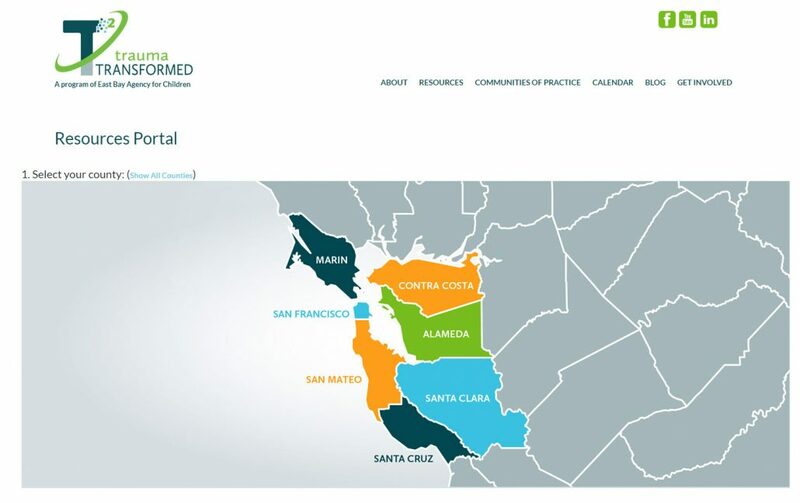 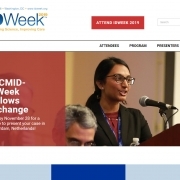 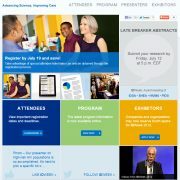 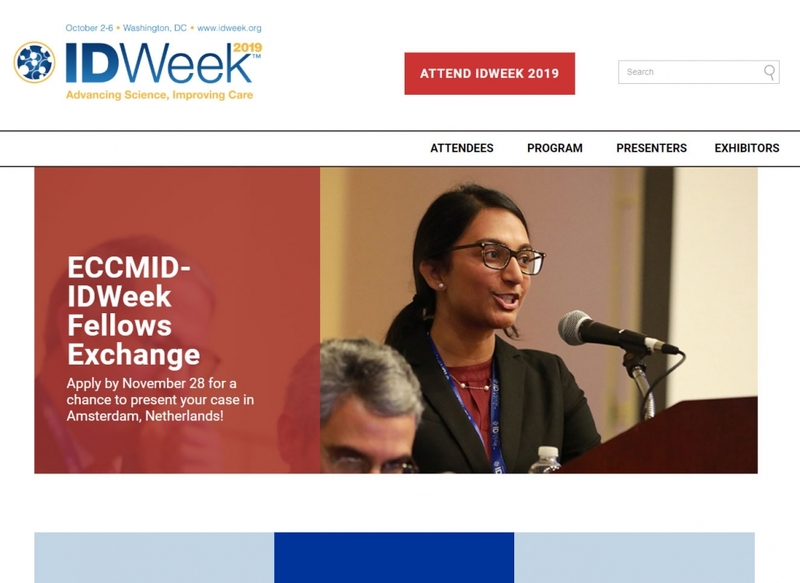 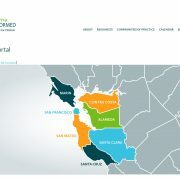 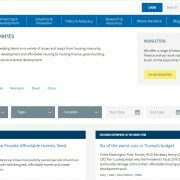 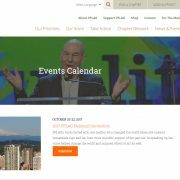 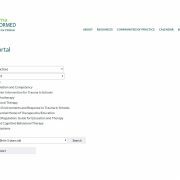 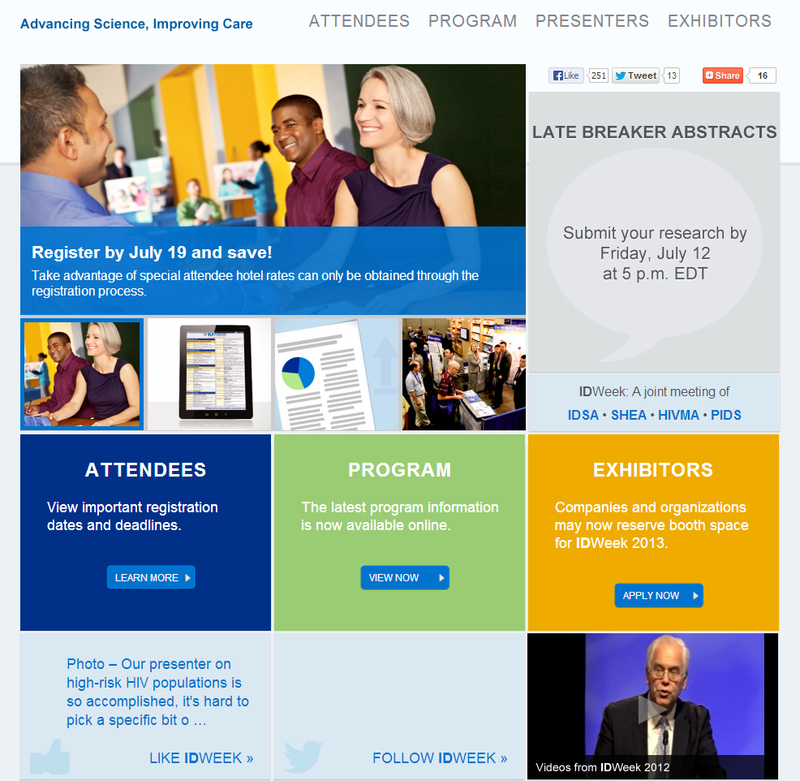 The latest informational website for the annual IDWeek Conference was built in Wordpress in collaboration with RM Harrison. 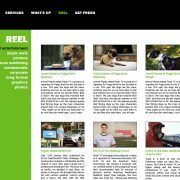 One-page Wordpress site that is SEO friendly and has a slick, unique, custom design. 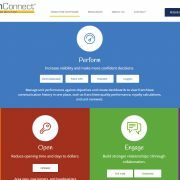 Wordpress front-end and back-end searchable community with rating system and custom import/export features. 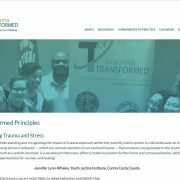 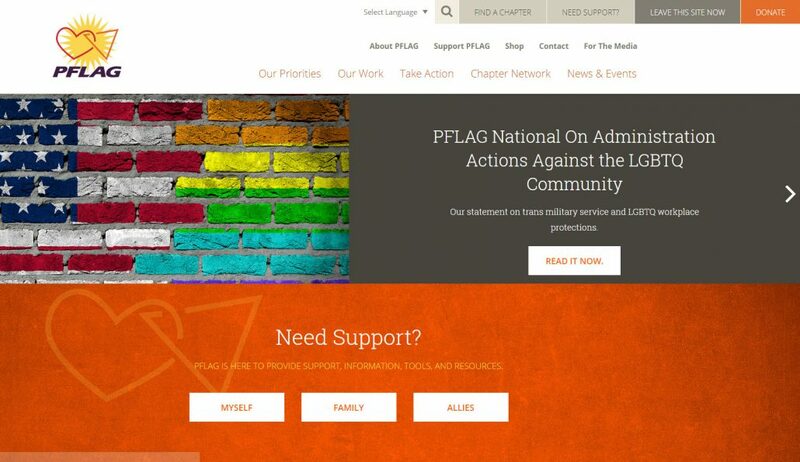 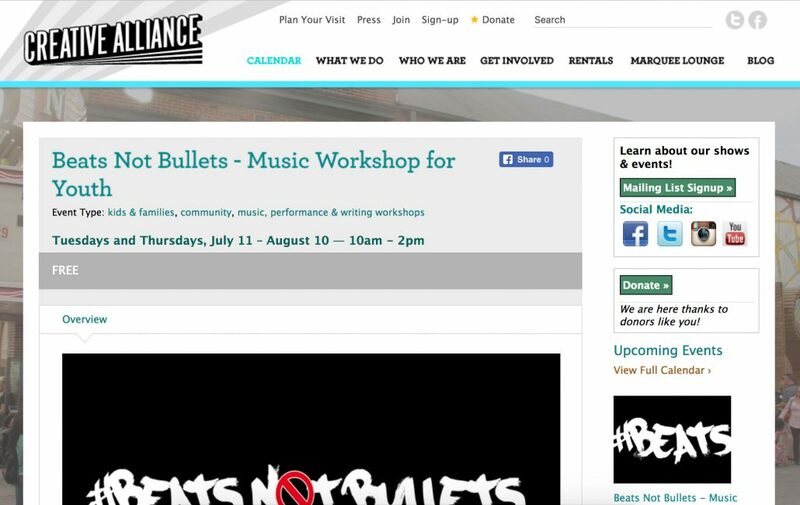 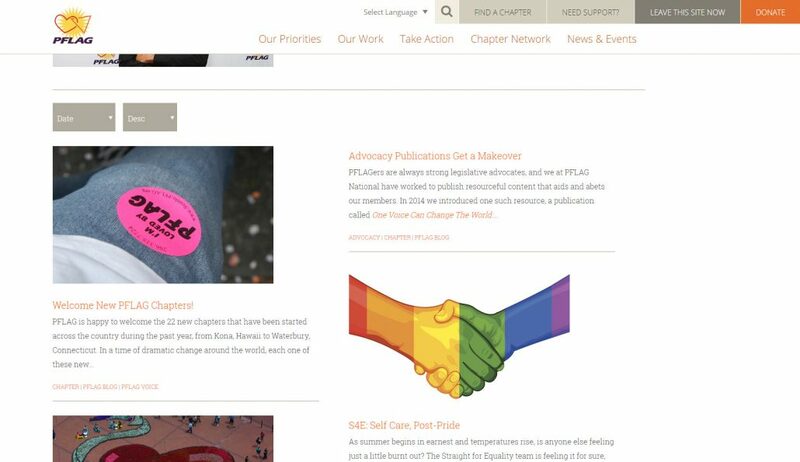 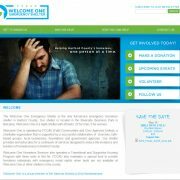 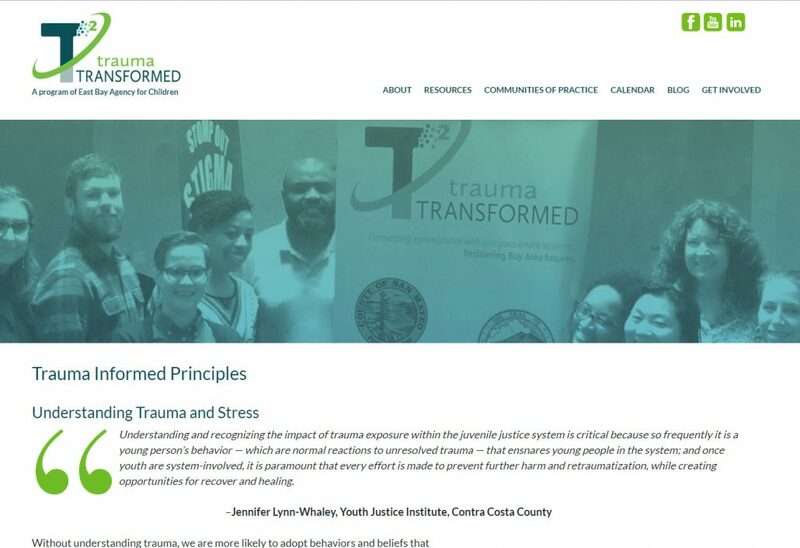 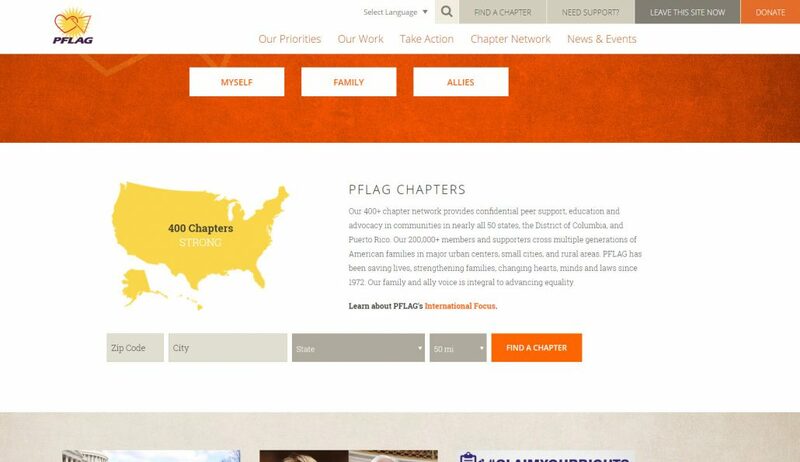 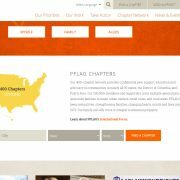 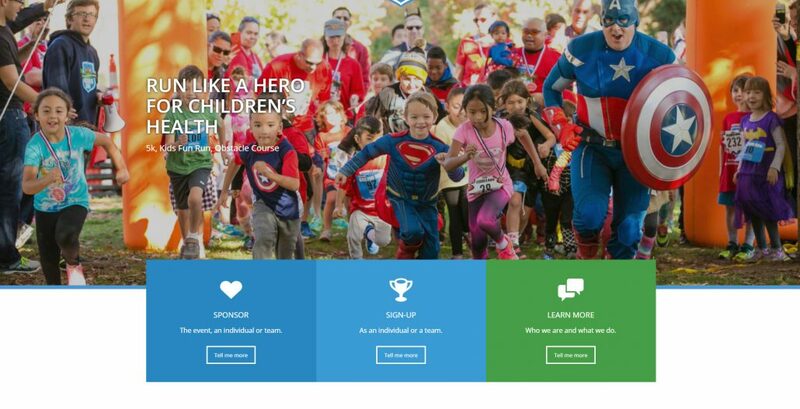 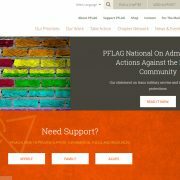 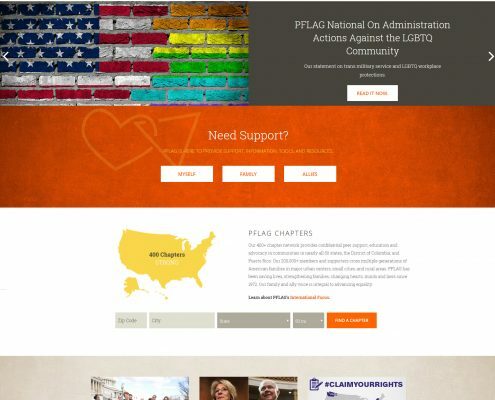 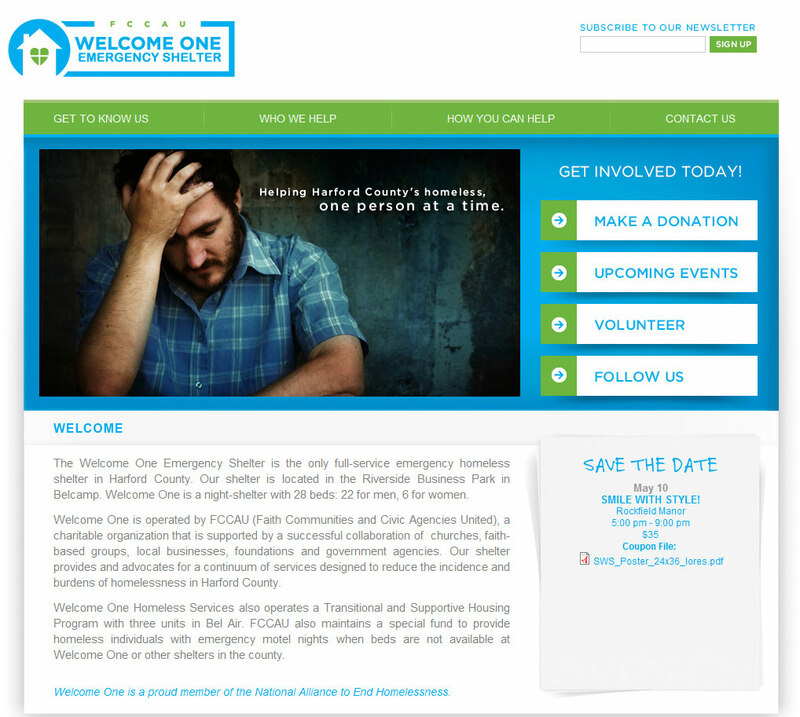 Quick Wordpress theme customization on top of Enfold for this non-profit. 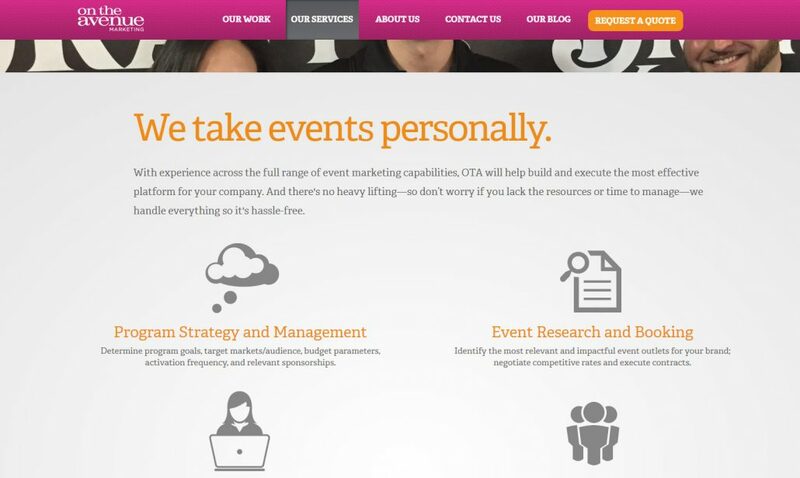 Completely custom and intricate Wordpress theme development built on top of Enfold. 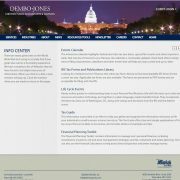 Programmed custom design into responsive Wordpress template with jQuery draggable portfolio grid. 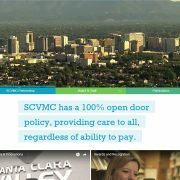 A custom, responsive Wordpress build with toggled content, video background, and unique coloring for each section. 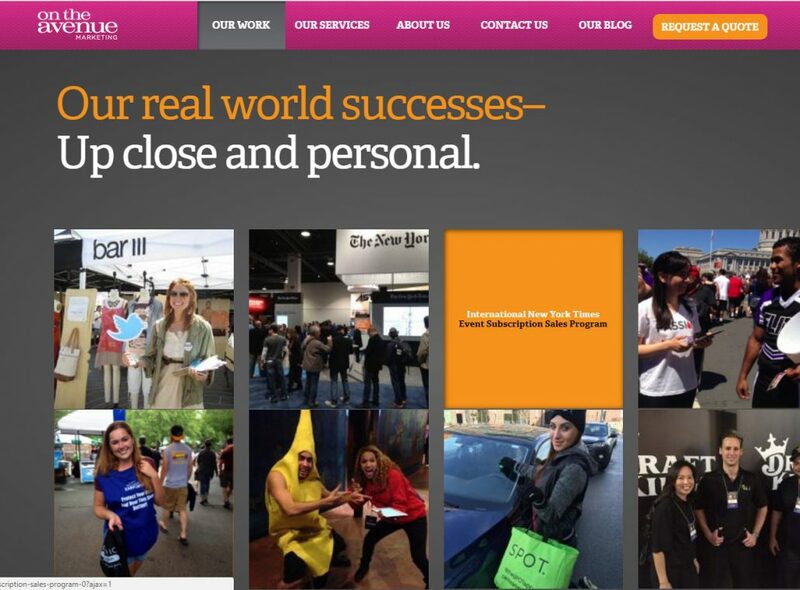 Design & Built first in Drupal and then in Wordpress 7 years later. 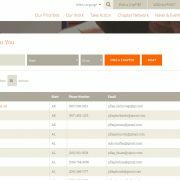 Custom plug-in and module development for a document search feature. 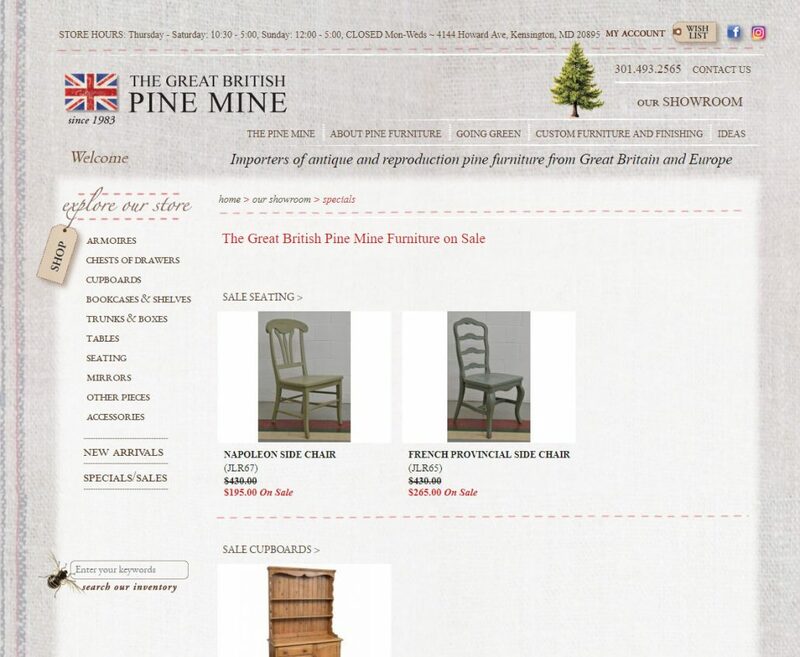 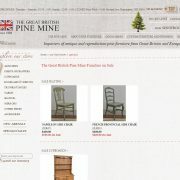 Designed and Programmed this E-commerce site in Drupal 7. 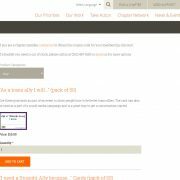 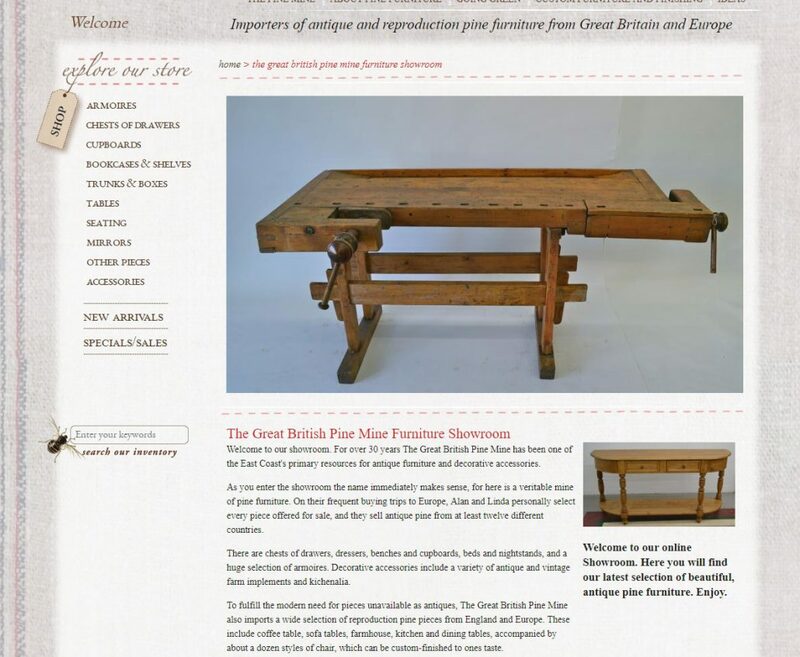 Custom Wordpress built overtop of Enfold with many custom layouts, scrollers, and E-commerce. 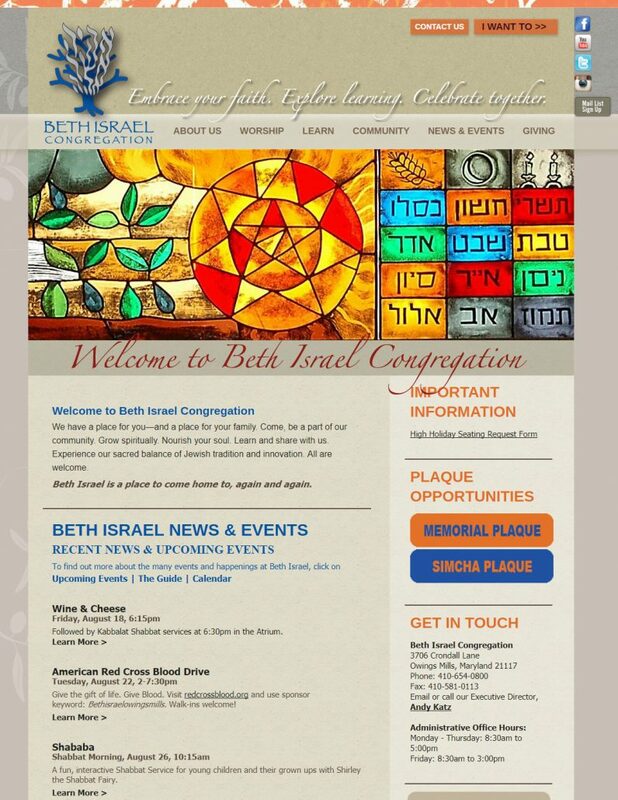 Back-end development for new Drupal 8 site - lots of custom module development, AJAX and jQuery. 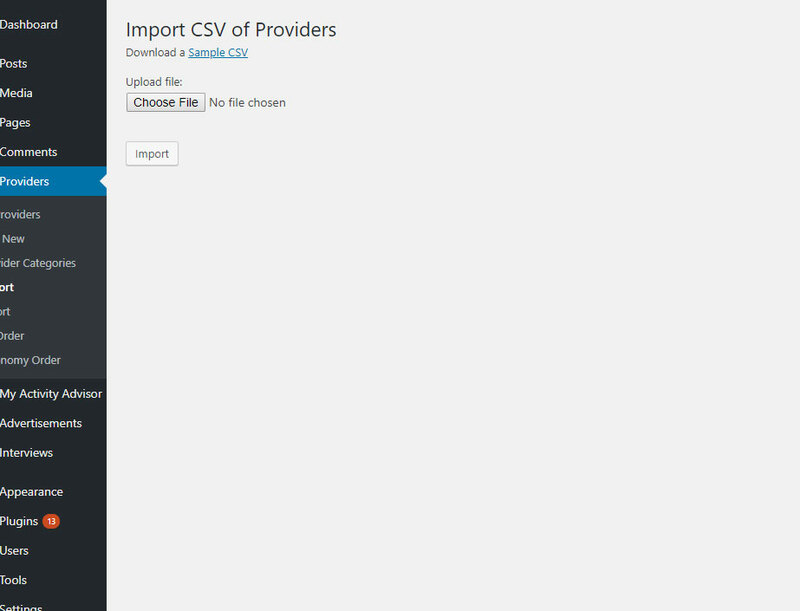 Front & back-end configurations to Wordpress template, including a custom resource portal from CSV upload. 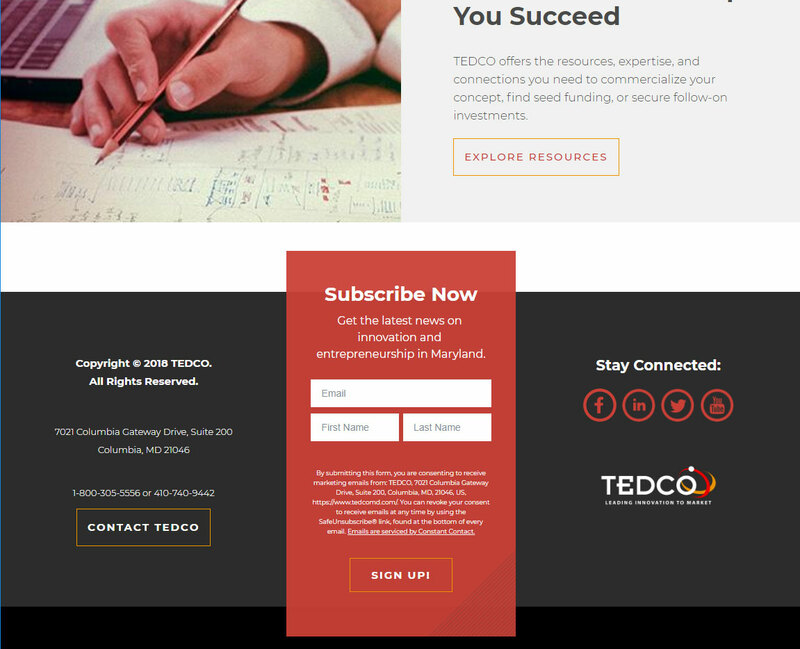 Custom Wordpress theme built ontop of Enfold in collaboration with LaunchSnap. 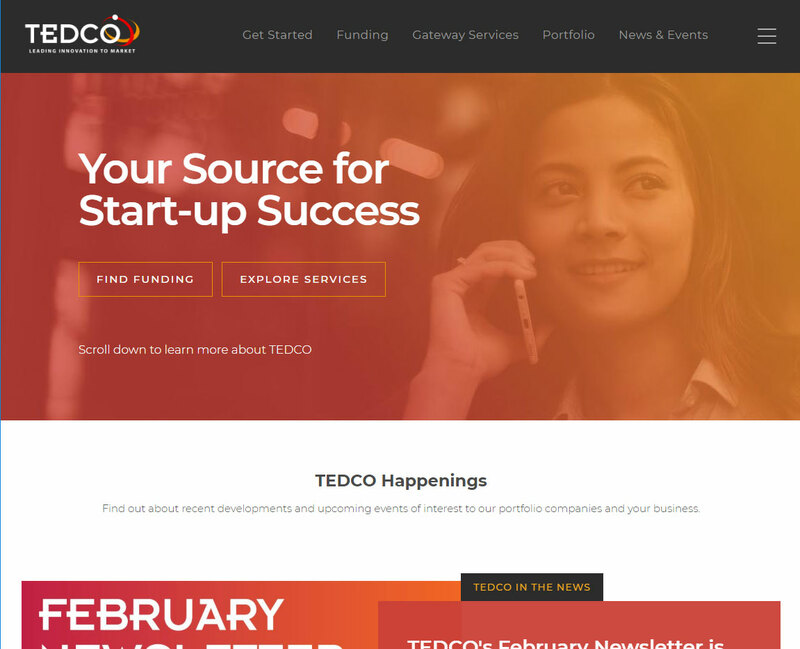 This quick build was done in collaboration with LaunchSnap using Enfold theme in Wordpress. 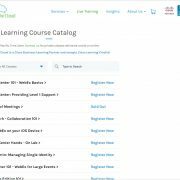 Drupal templates, jQuery features for video display, hosting account setup/configuration and entire build of Drupal backend. 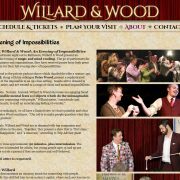 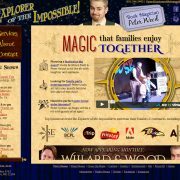 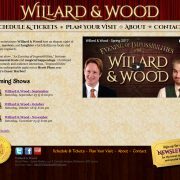 Fun and unique design and build for this custom magician's website. 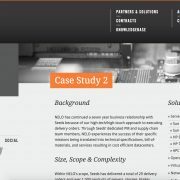 Design and build of entire site on Drupal 7 backend. 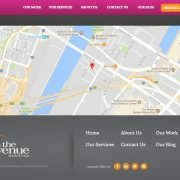 Drupal 7 theme with PayPal integration, jQuery, and a custom member's only portal. 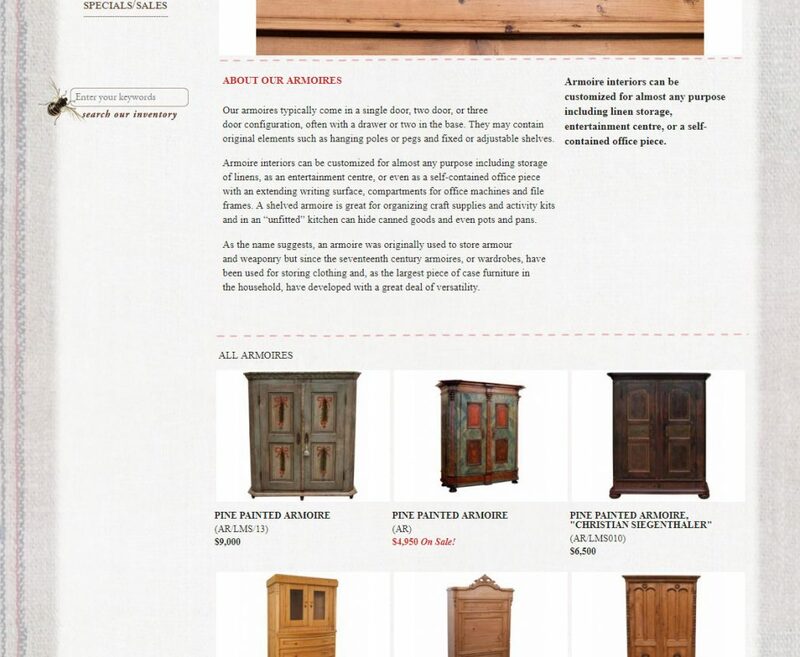 Drupal 7 e-commerce custom build with jQuery features for product display. 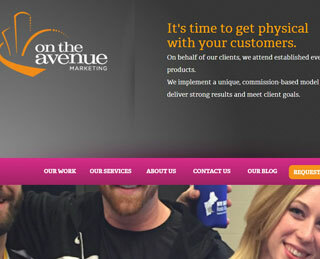 Wordpress custom parallax single-page theme with lots of extra jQuery features. 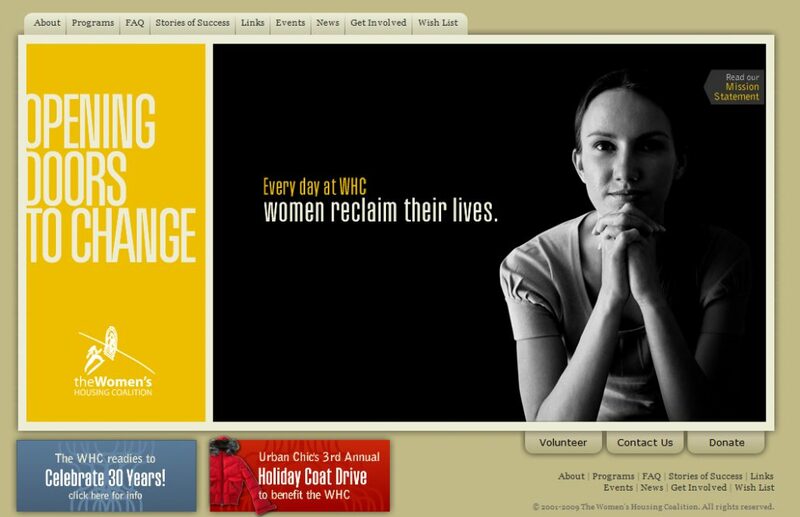 Website rebuild in Drupal 7 and now Wordpress for this non-profit. 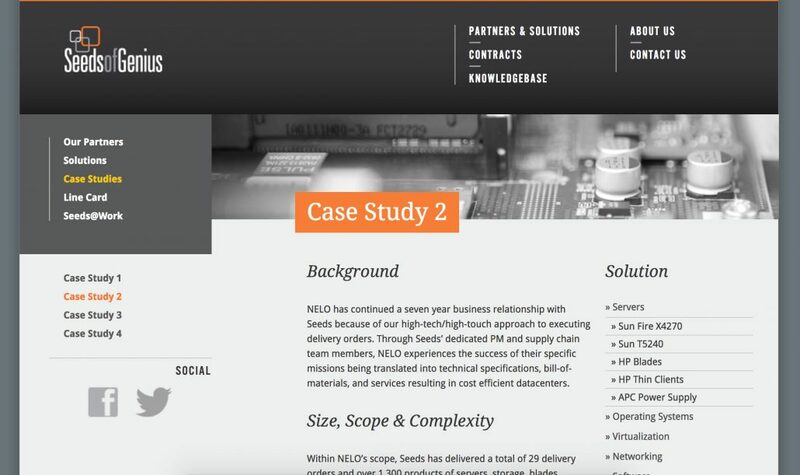 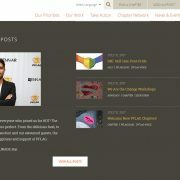 Website built in collaboration with Orange Element. 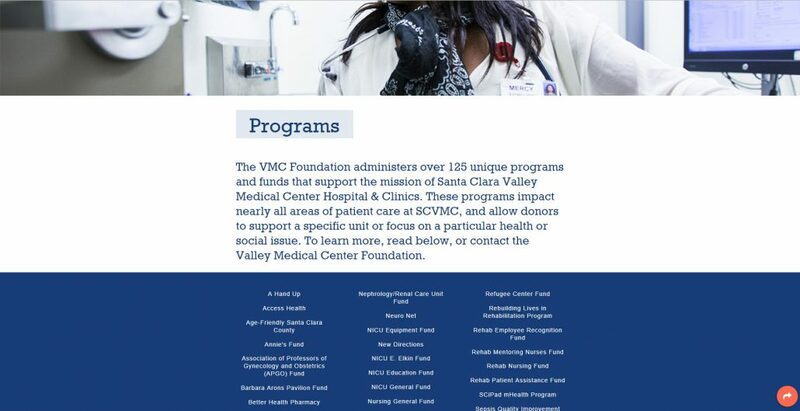 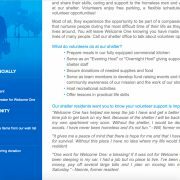 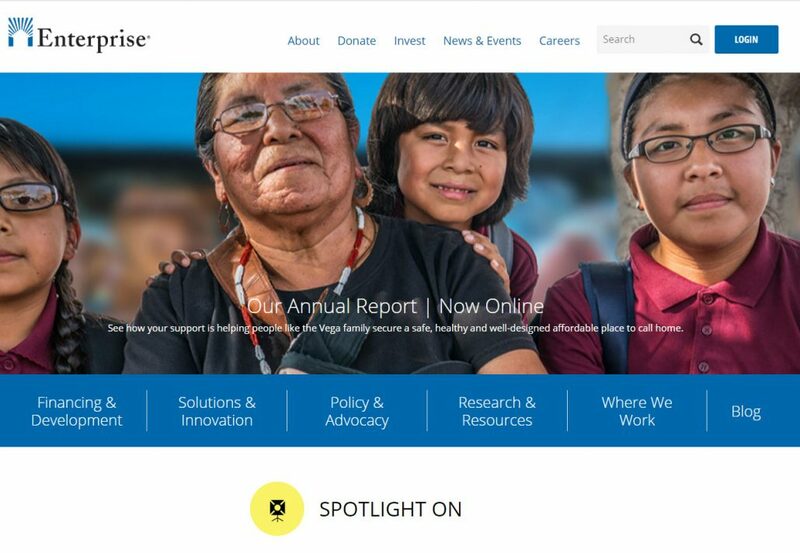 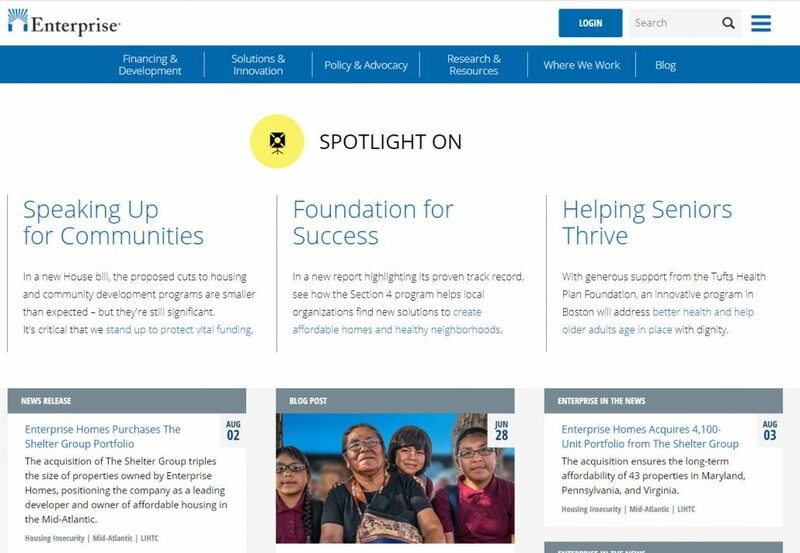 Drupal 7 build for this non-profit in collaboration with Visionmark Communications. 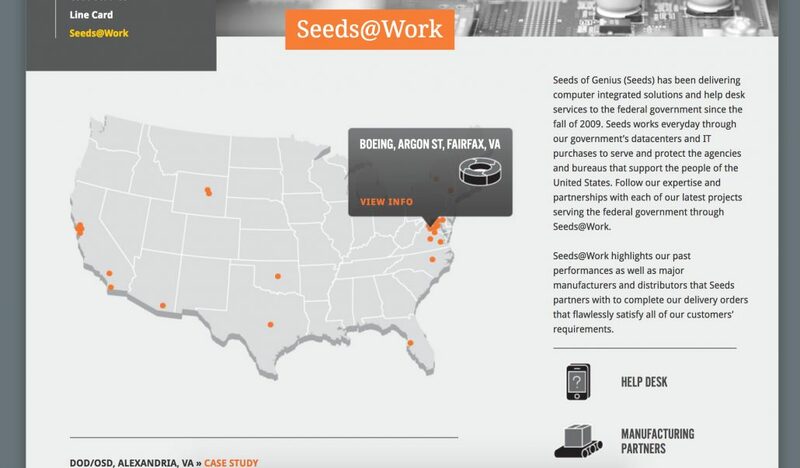 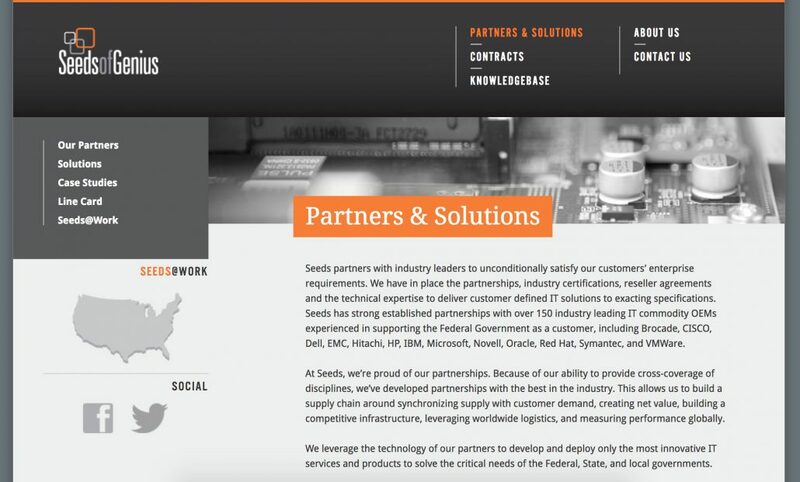 New website build for Seeds of Genius into Drupal 7, in collaboration with Orange Element. 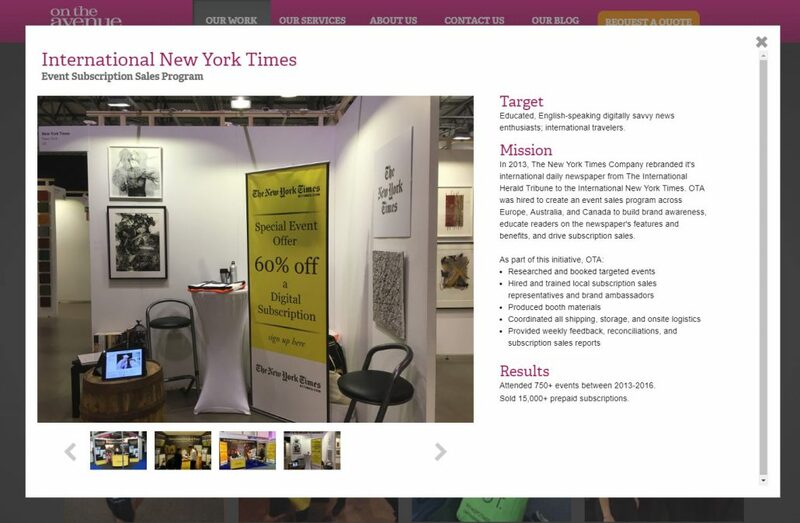 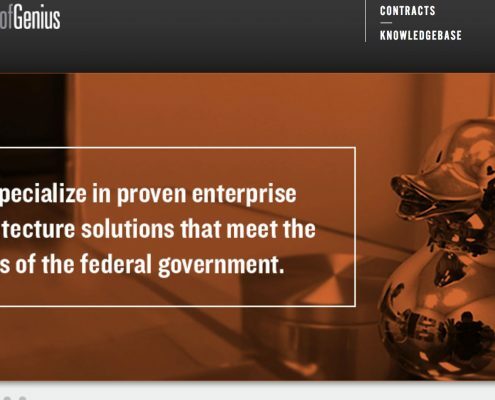 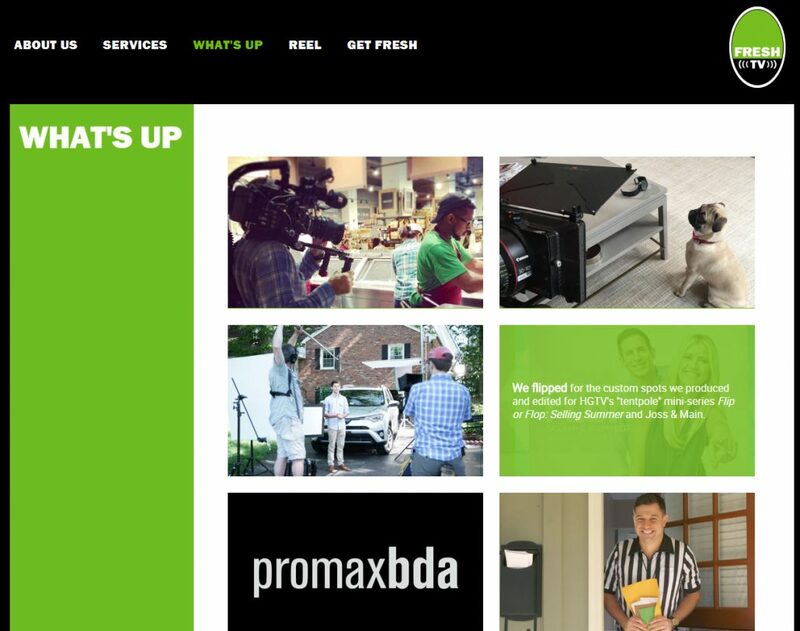 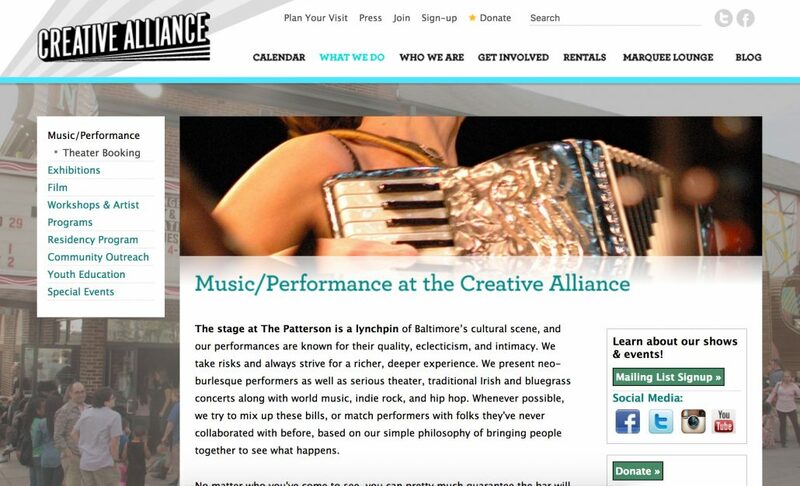 Helping bring The Creative Alliance into the 21st century with The Berndt Group and Drupal 7. 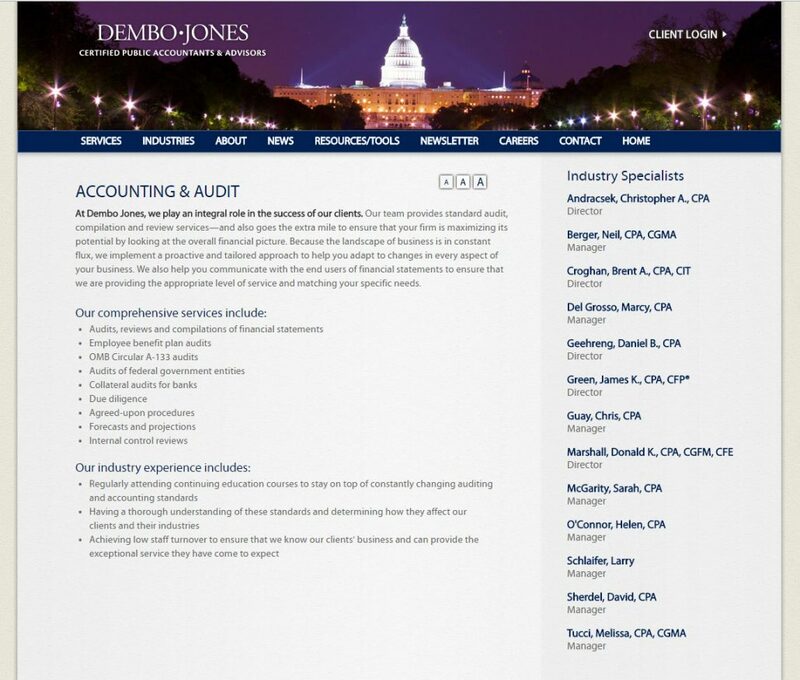 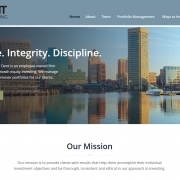 XHTML/CSS Template along with Drupal 7 CMS and jQuery features for this accounting firm. 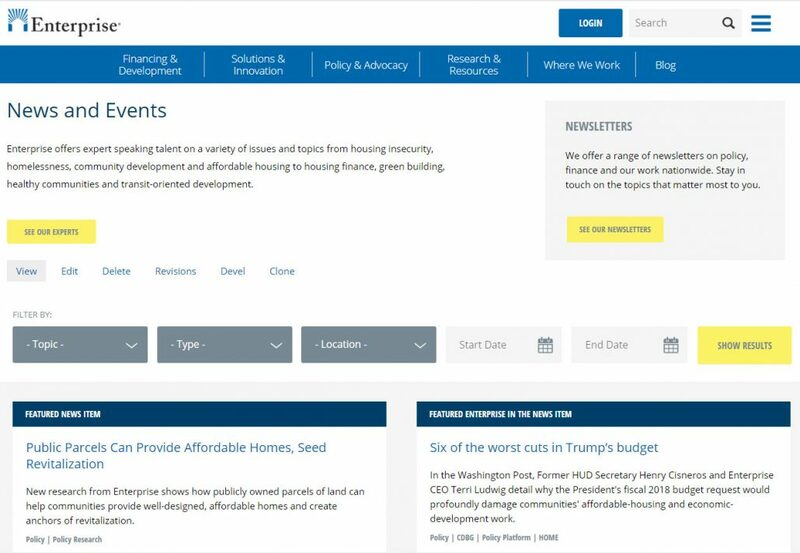 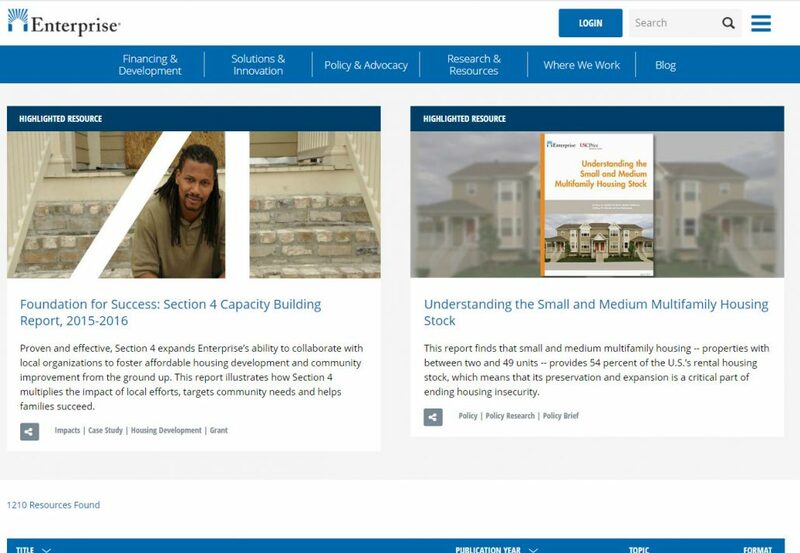 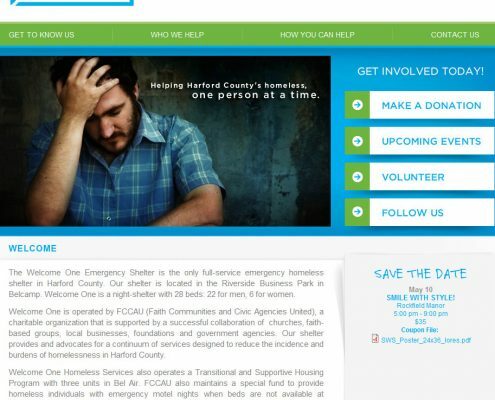 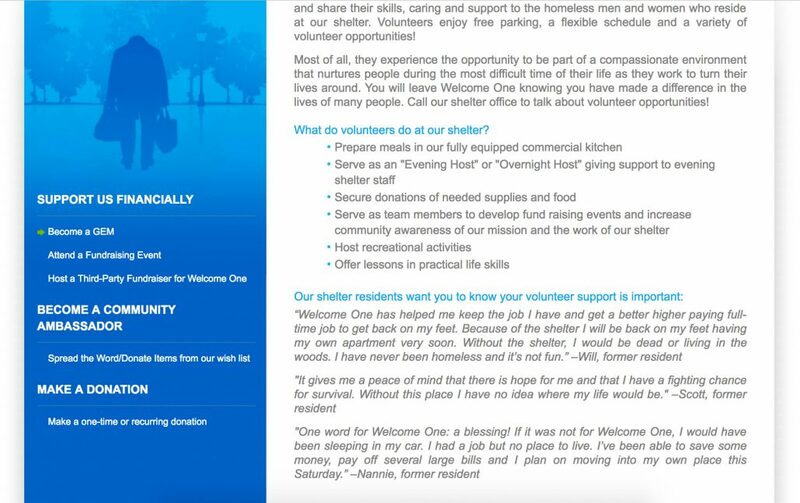 XHTML/CSS Template along with Drupal 7 CMS for this shelter. 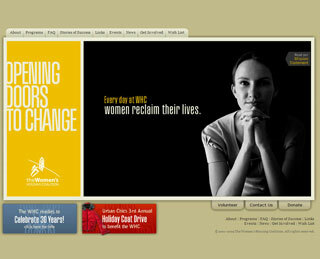 Site done in collaboration with Laun Studios. 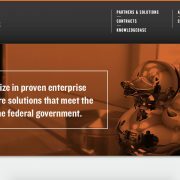 Complete build of Drupal 7 website with theming and configuration from given design. 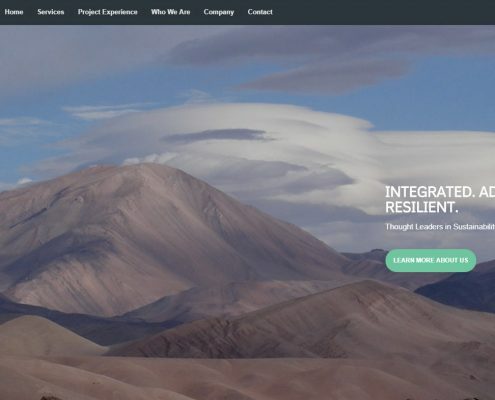 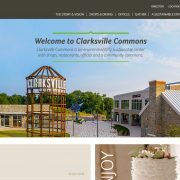 Complete build of website with theming and Drupal 6 configuration from given design. 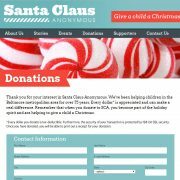 XHTML/CSS Tableless templates, and entire build of Drupal backend for a non-profit. 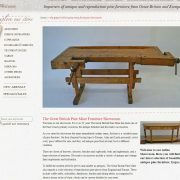 XHTML/CSS Tableless templates, and entire build of Drupal backend. This website was built in collaboration with LMD Agency. 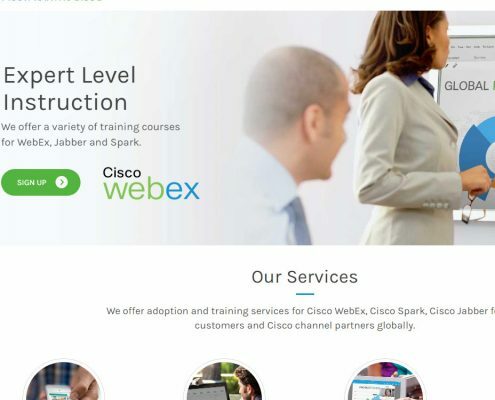 I did the large bulk of the theme build for this Drupal 8 site. 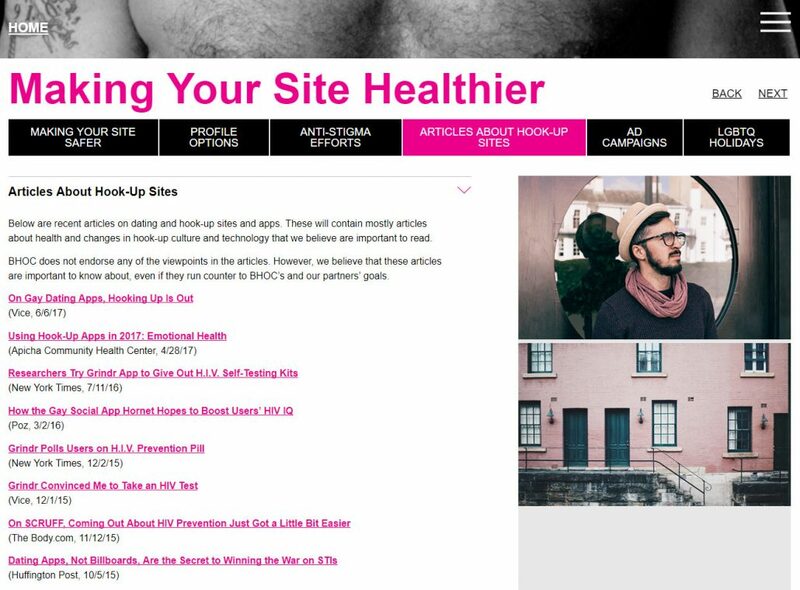 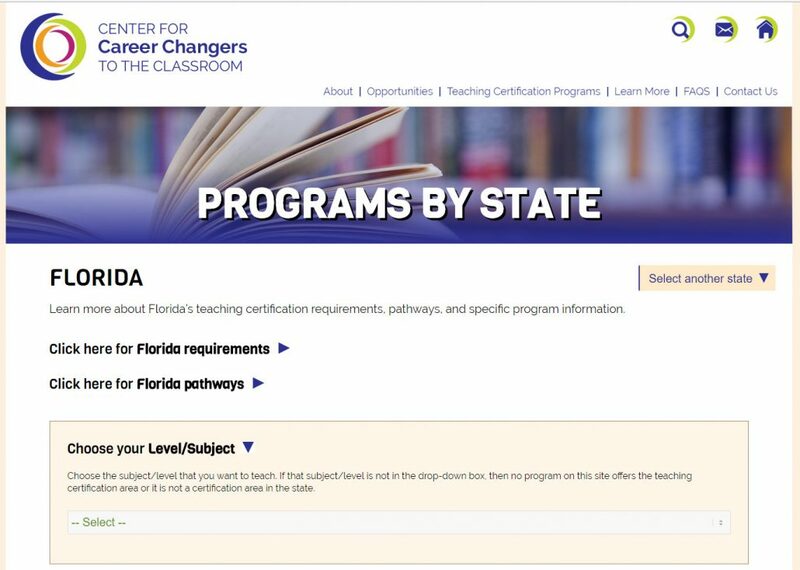 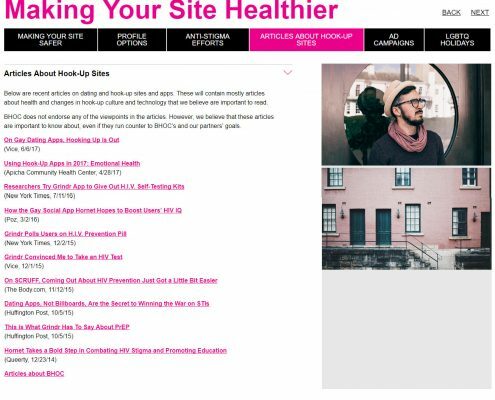 Working with a designer and back-end developer, I did a lot of the structural setup for pages that allow administrators to easily keep the site updates. 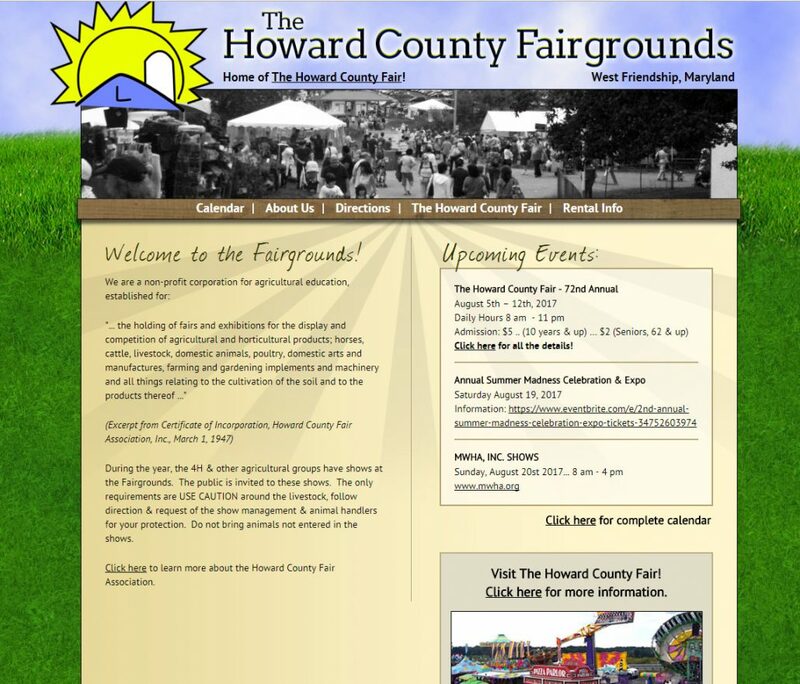 I also did a lot of the styling, including CSS3 animations and responsive elements. 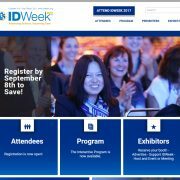 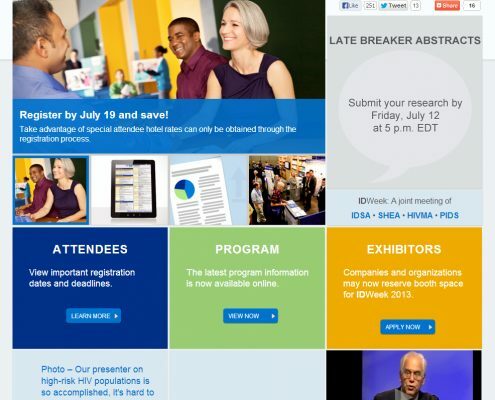 In collaboration with RM Harrison’s strategy and design, I built this custom WordPress template for IDWeek’s 2013 conference. 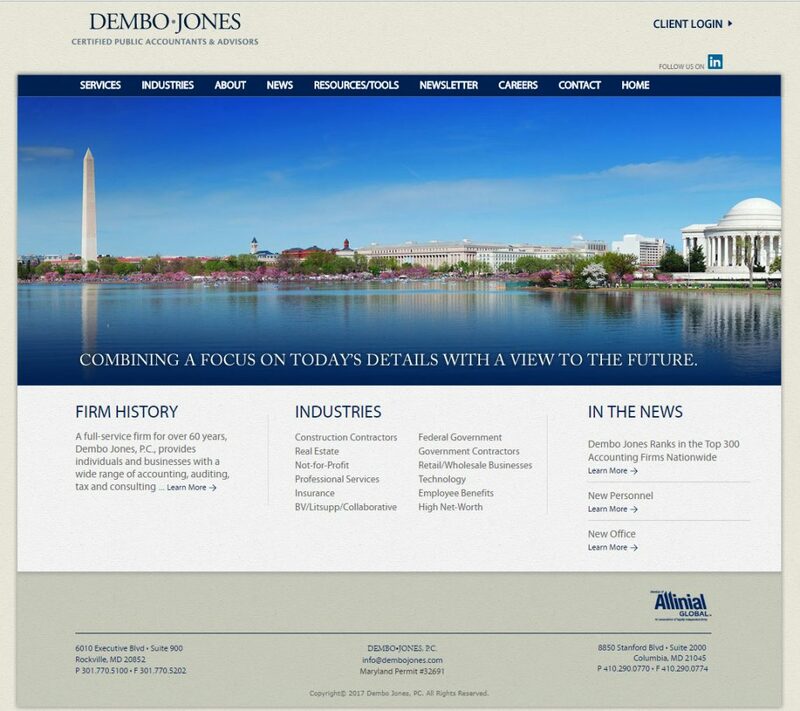 This is a Responsive template with a jQuery slideshow. 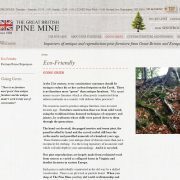 I also run maintenance as well as annual and design & templates updates for the site. 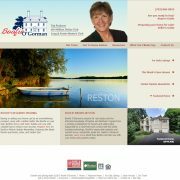 Working with Visionmark Communications design, I built this one-page SEO Friendly website in WordPress. 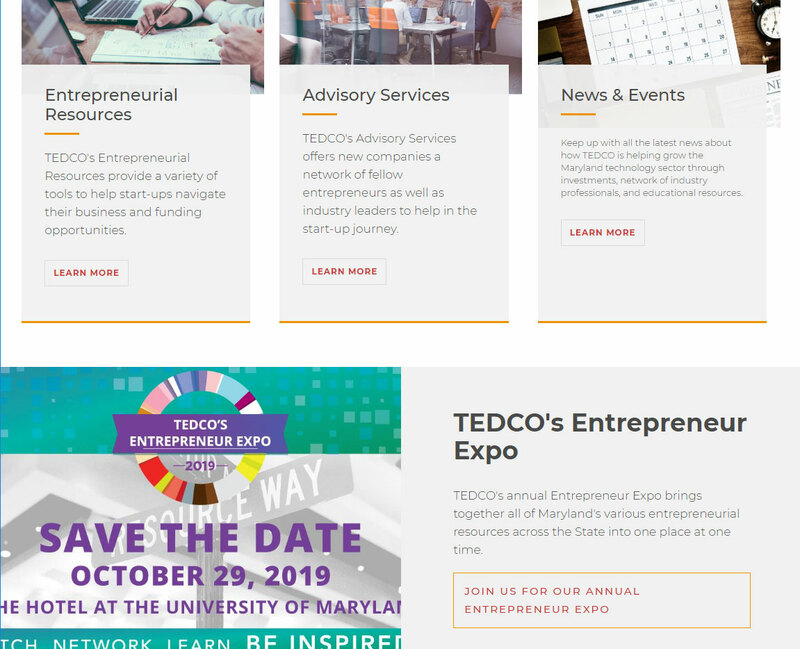 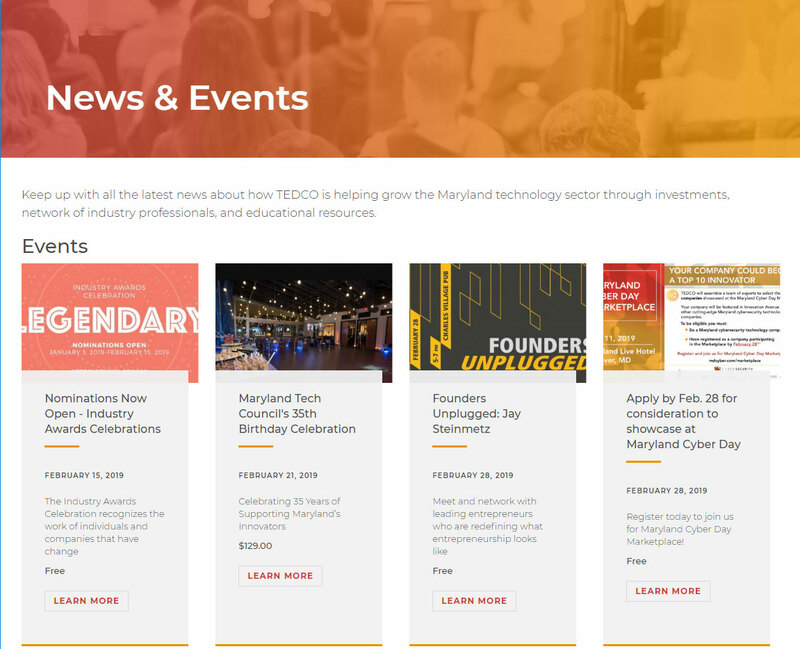 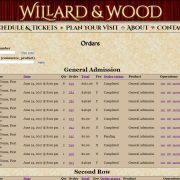 The site includes a scrollable event listing, dynamic vendor information, is easy to maintain, and responsive, always taking up the users full screen, but also looking slick and loading quick on mobile. 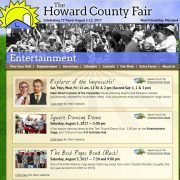 In collaboration with NOVA Web Group, I built the front end and back end of this searchable community. 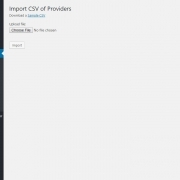 For the backend, I created a custom area where new providers can be imported by an admin and existing providers can be exported to CSV. 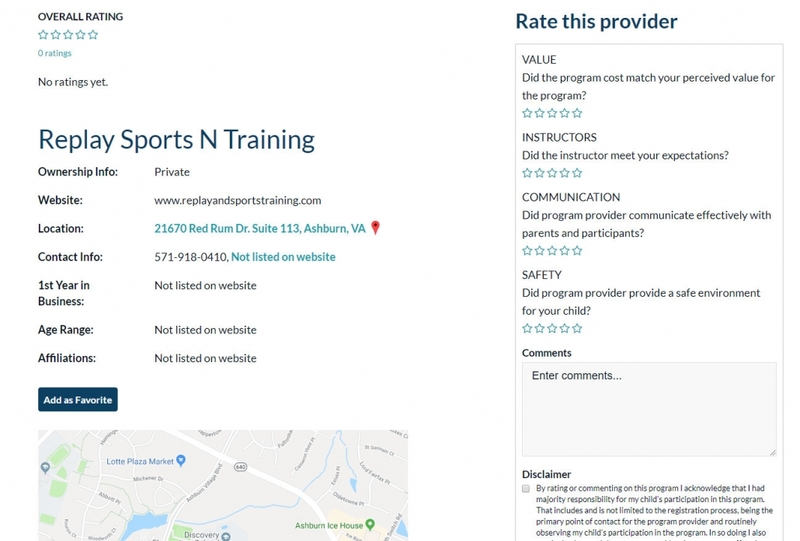 I also built off of an existing plugin to customize a rating system for users, and added a custom AJAX filter/search to the front end which is limited to logged in users. 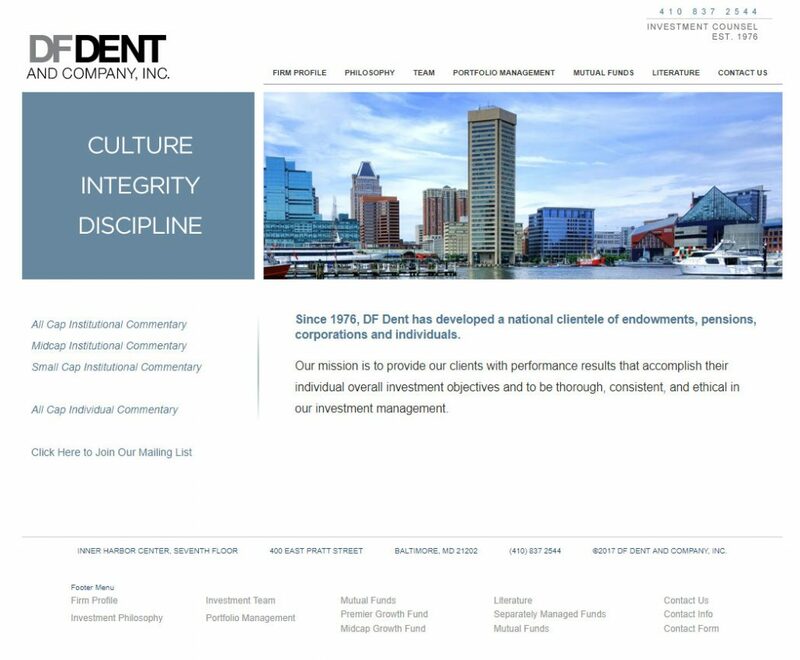 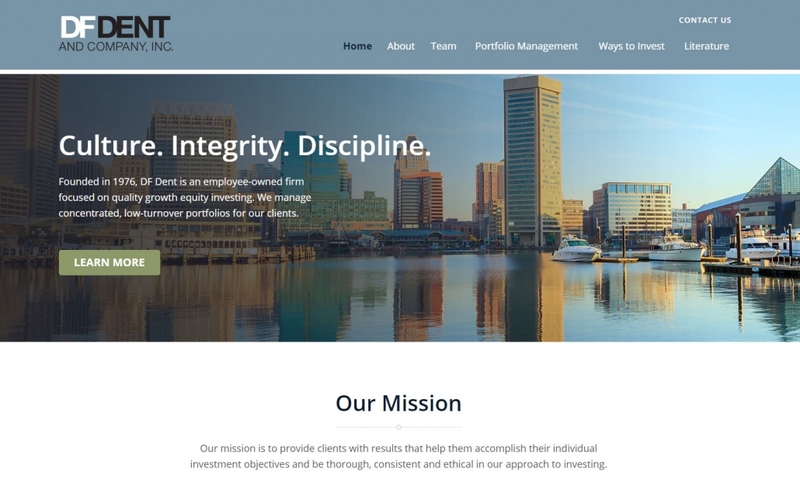 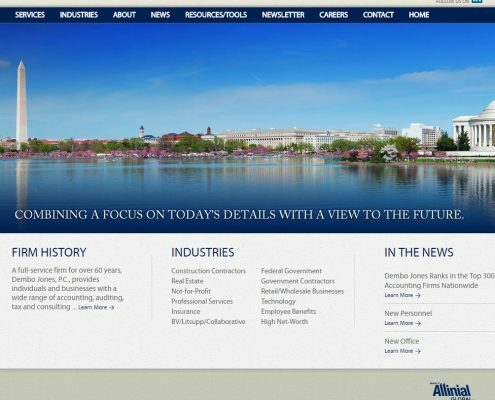 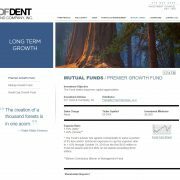 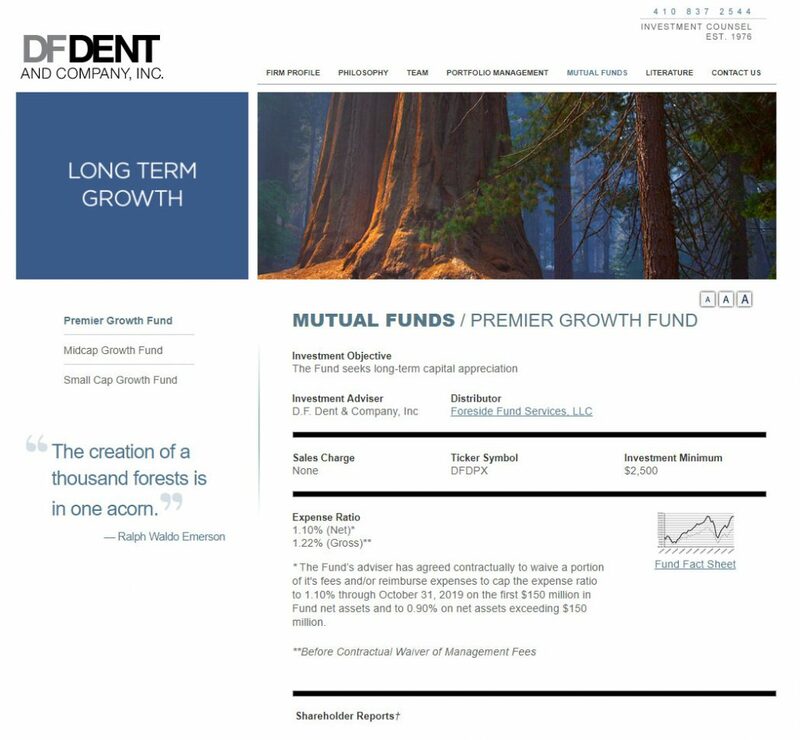 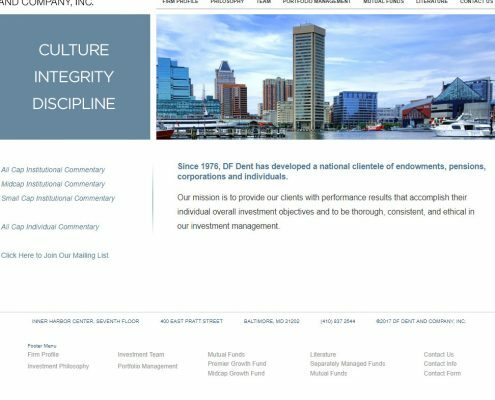 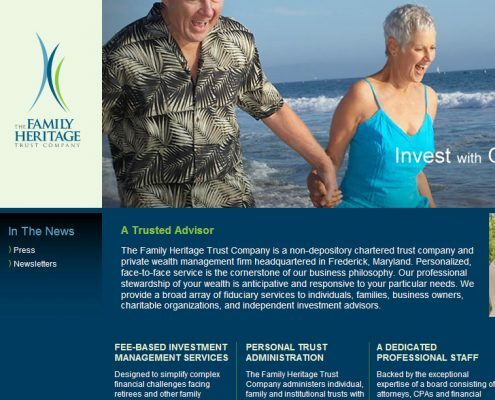 With Visionmark, I developed this simple Drupal 7 theme and configured the back end for this investment firm back in 2015. 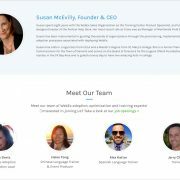 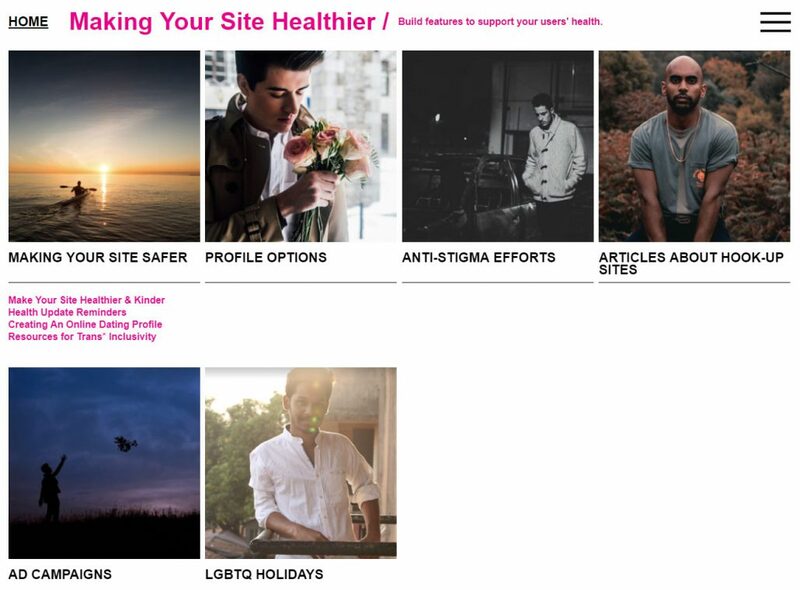 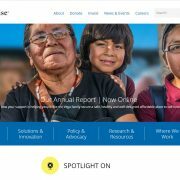 In 2018, we rebuilt the site in WordPress. 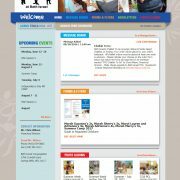 It’s just brochureware with the ability to choose quotes and banners to display for each page. 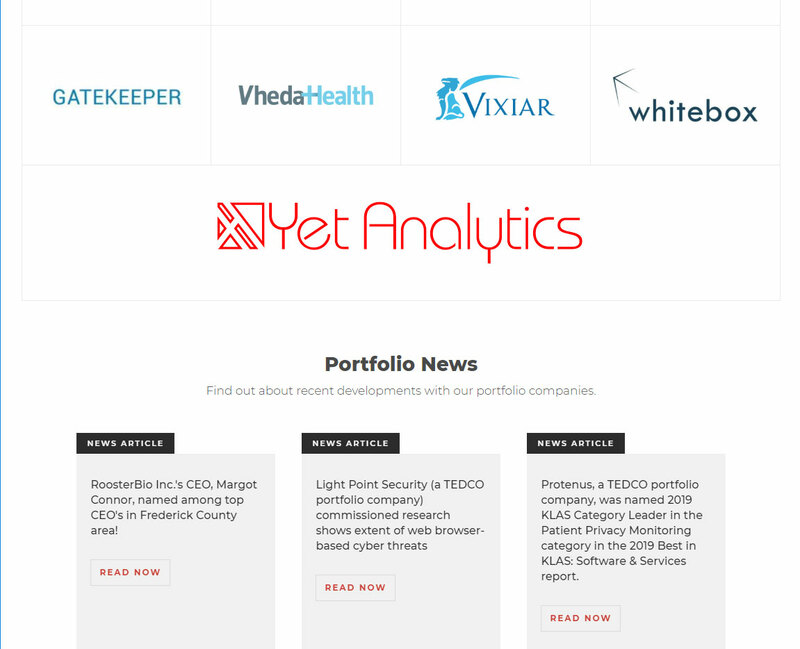 I keep the site updated quarterly. 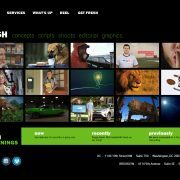 This was a quick Enfold theme customization for WordPress to get the look and feel they were looking for without breaking the bank. 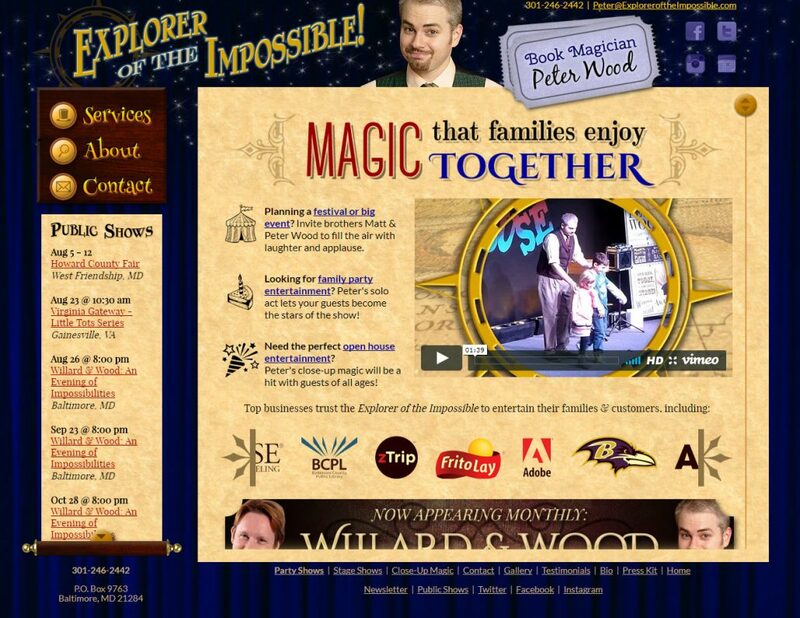 This custom WordPress site was built on top of the Enfold theme. 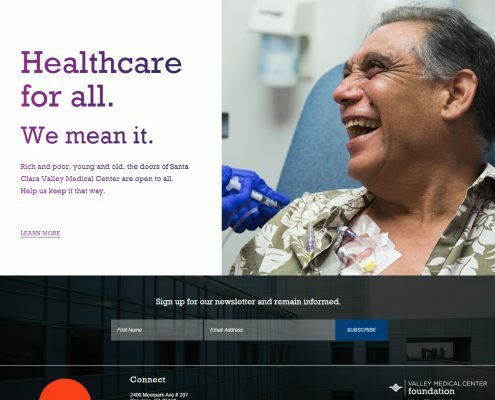 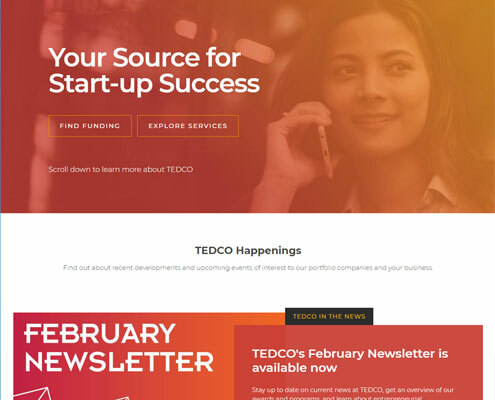 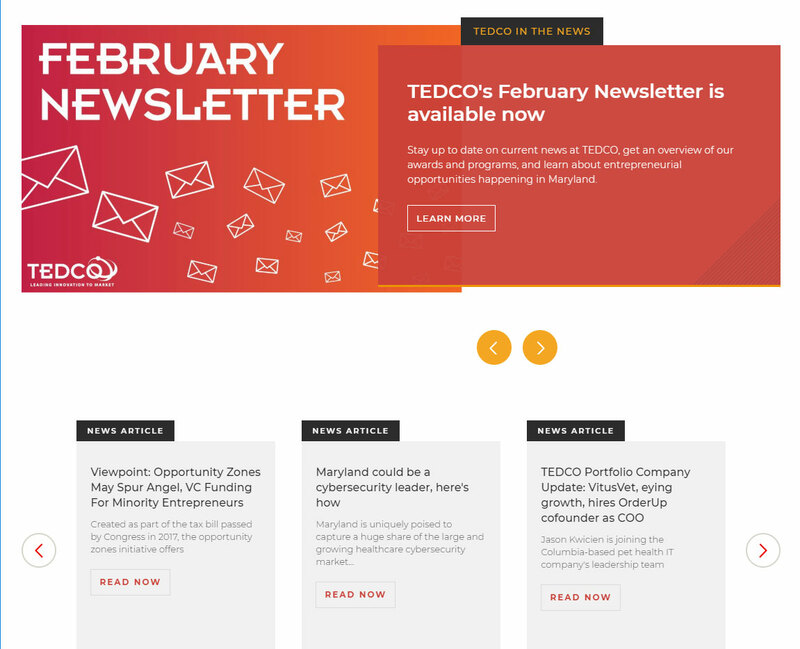 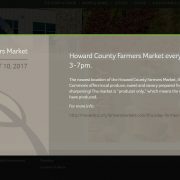 It includes 8 different unique layouts, event management, custom sub-menu design, custom hamburger menu, page to page navigation, a blog/news area, and a newsletter sign-up that integrated with Mailchimp. 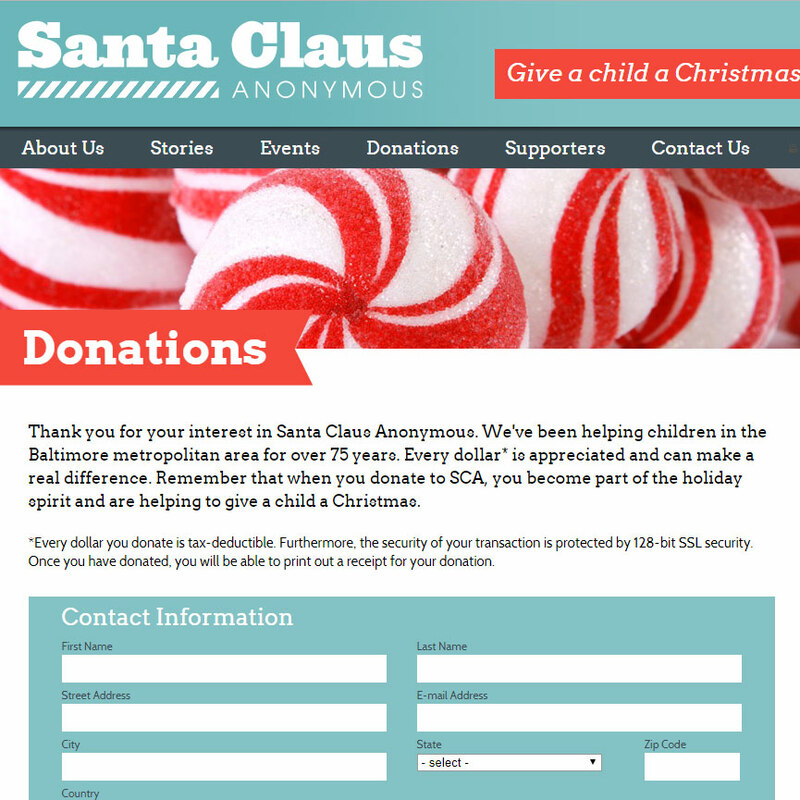 I also added the ability to attach a full-size video to the header that can be muted by the user. 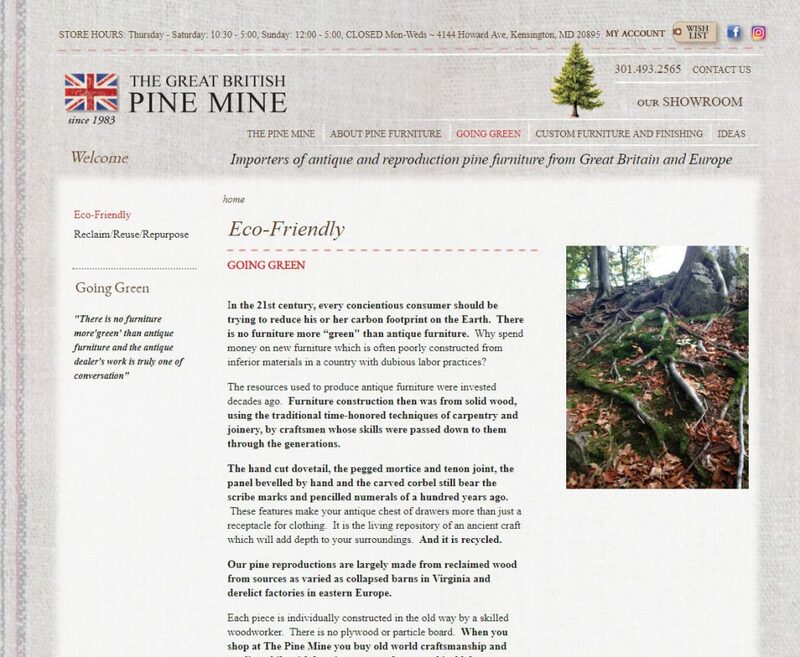 The site is responsive and easily managed by content editors from the back-end. 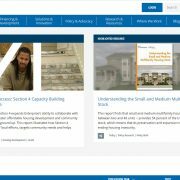 I built this WordPress site based off a provided design. 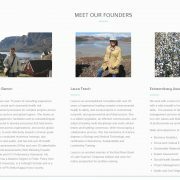 There is a lot of custom jQuery and AJAX work to make all pages and content accessible from the first page; as well as a full-size draggable grid portfolio with modal windows and subtle CSS3 animation. 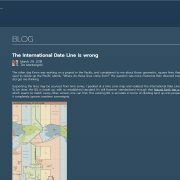 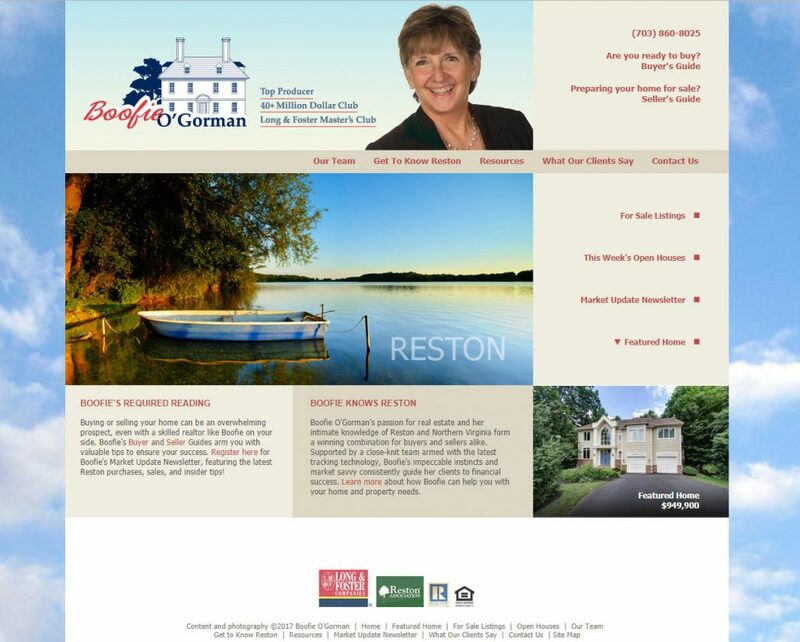 The site is responsive, has a separate layout for the blog, and is easily maintained from the back-end. 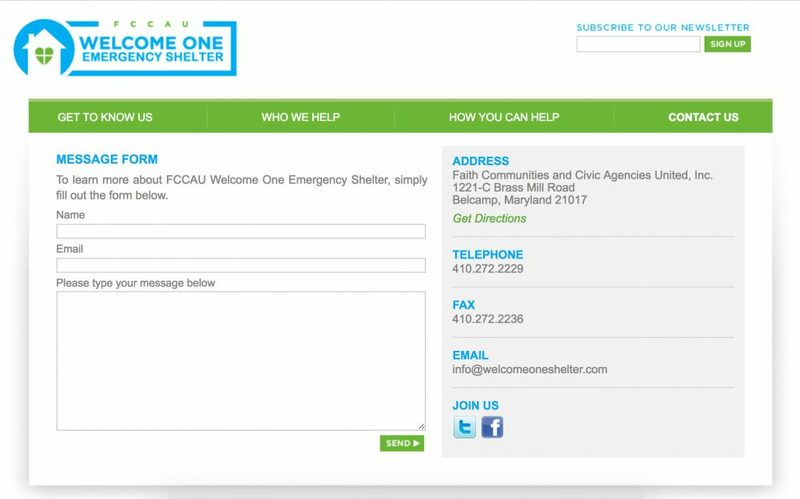 The contact form uses Google’s invisible reCAPTCHA for spam prevention. 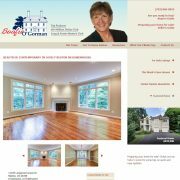 I built this WordPress site on top of Enfold and in collaboration with Visionmark Communications. 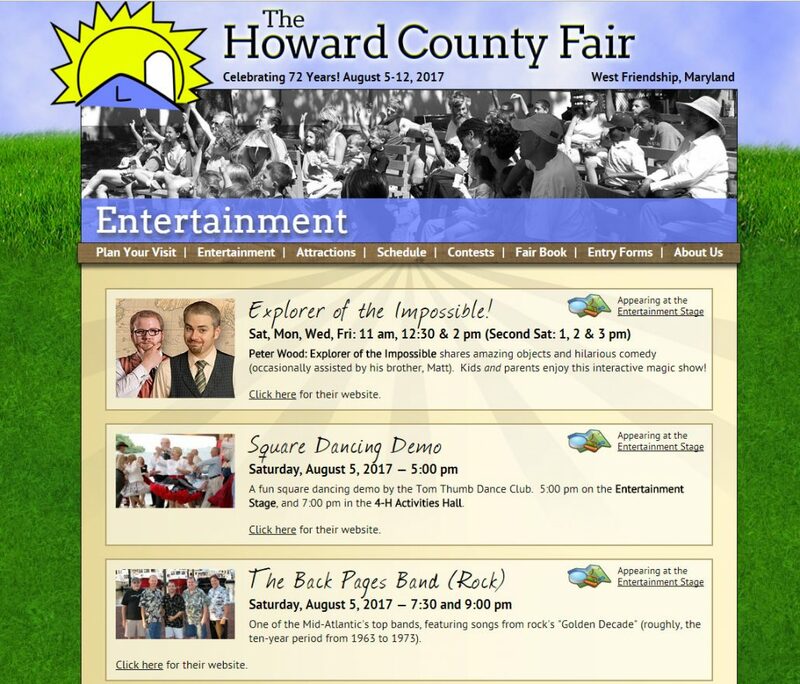 There is a lot of custom jQuery work to make modular event listings which display in carousel format, and a reusable toggle content area from the logos of different shops in the area. 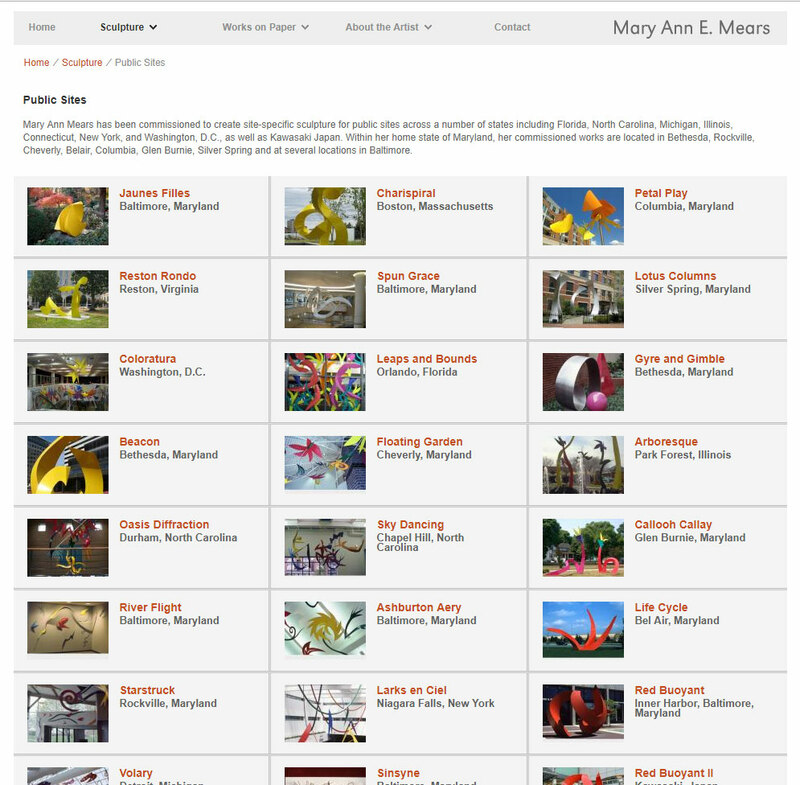 There is also a section of the site with an interactive masonry grid display which drops down to a unique content layout. 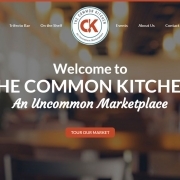 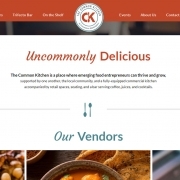 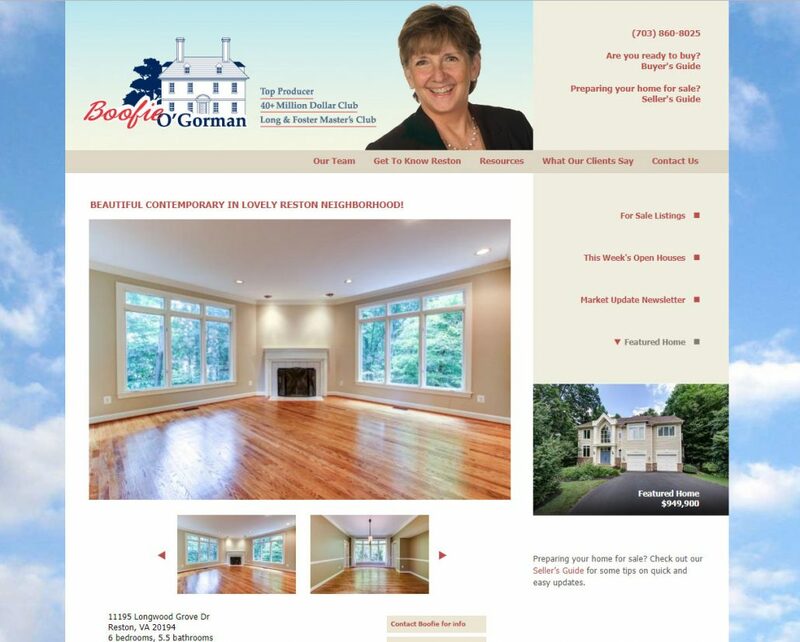 The site is full width and responsive, and easily maintained from the back-end. 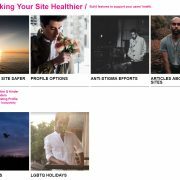 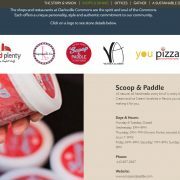 I built this responsive WordPress site on top of the Enfold parent theme in collaboration with designer Annabel Mangold. 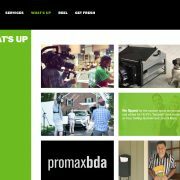 The site features extensive customizations built using PHP and CSS including different color schemes for each section of the site, toggled content areas, a gridded layout for the page index in each section, and a video background banner for the homepage. 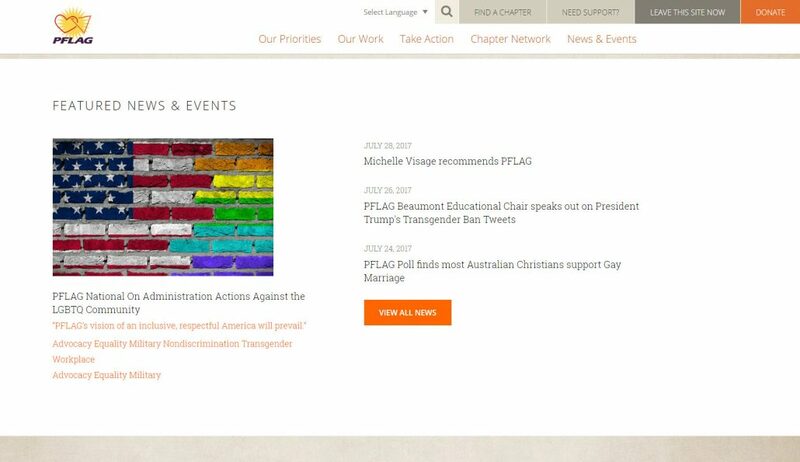 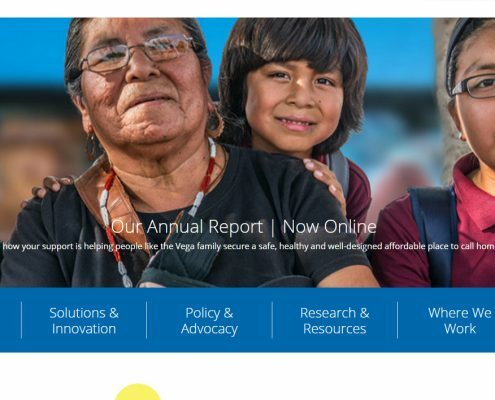 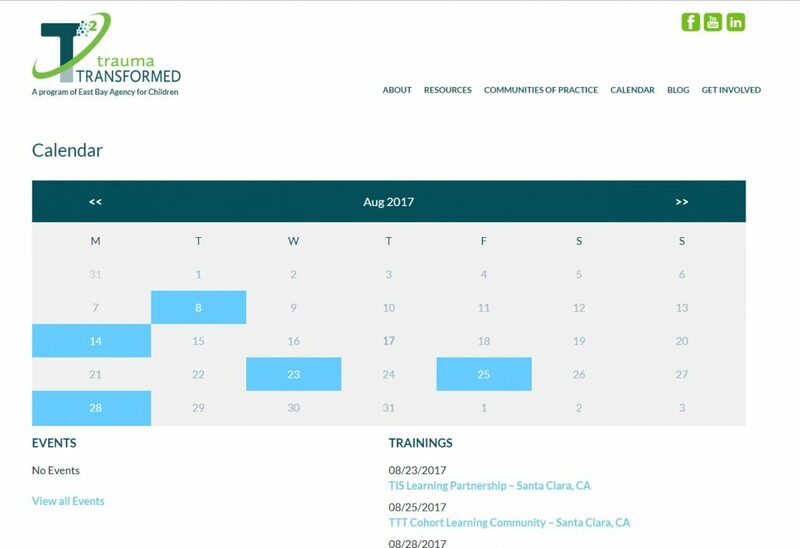 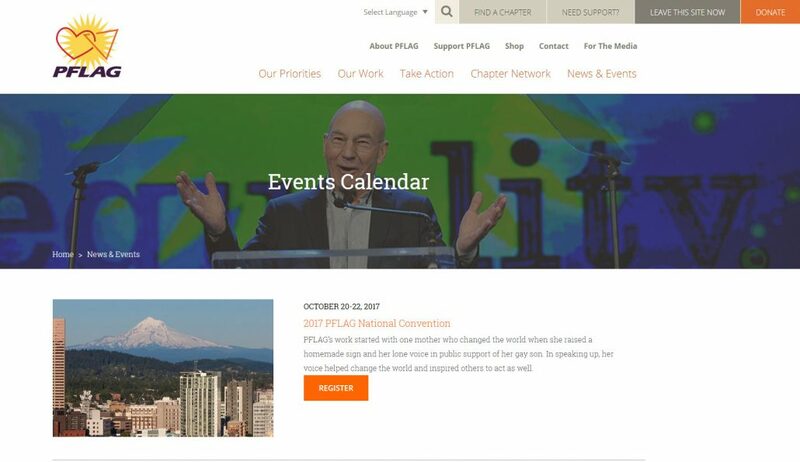 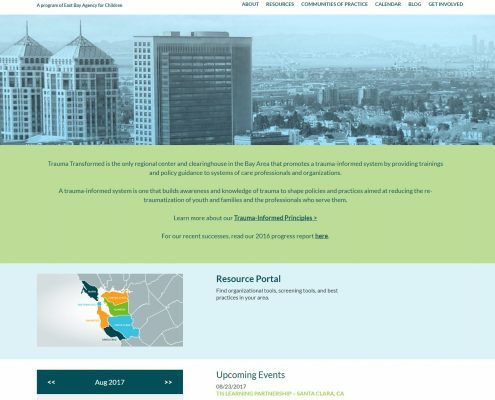 I originally designed and built this site in Drupal 6 but in 2017 worked on an overhaul and re-design and moved it into WordPress. 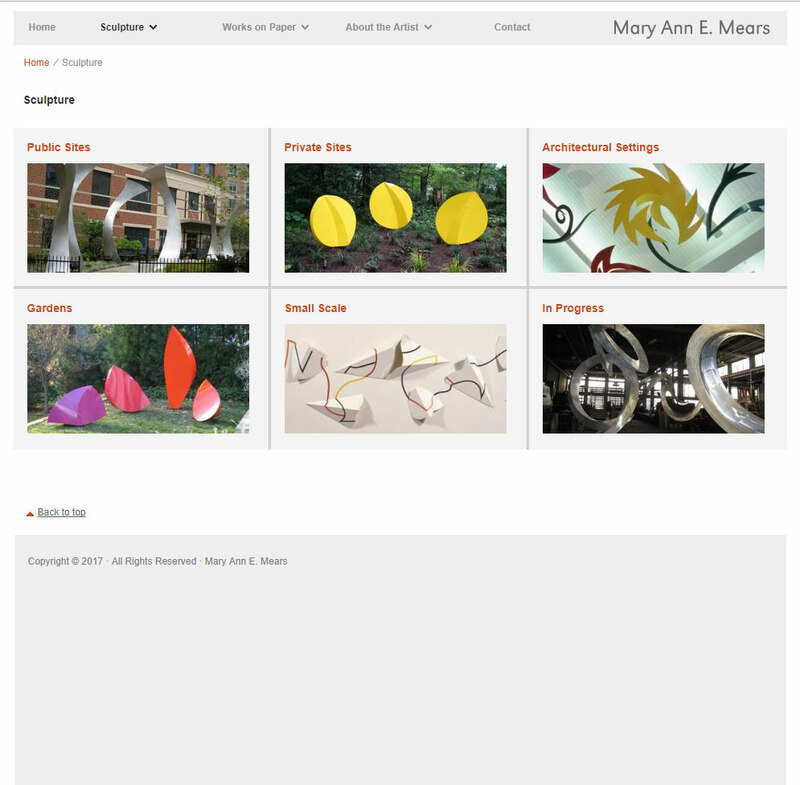 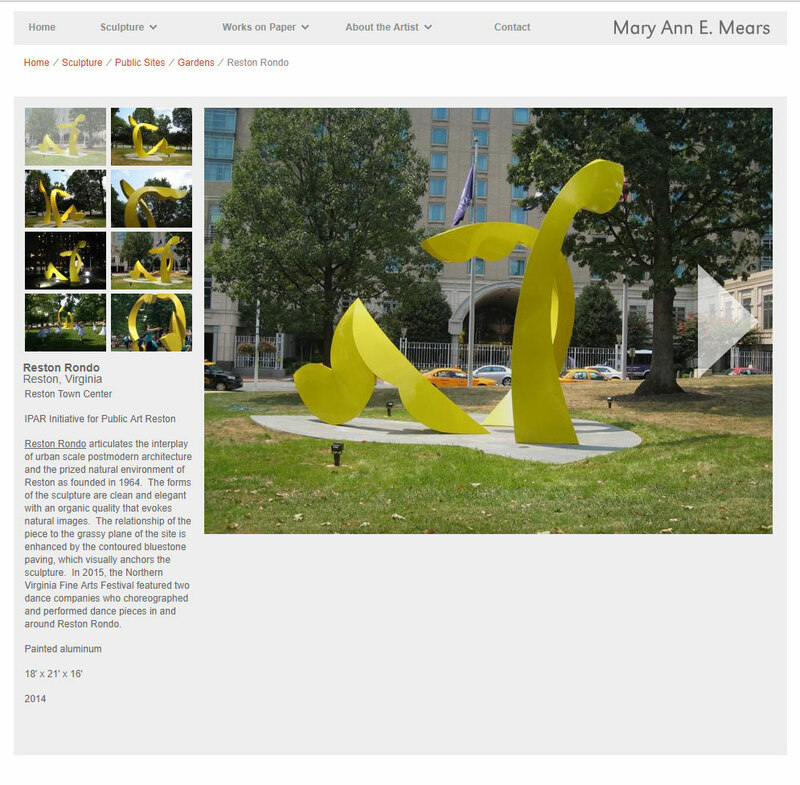 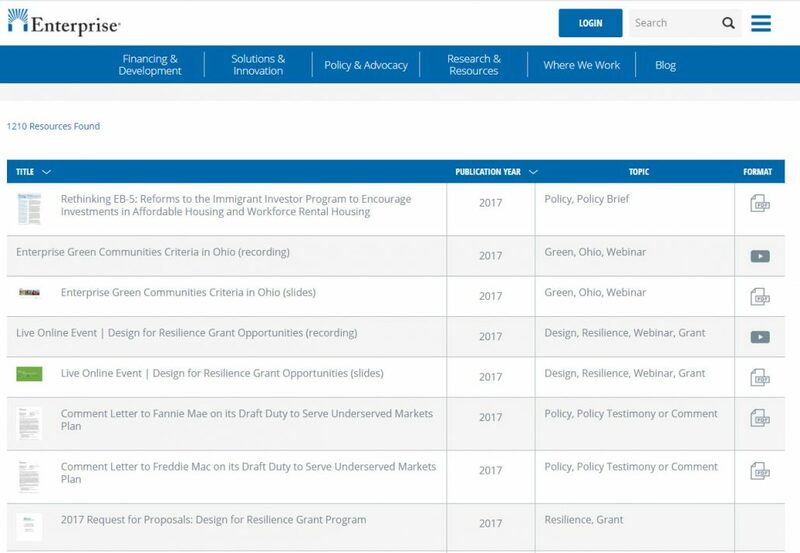 In addition to custom design and template building, the site also includes a database of documents which I programmed first in Drupal with a custom Drupal module and then in WordPress with a custom WordPress plugin-in to allow easy upload in the backend and a search tool on the front end that allows users to find documents based on two different search criteria. 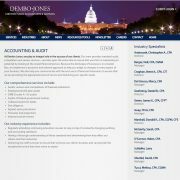 I also administered the domain name and hosting which are managed by two separate companies. 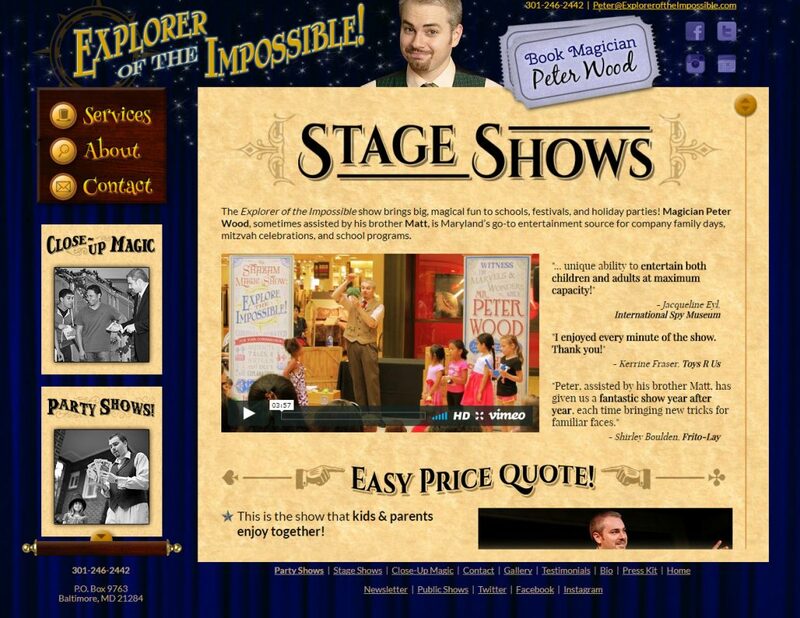 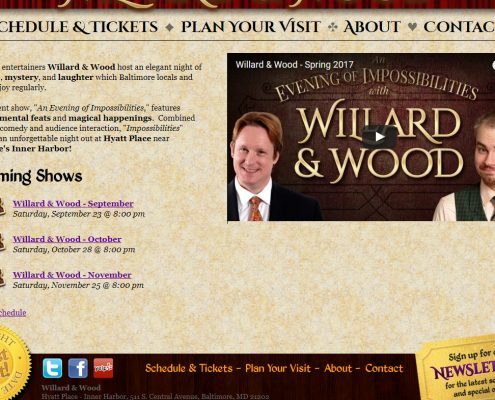 I designed and programmed this Performer’s website in Drupal 7. 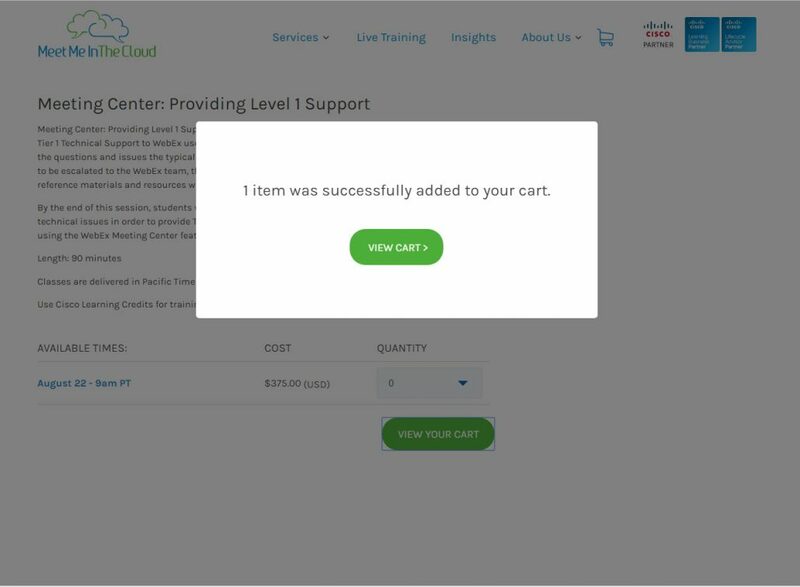 It includes a custom E-commerce solution for events and ticket sales that carries through with the Square API. 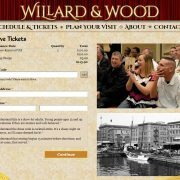 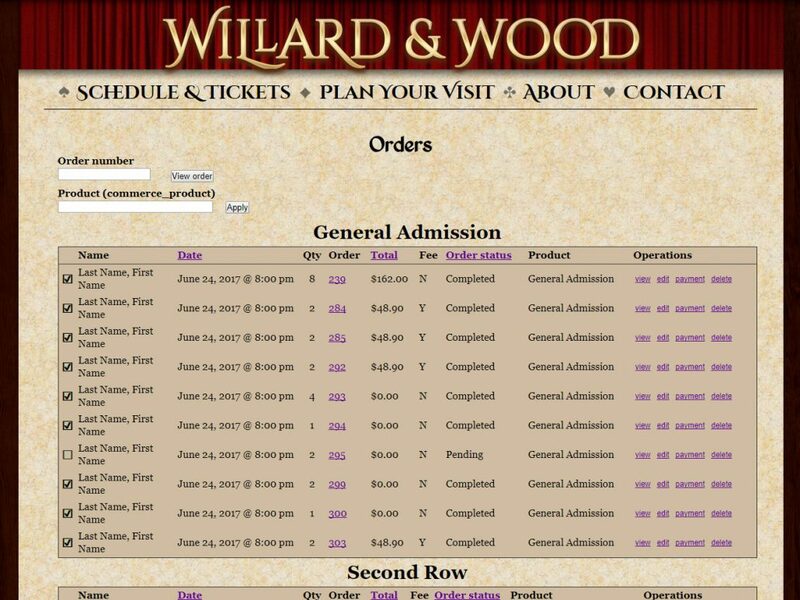 The site allows them to create repeatable, monthly performances and sell tickets with multiple coupon options. 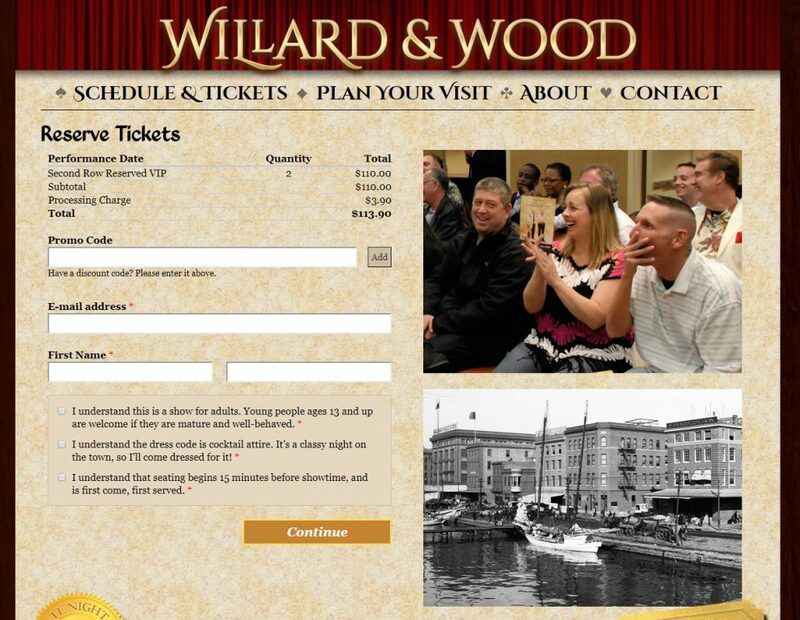 There is a manifest on the backend that allows them to check off audience members upon arrival. 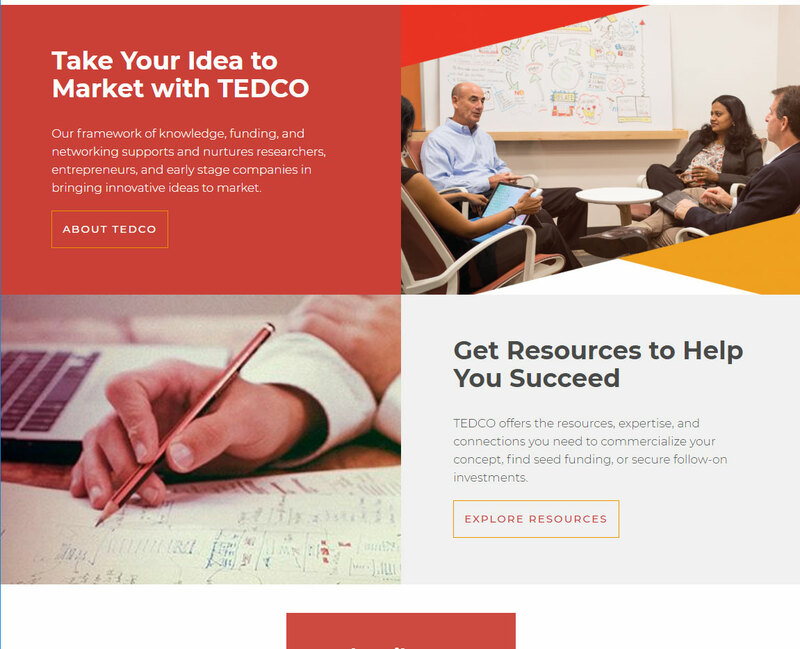 Designed and Managed by LaunchSnap. 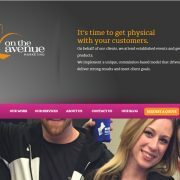 This custom WordPress theme was built overtop of Enfold and has several unique text layouts, a slider on the homepage built with Revolution Slider, scrolling logos, and an e-commerce sections that required a lot of layout customization on top of Event Espresso. 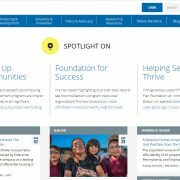 I was part of Fionta’s team of developers who put together this new site into Drupal 8 – a first for all of us. 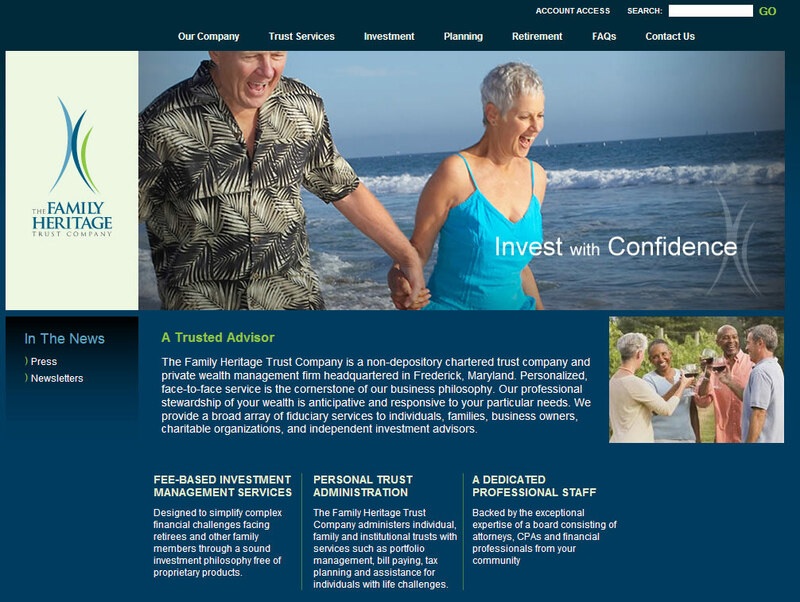 I handled back-end development, configuring Drupal to work the way the client wanted. 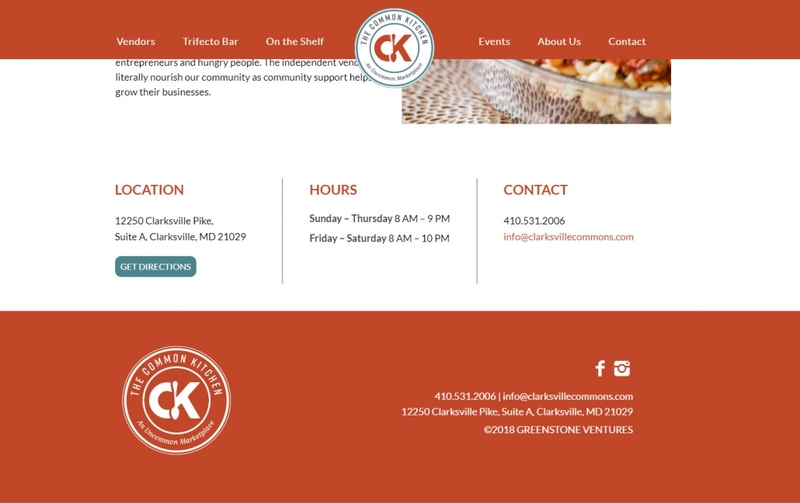 Some of the custom features built include the ability to create microsites, which have a different front-end design and menu, an endless loading news page in masonry style, document download counter, custom breadcrumb configuration, different footers depending on page settings, etc. 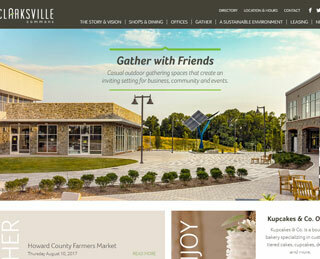 I assisted NOVA Web Group with this WordPress template build. 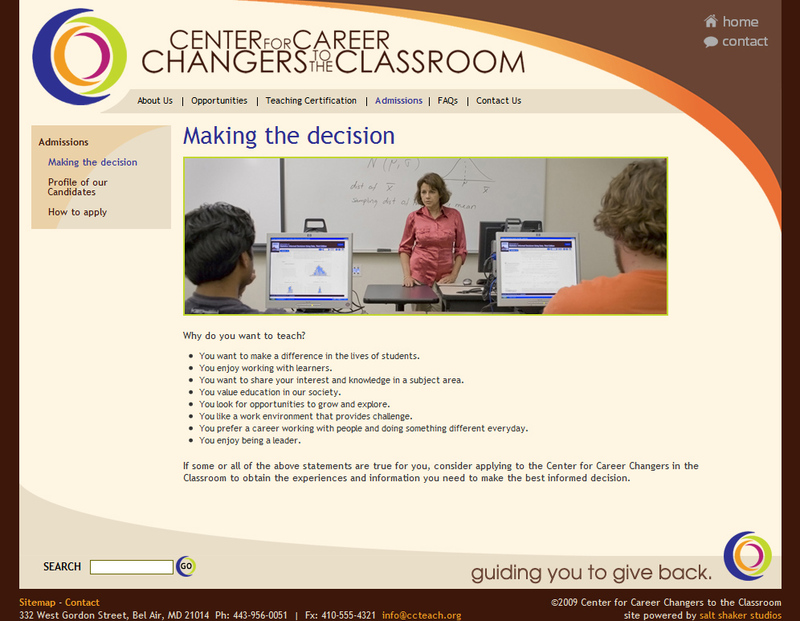 My part included CSS/Responsive perfections, Color-coded event calendar setup and configuration, blog setup and configuration, YouTube based video library, Facebook feed, Constant Contact integration, as well as a research portal that allows upload of data in CSV on the backend and outputs to a searchable database with map on the front-end. 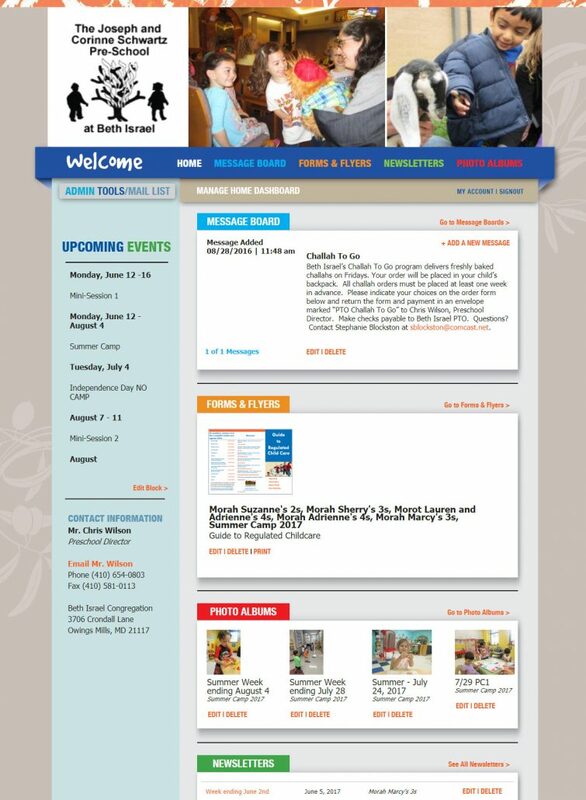 This WordPress site was a custom build on top of the Enfold parent theme and built in collaboration with LaunchSnap. 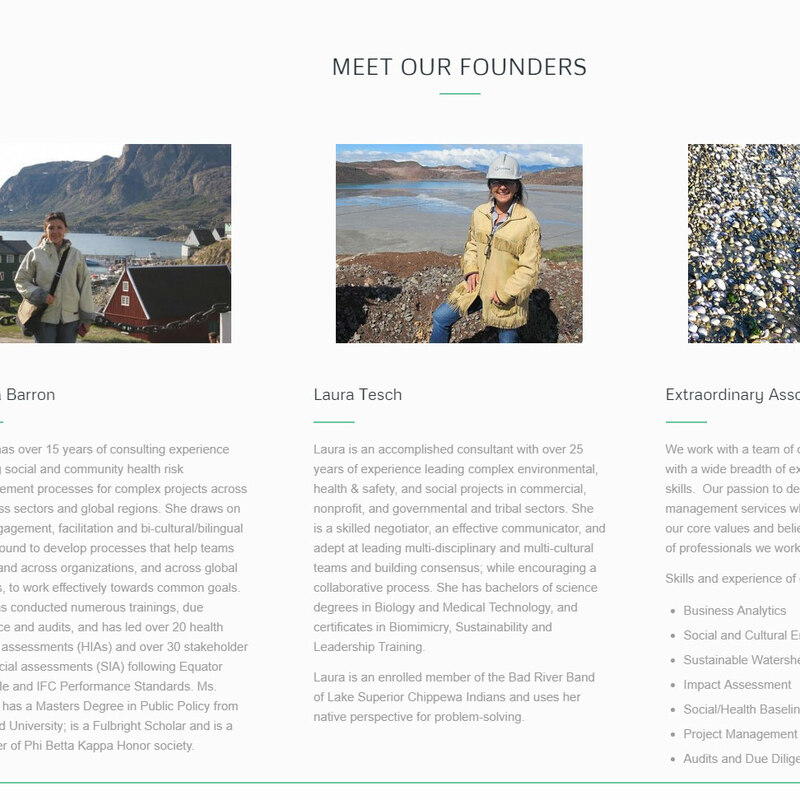 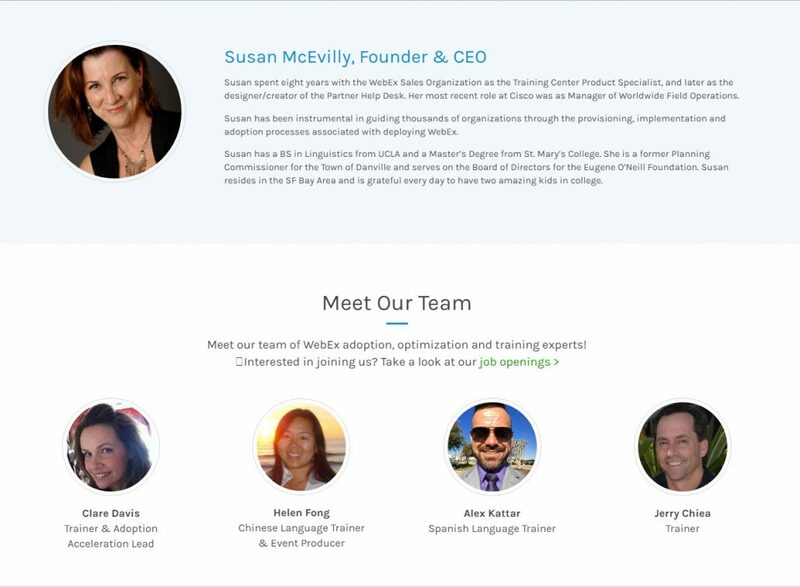 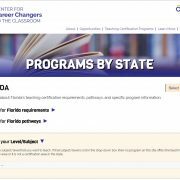 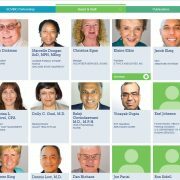 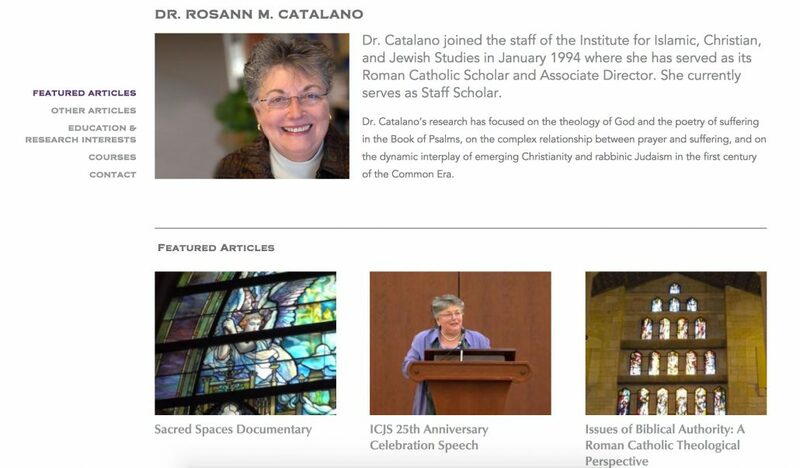 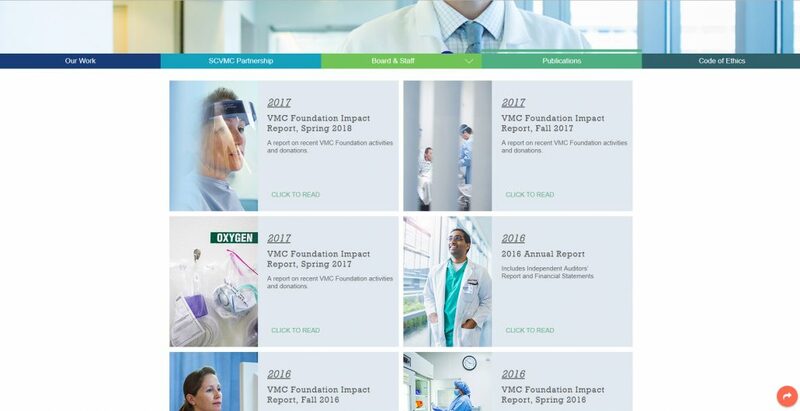 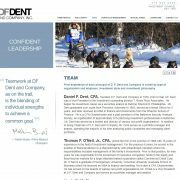 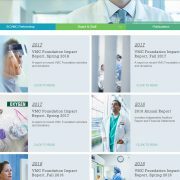 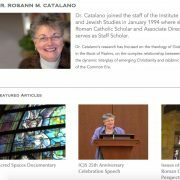 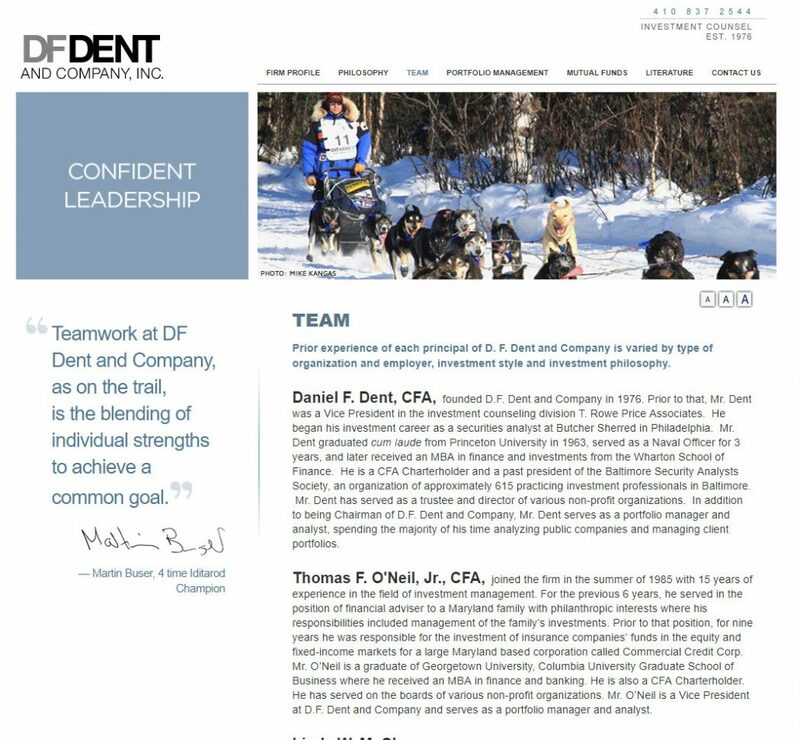 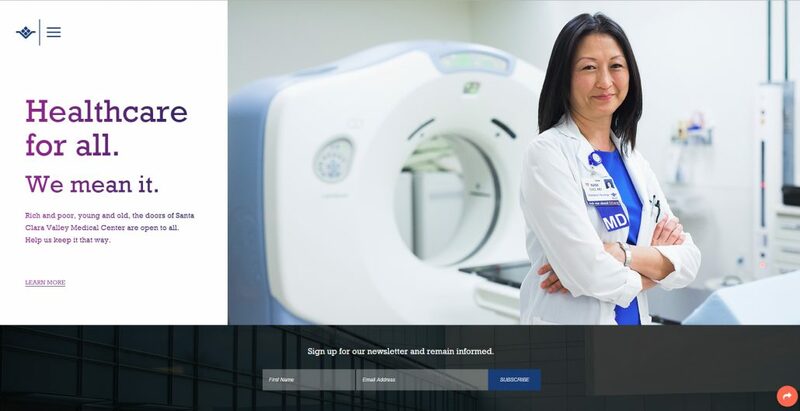 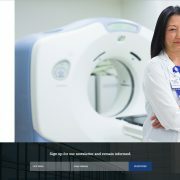 This site required a lot of extra CSS and jQuery work, to build several unique content layouts, and to get a scrolling banner on the team page, team bios that pop-up, with photos that change, all while staying easily editable in the back-end with Avia Layout Builder. 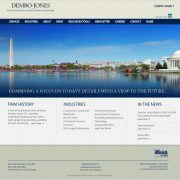 The site is responsive and features areas with video. 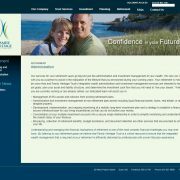 This wordpress site was built with the Enfold parent theme in collaboration with LaunchSnap (design direction). 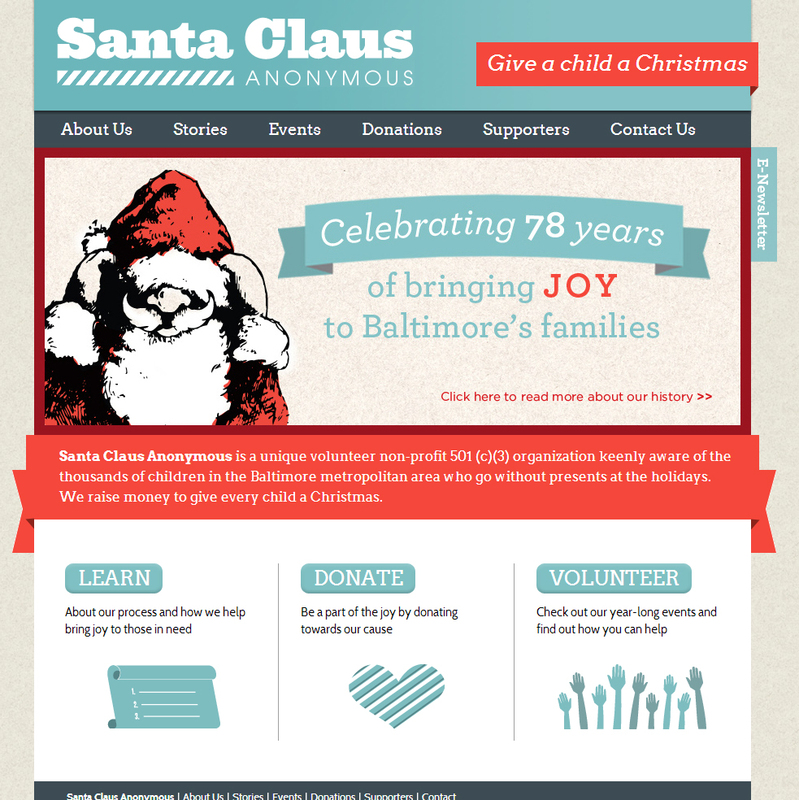 Teamed up with Fionta to do the back-end build for this site in Drupal 7. 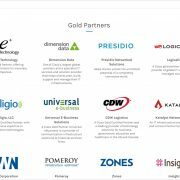 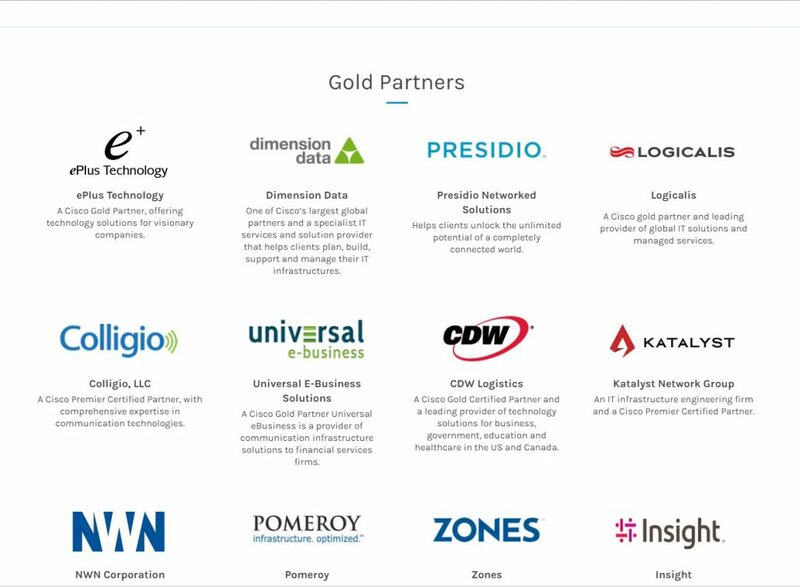 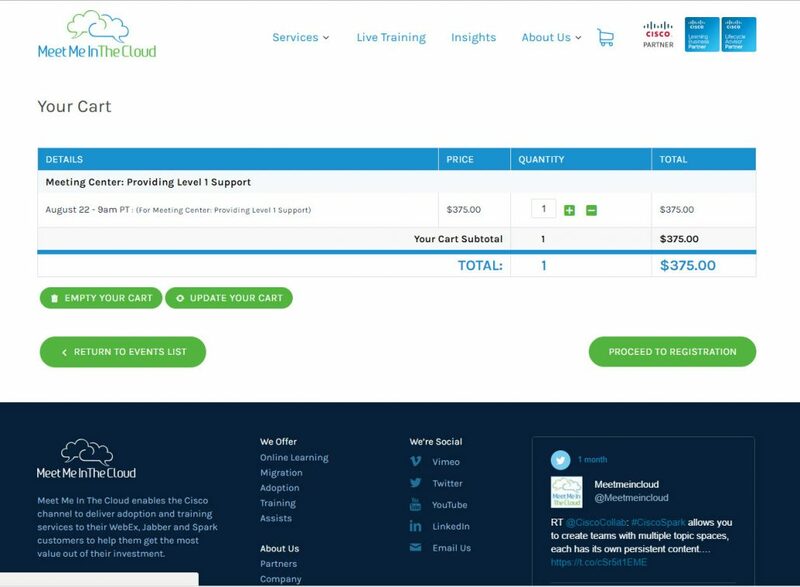 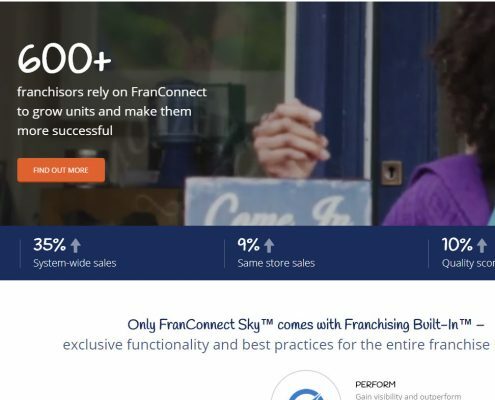 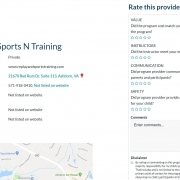 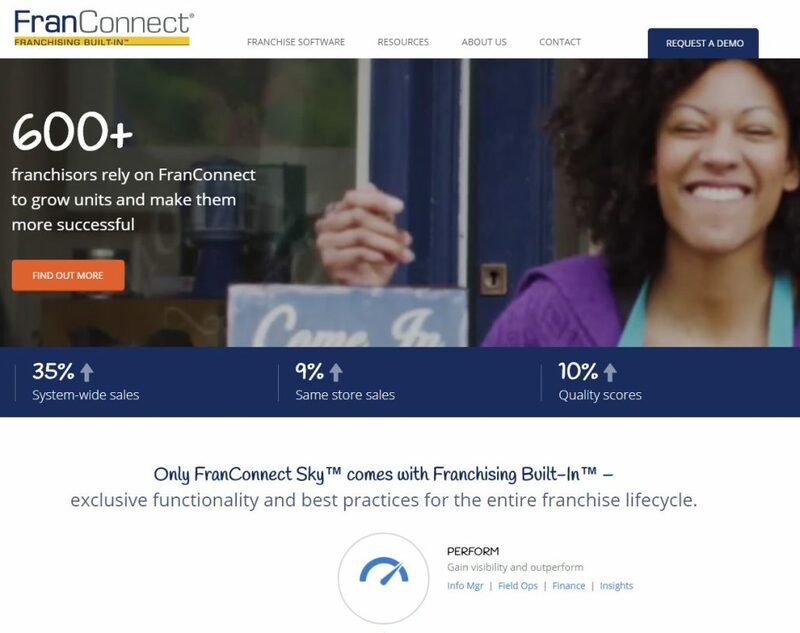 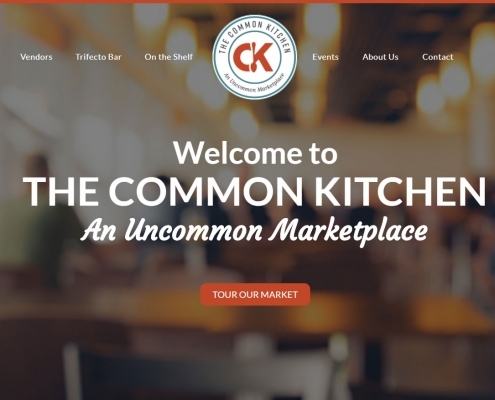 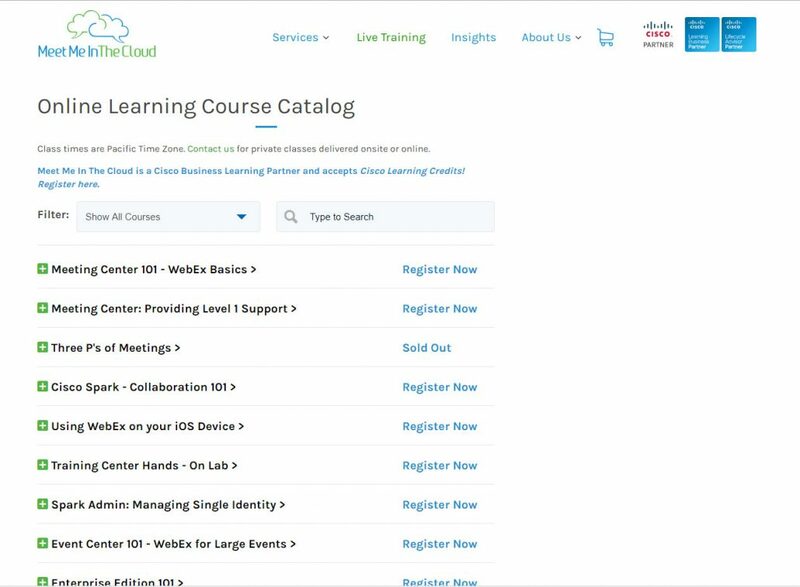 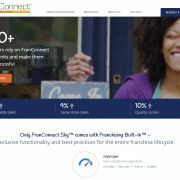 The site includes form integration with Salsa API, complex tagging system, Chapter finder using Google locations and syncing with Salesforce API data, a small shop with Ubercart, and easy to update event, blogging, and news systems. 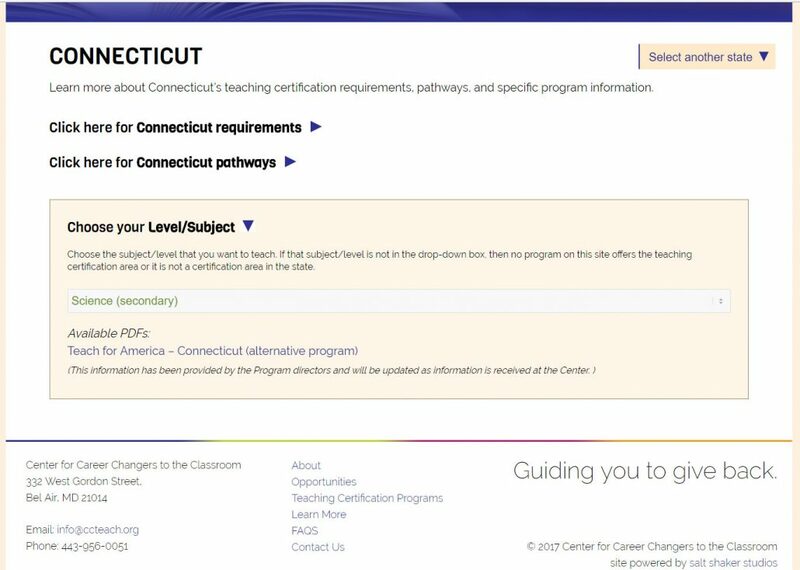 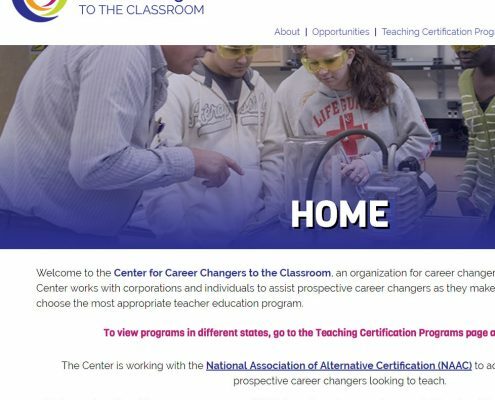 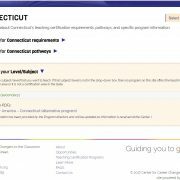 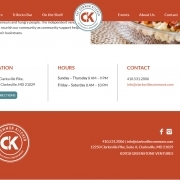 Original design work done by Megan McCarthy- I handled moving and preparing the hosting account, installing, configuring, and customizing the Drupal backend as well as building the XHTML/CSS Drupal templates. 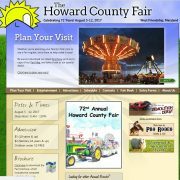 Some jQuery was utilized for interactivity as well as sIFR font replacement techniques. 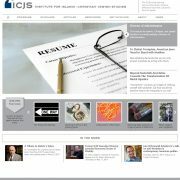 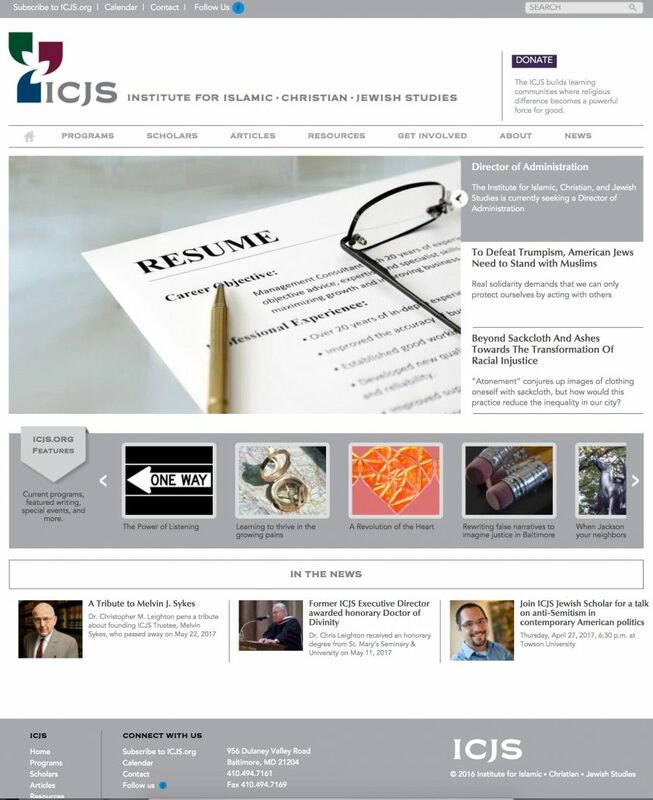 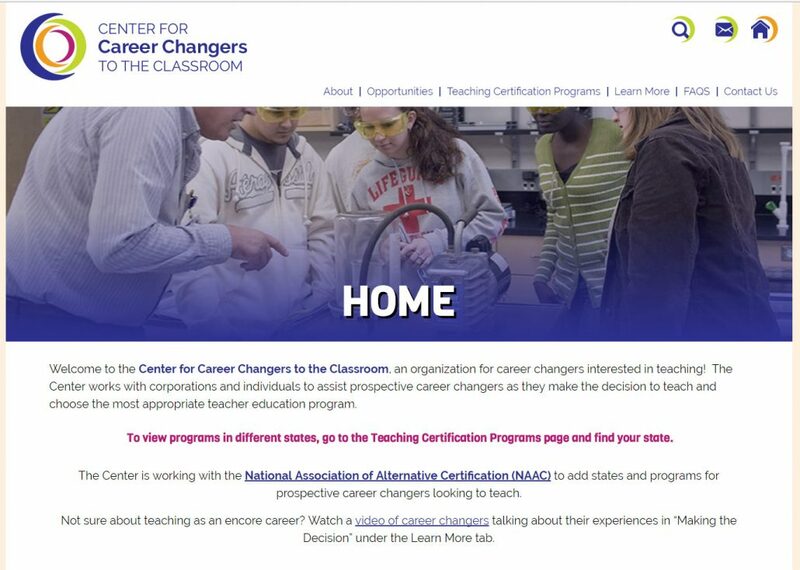 The site was recently updated with some design sprucing up with the help of Jessica Painter. 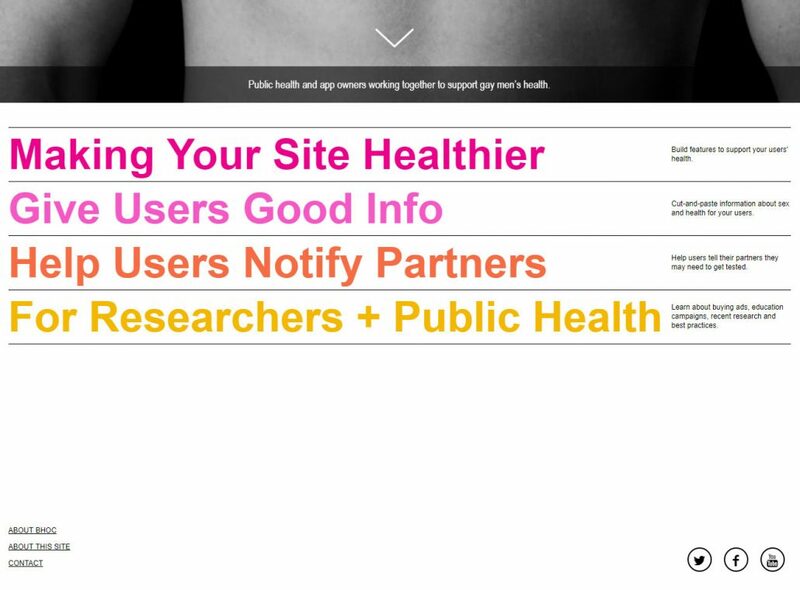 We widened the site, added modal windows and sliders for the videos, made the site responsive, and updated the font rendering to use the now more common Google webfonts. 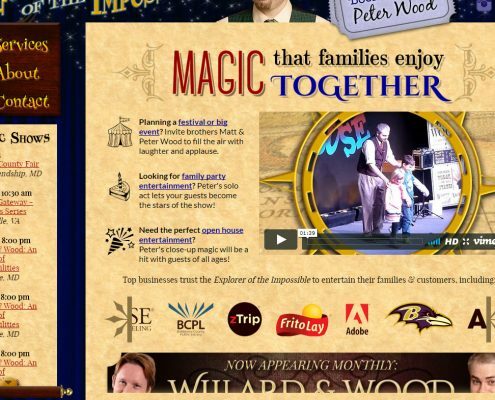 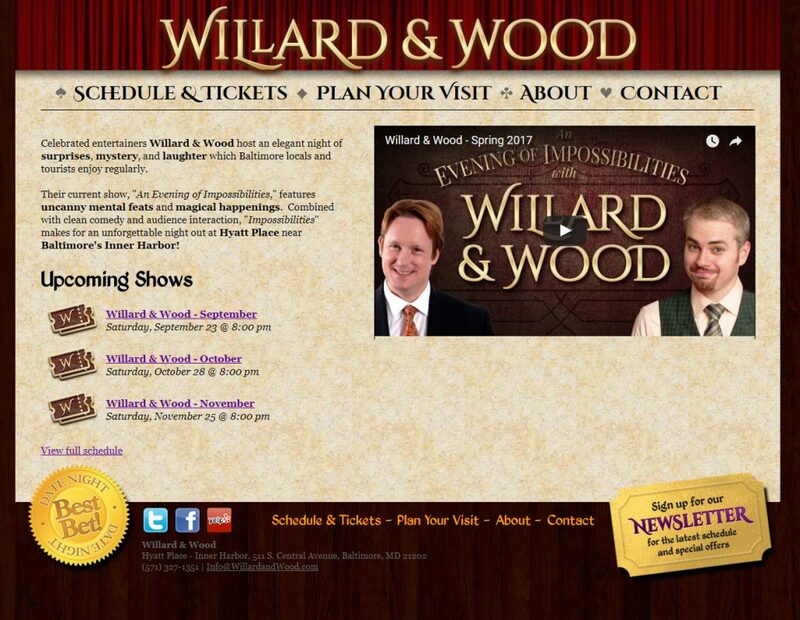 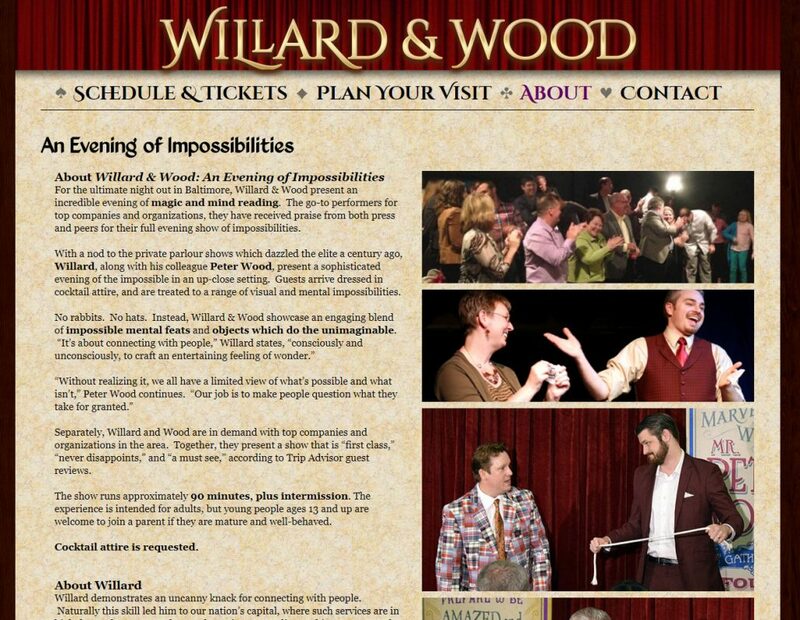 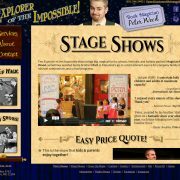 Custom design and custom build for magician’s website. 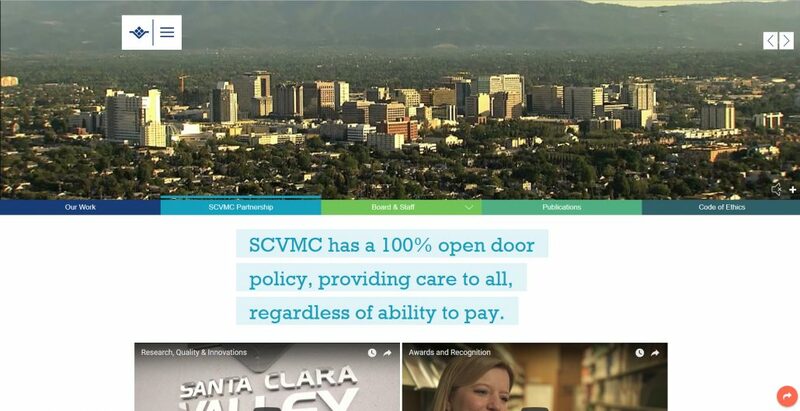 This special case is not built on any CMS, just hand-coded. 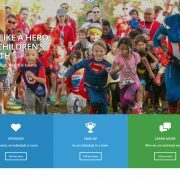 It includes lots of fun custom jQuery work including a scrolling poster menu, animated transitions between pages, a logo scroller, and a custom scrollbar. 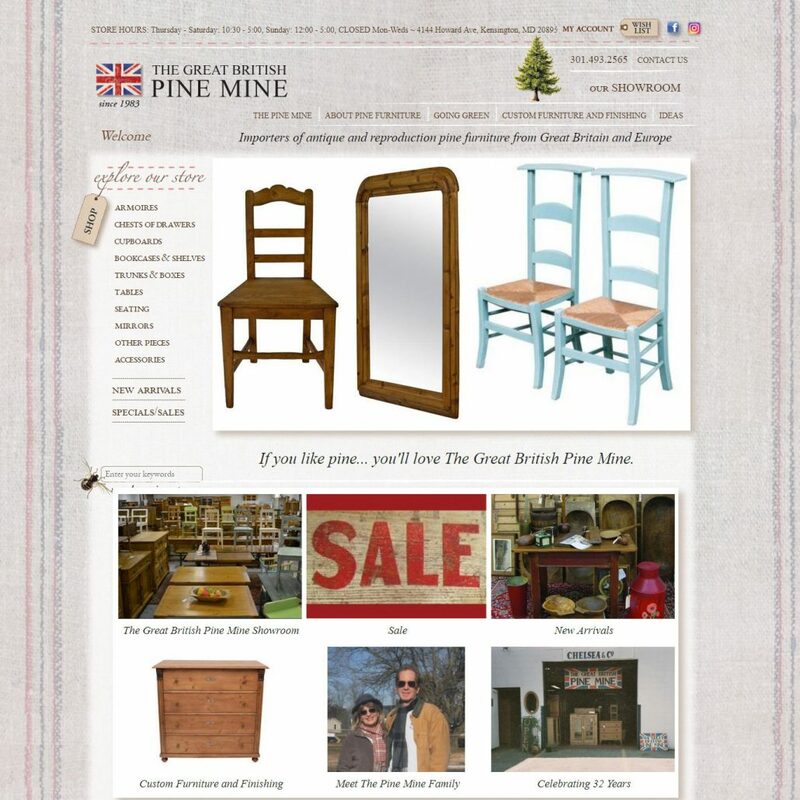 This site scales to fit within any desktop browser window without scrolling. 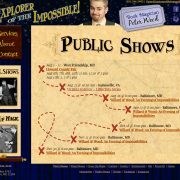 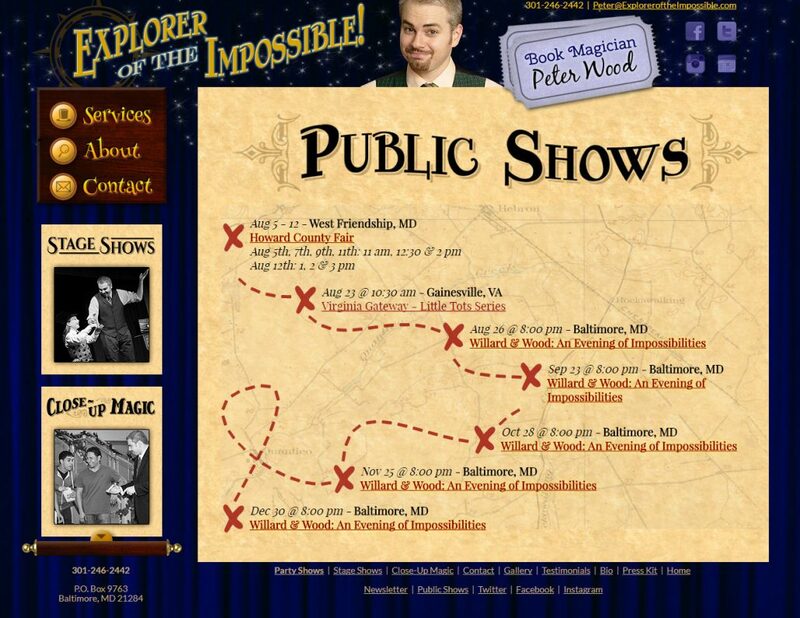 I also generated a fun “map-like” layout for upcoming shows and a two-step contact form. 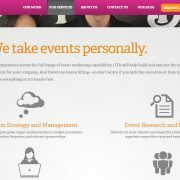 I designed and built this multi-purpose site on a Drupal 7 backend. 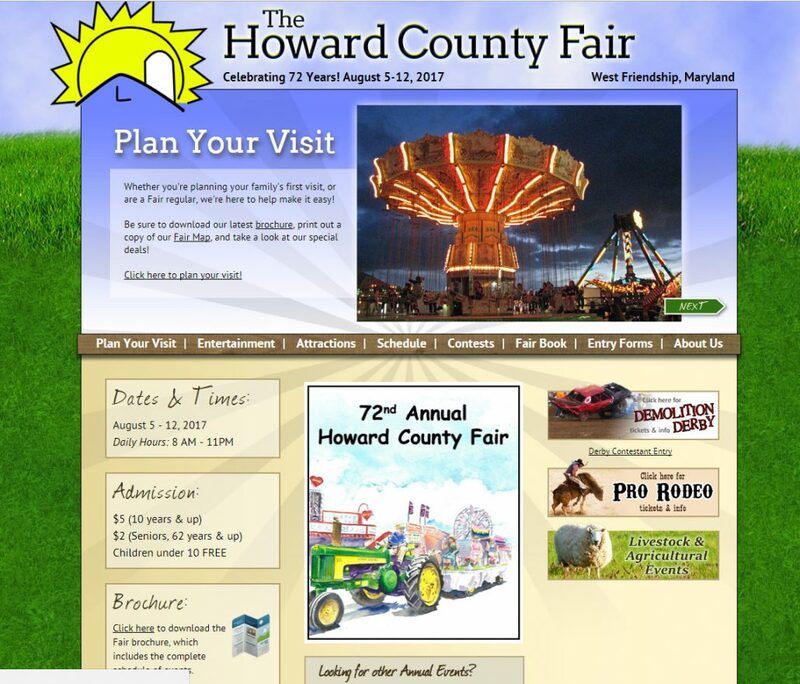 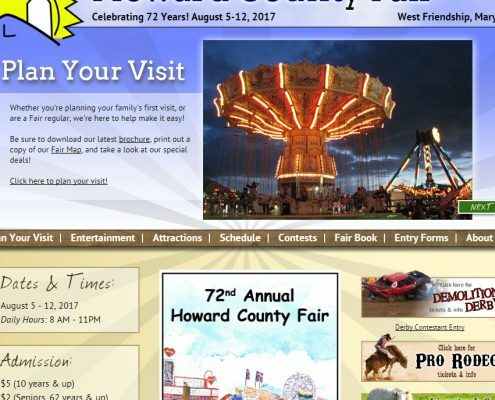 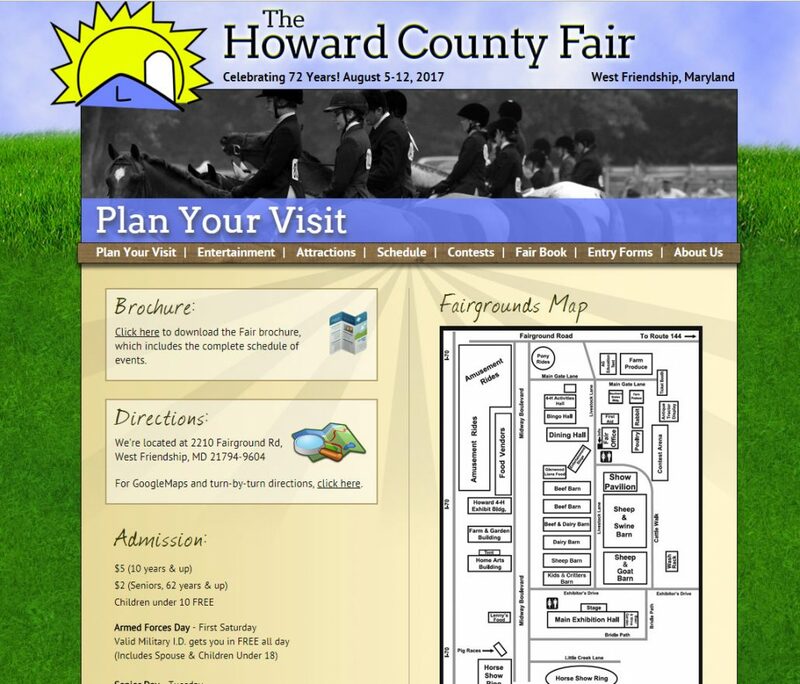 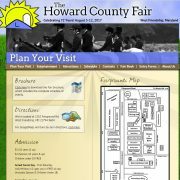 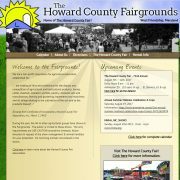 The site uses Domain Management to host both the Fairgrounds website as well a the County Fair’s website on the same Drupal backend. 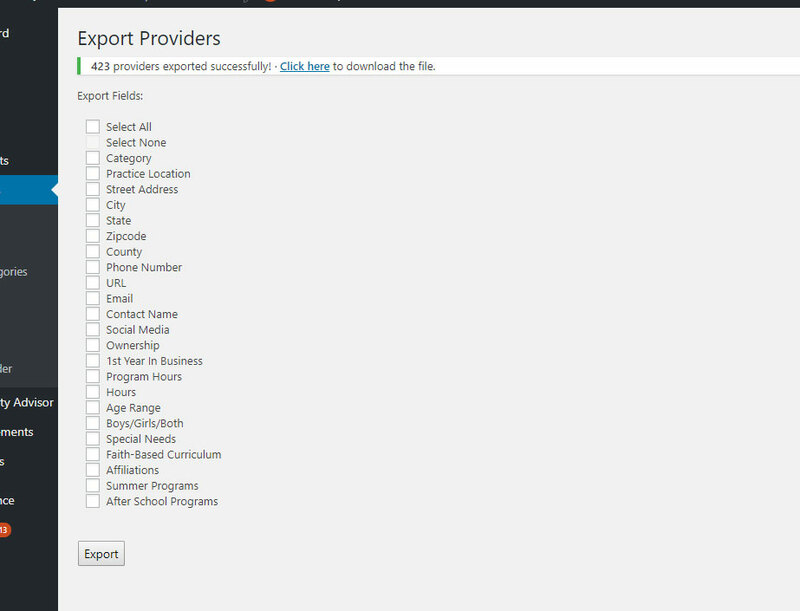 There is a jQuery slider and a custom Entertainment content type to make updating easier. 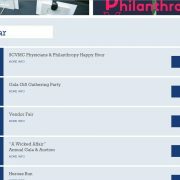 Drupal 7 theme and build for Six Ink with jQuery banners, PayPal donation form integration, and a modular event calendar. 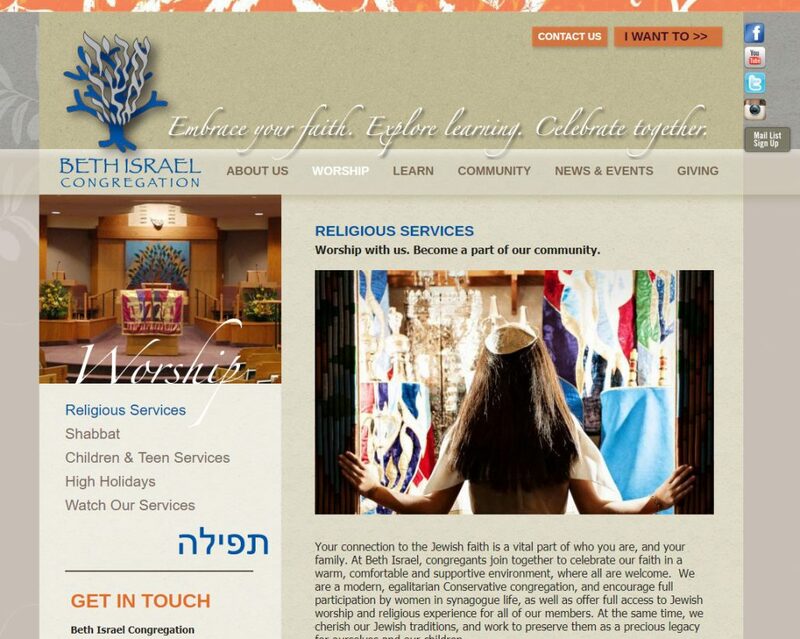 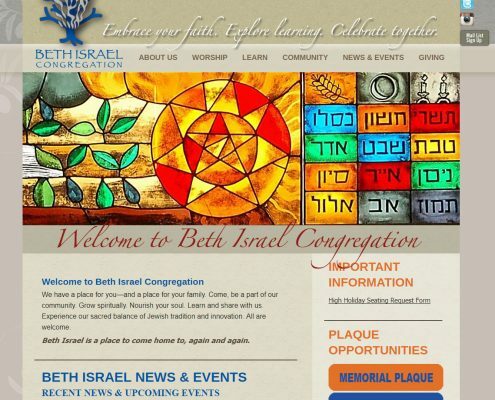 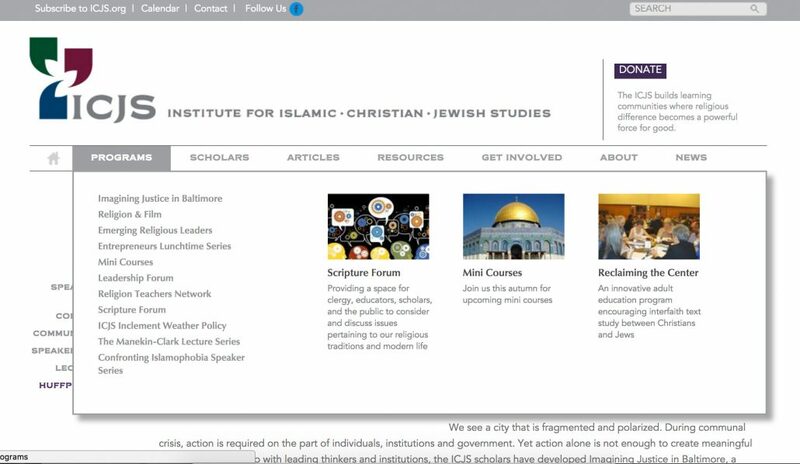 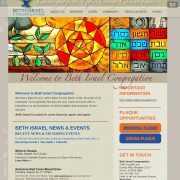 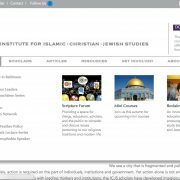 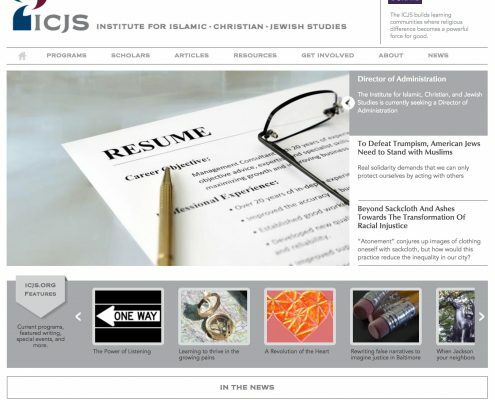 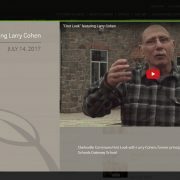 I also created a Preschool portal for this synagogue, which uses the same Drupal 7 back-end but uses a different theme. 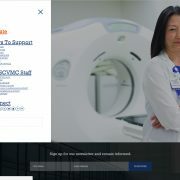 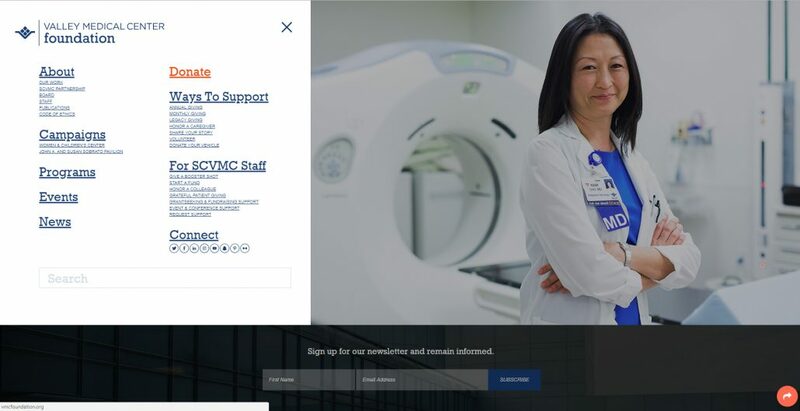 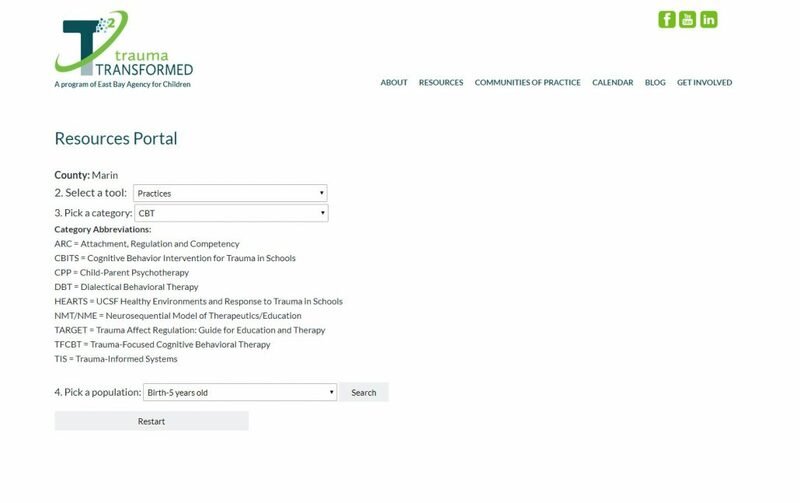 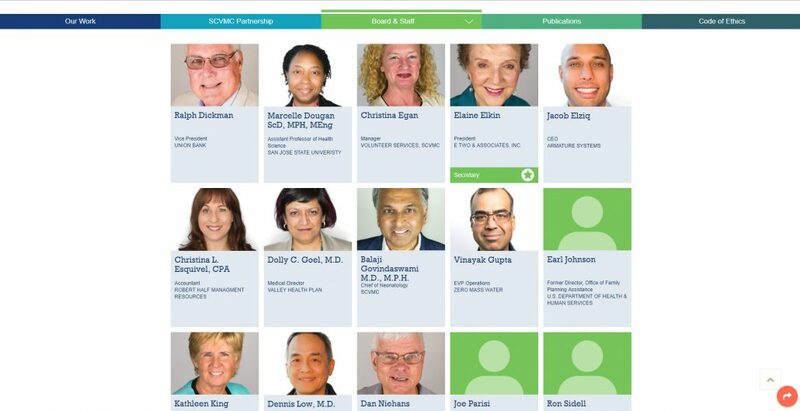 The portal is chock full of custom membership only features such as role based permissions, messaging center, event listings, flyer and photo album sharing, and e-mailing members from the admin. 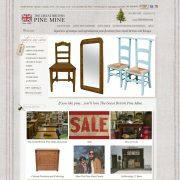 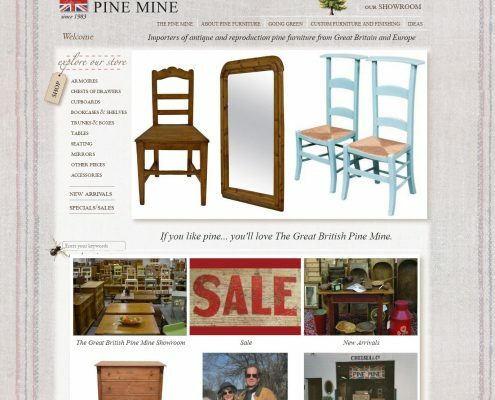 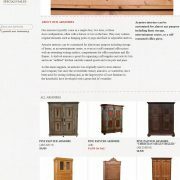 Drupal 7 theme and build for antique furniture store done in collaboration with Six Ink design. 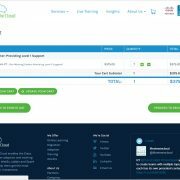 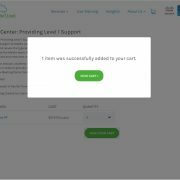 This site includes an e-commerce area using Ubercart with user wishlists, e-mail a friend feature, inventory management, and sales. 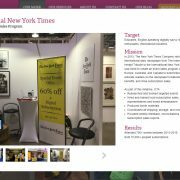 The site is built around a categorization system with lots of product slideshows and an automatic zoom feature for product display using jQuery. 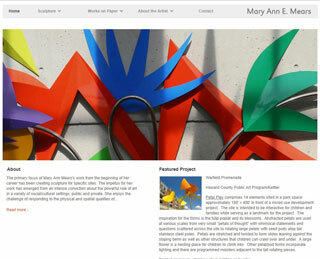 Single page, parallax WordPress theme built with Visionmark design & management. 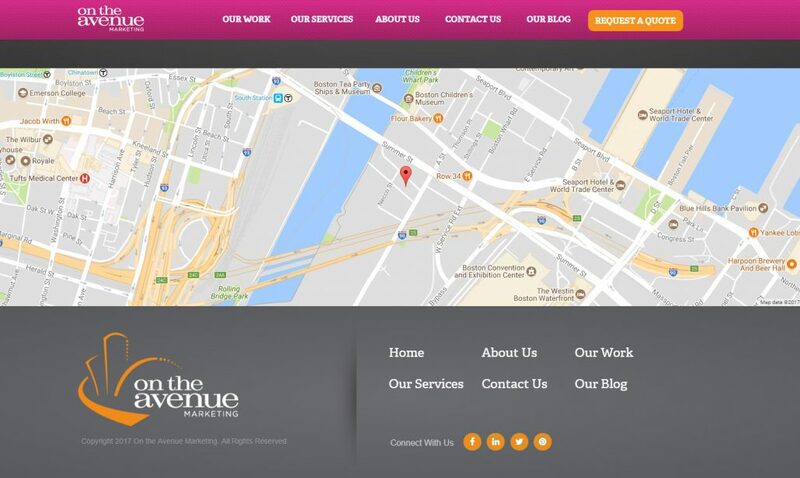 This custom WordPress theme uses lots of custom jQuery work: editable parallax banners, a pop-out portfolio with a scrolling photo carousel, scrolling client logos, pop-out contact forms, toggled content, scrolling top menu. 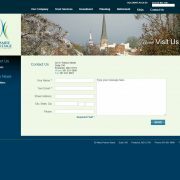 Plus a full size google map, and a contact form. 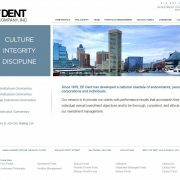 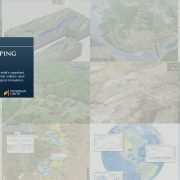 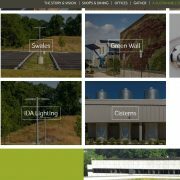 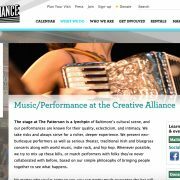 Working with the talented designers at Orange Element, I built this site from a design file into a fully functional Drupal 7 website back in 2013. 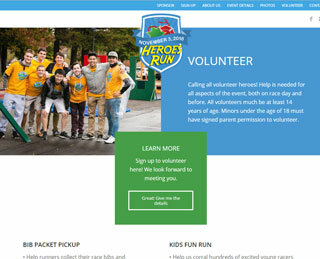 Some features include an easily editable slideshow, donation form that works with Authorize.NET, and subsequently an entire CRM for client and event management built into Drupal with CiviCRM to replace their old solution. 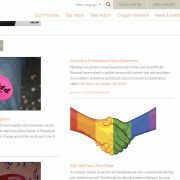 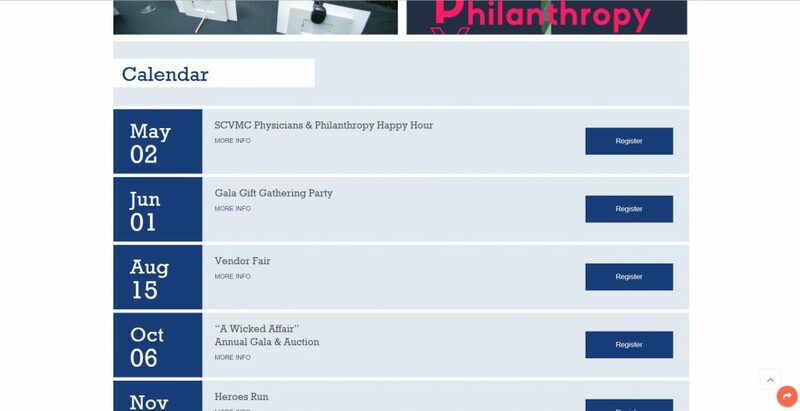 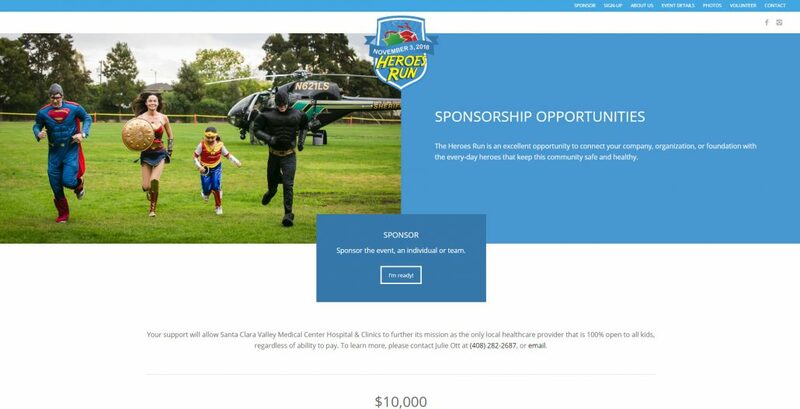 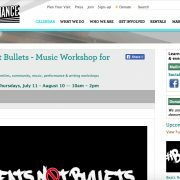 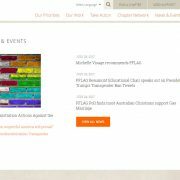 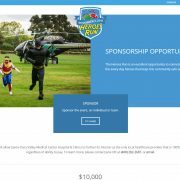 In 2018, I’ve begun transitioning this site to WordPress and moved the donations and event registrations here. 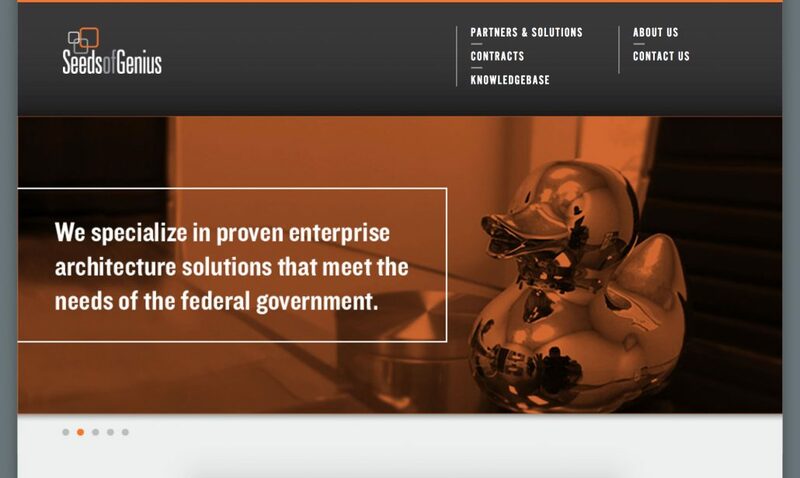 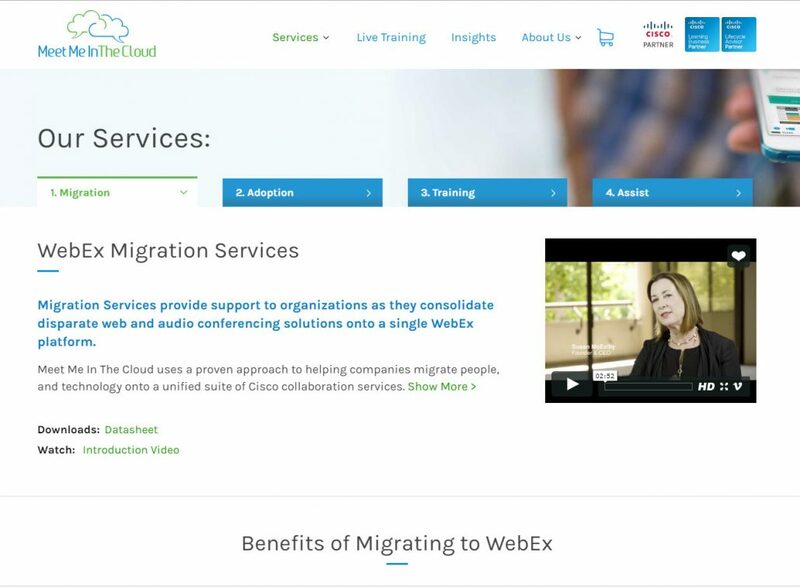 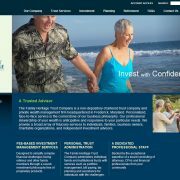 In collaboration with Visionmark Communications, I built this Drupal 7 site from a provided design. 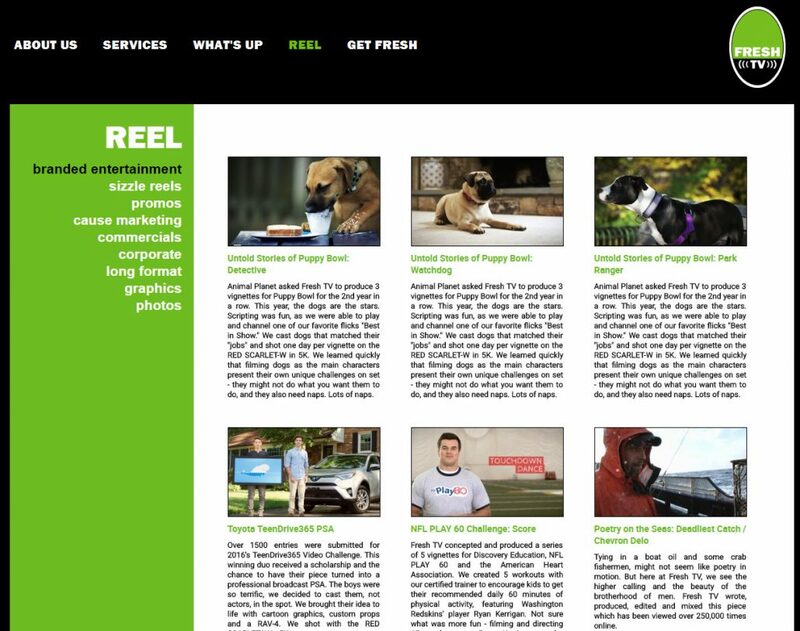 The site includes integration with Mailchimp, various ways to display different types of multimedia, a unique heirarchy page structure, multiple latest content sliders for the homepage, a menu with a content summary, the ability to generate code for e-mails and newsletters within the Drupal CMS, and more. 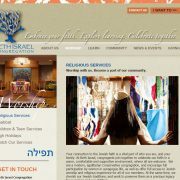 In collaboration with Orange Element, who designed this website, I built ths website with Drupal 7. 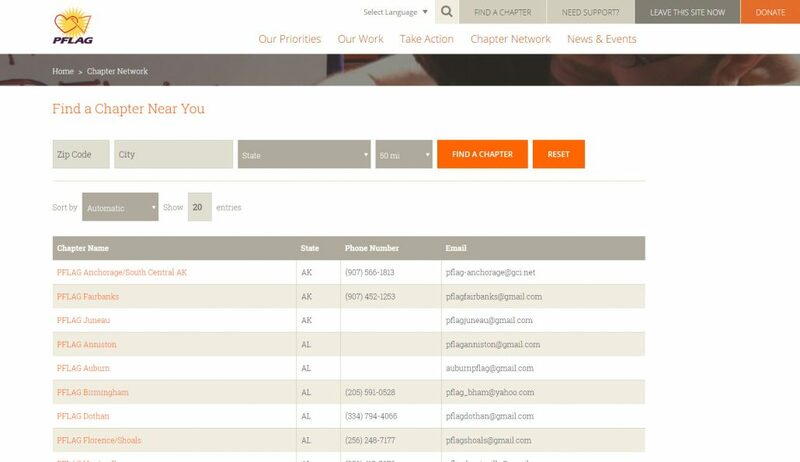 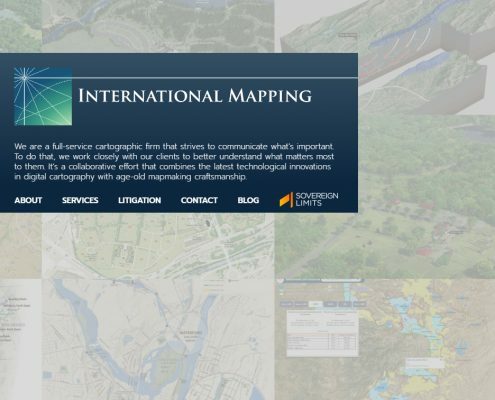 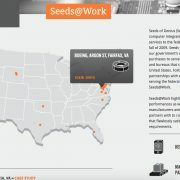 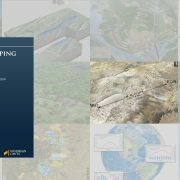 Some features include an editable slideshow, custom mapping feature of project locations, and an order tracking system. 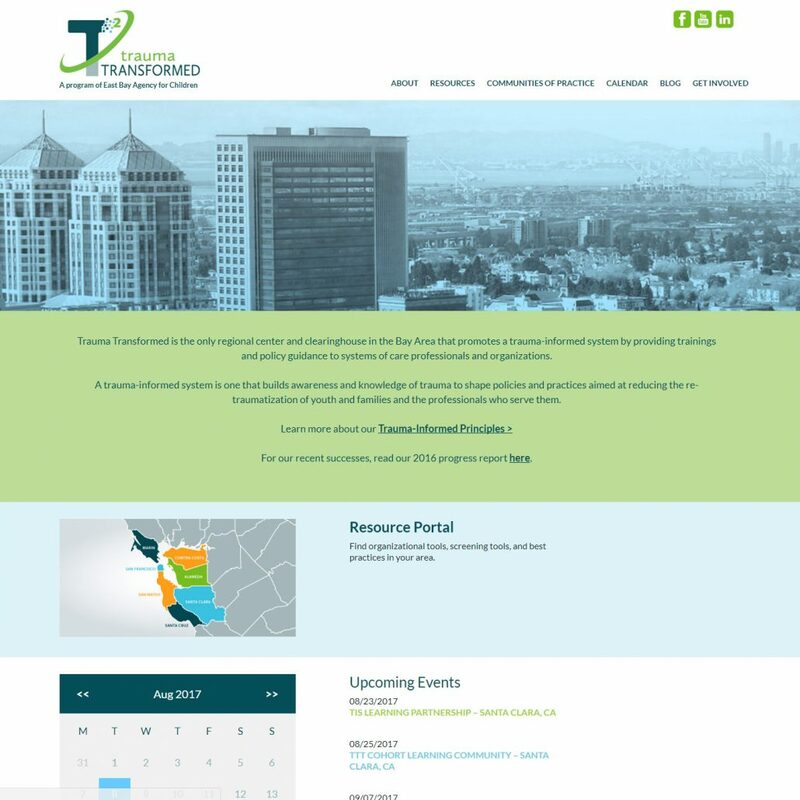 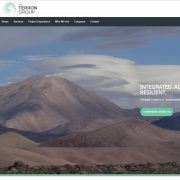 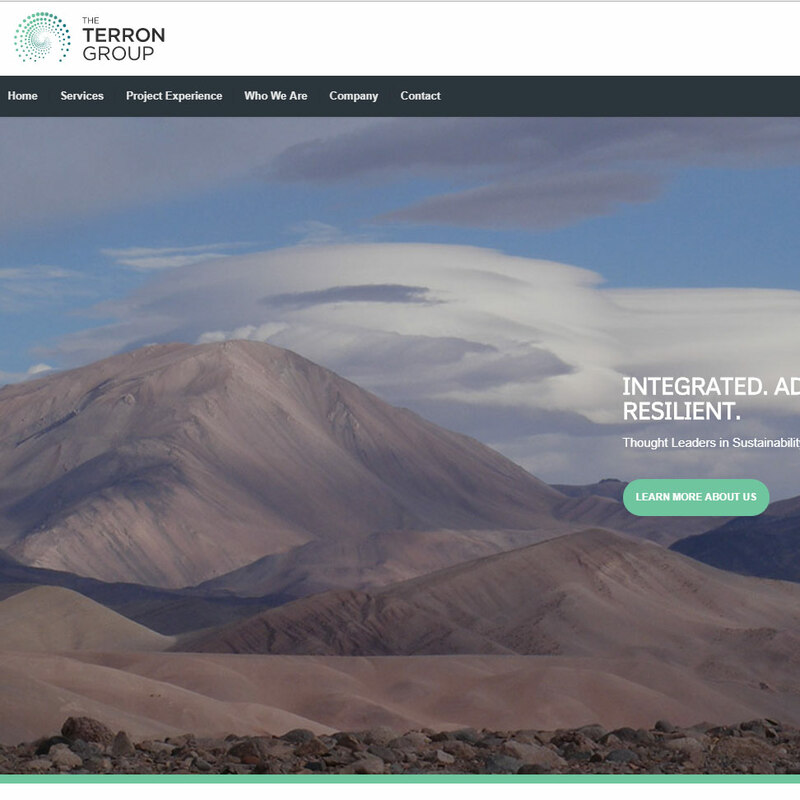 In collaboration with The Berndt Group, who designed and did the front-end development on this website, I built the back-end of this website with Drupal 7 and developed the Drupal 7 theme from provided HTML & CSS files. 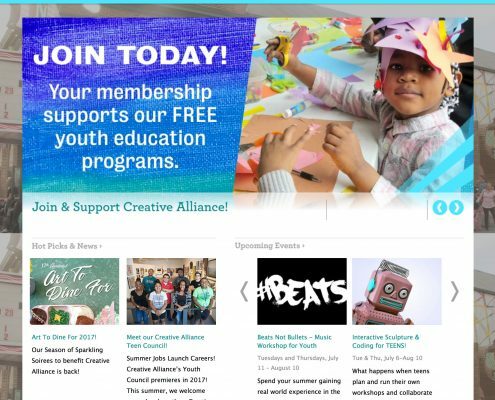 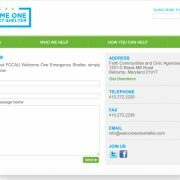 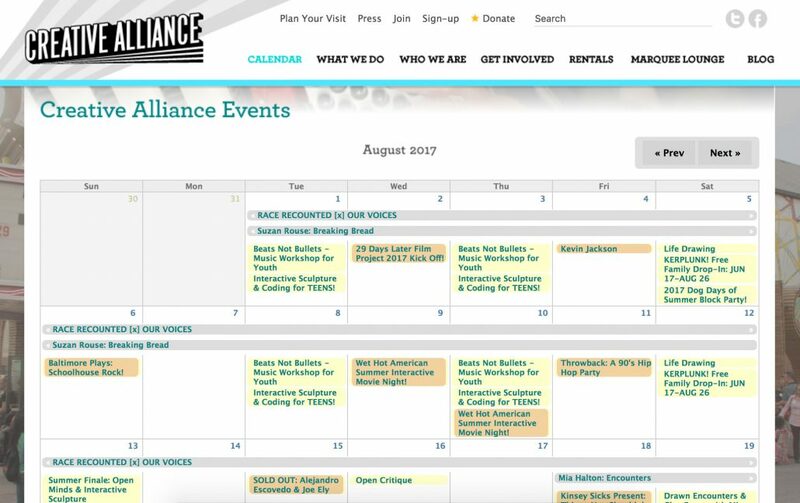 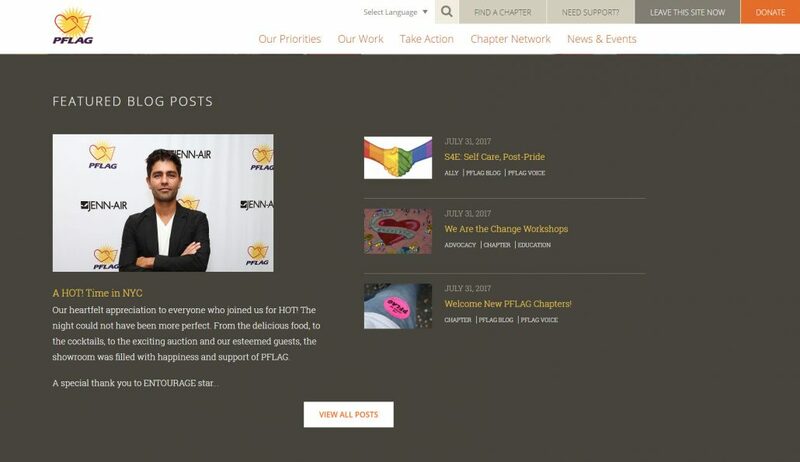 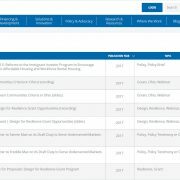 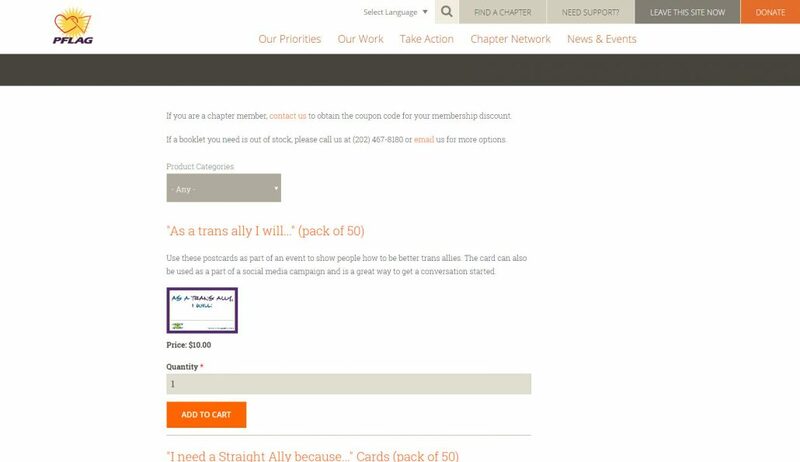 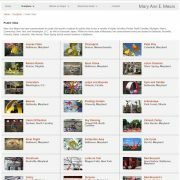 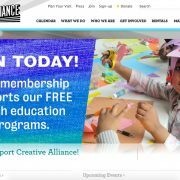 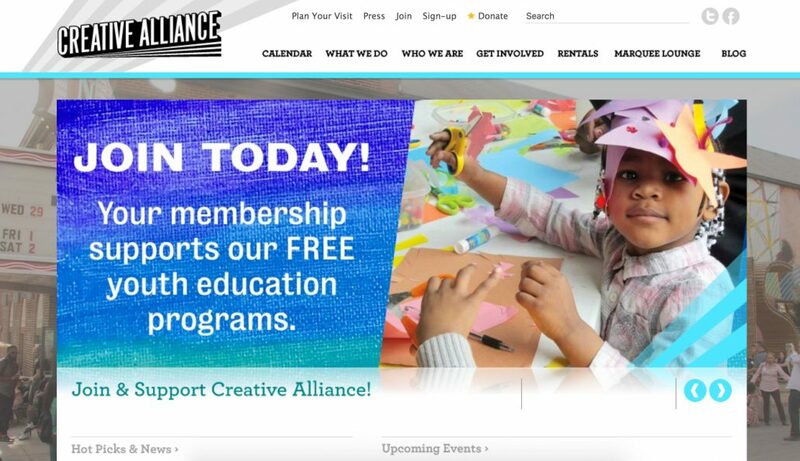 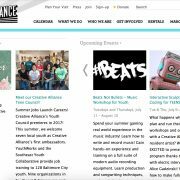 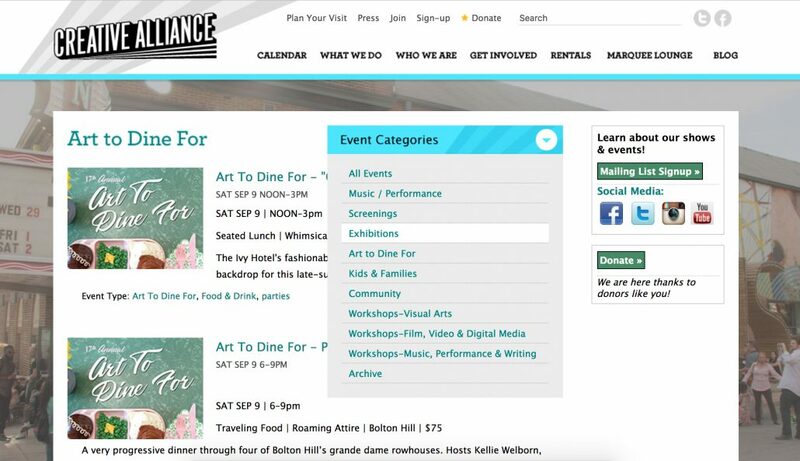 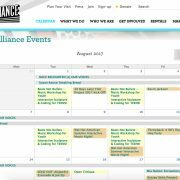 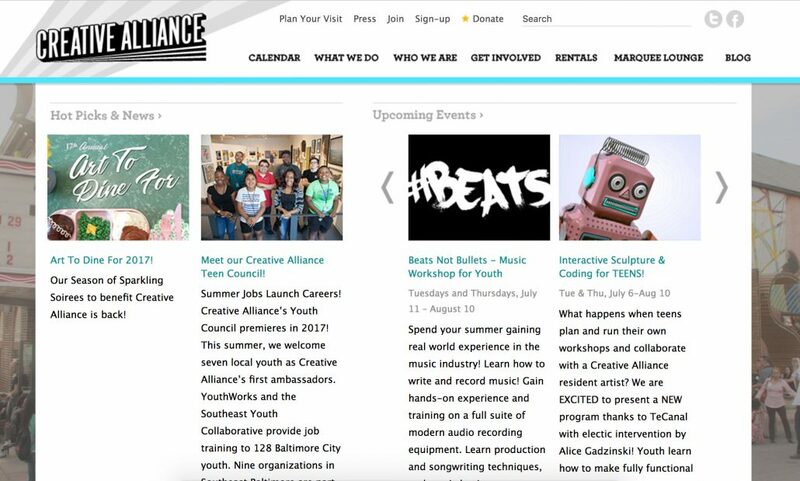 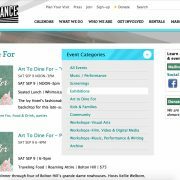 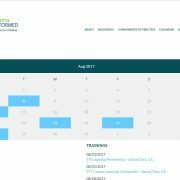 This CMS makes it easy for all volunteers at the Alliance to easily add and update news, events, blog, and multimedia. 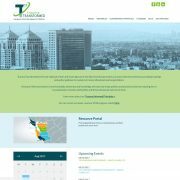 In a collaboration with Laun Studios, I built this website template using tableless XHTML and CSS from a provided design. 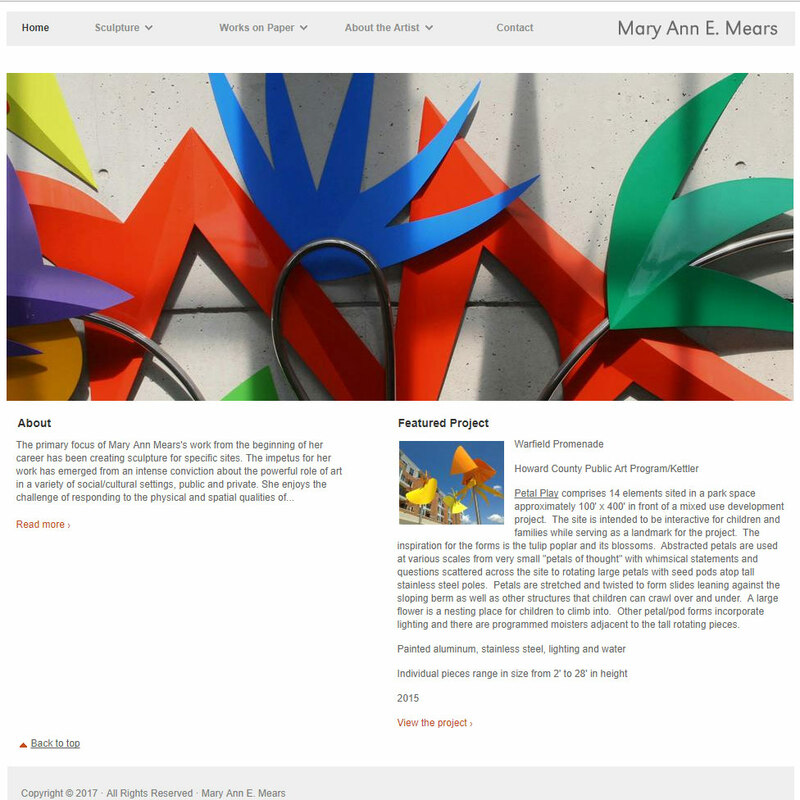 The backend was developed using Drupal 7. 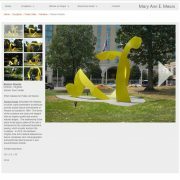 Working with designer Jae Shin’s provided design, I built Drupal 7 templates for this artist’s website. 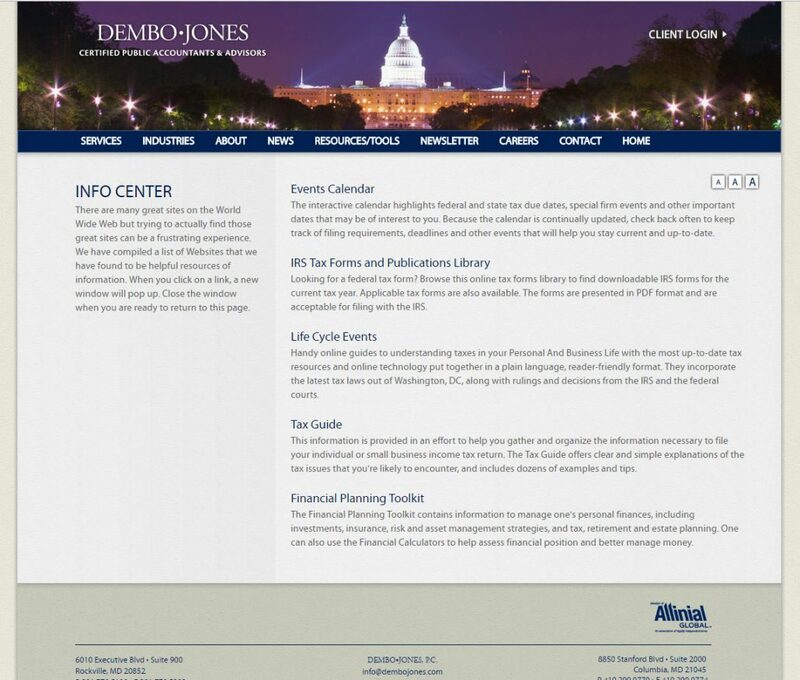 I also configured hosting and built out all Drupal functionality including a sleek portfolio with jQuery. 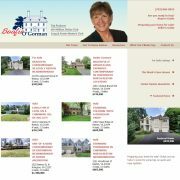 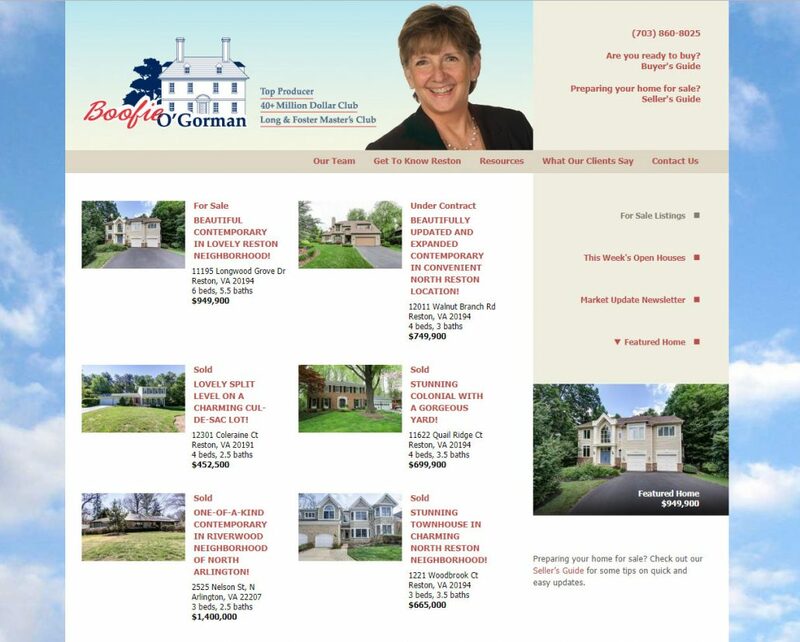 This real estate website was done in conjunction with Nova Web Group, and design by Julie Young Design. 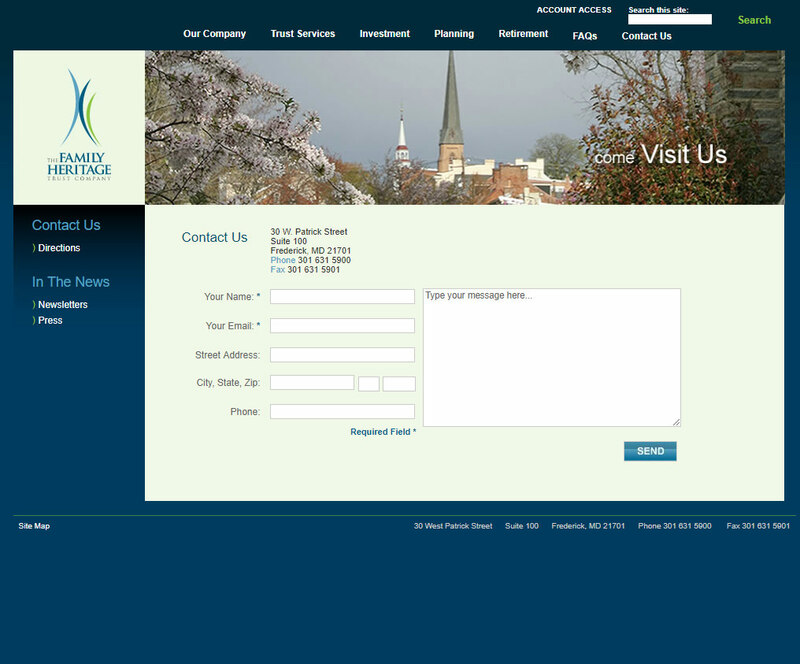 I create the xhtml/css templates for Drupal 6 and installed and configured the Drupal back end. 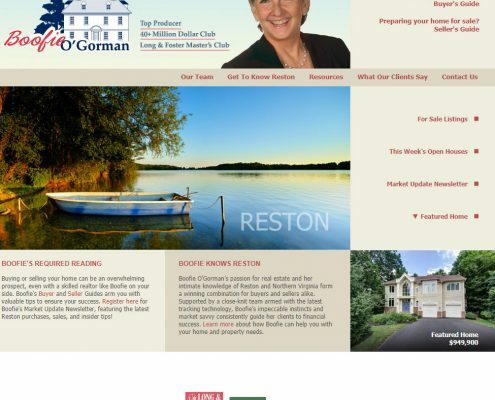 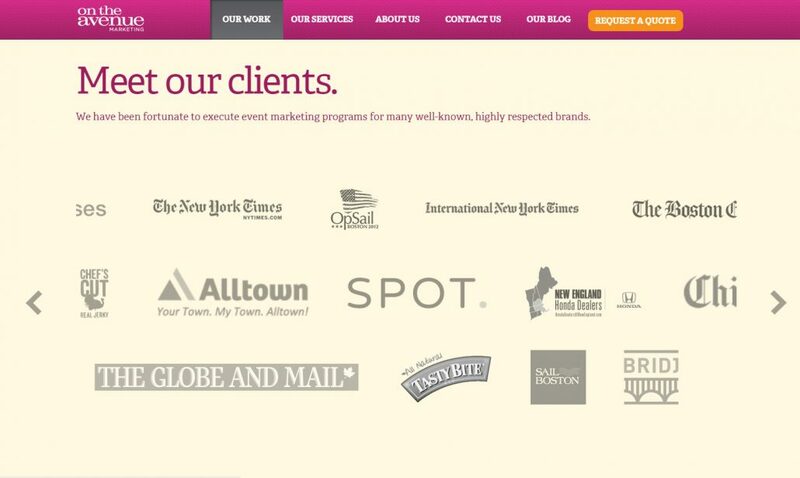 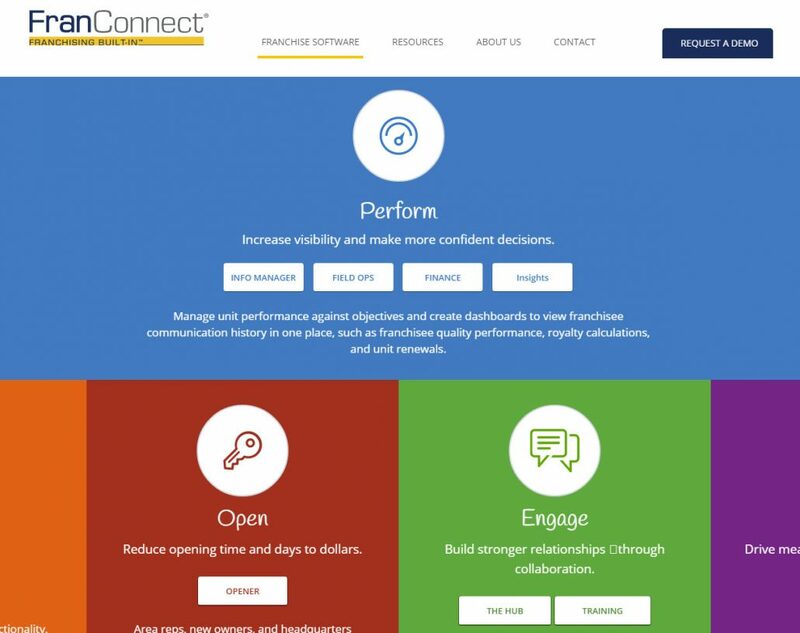 This website was built in collaboration with Visionmark Communications. 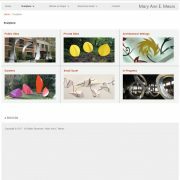 I built the XHTML/CSS Drupal templates from a Visionmark design and developed a Drupal 6.0 backend. 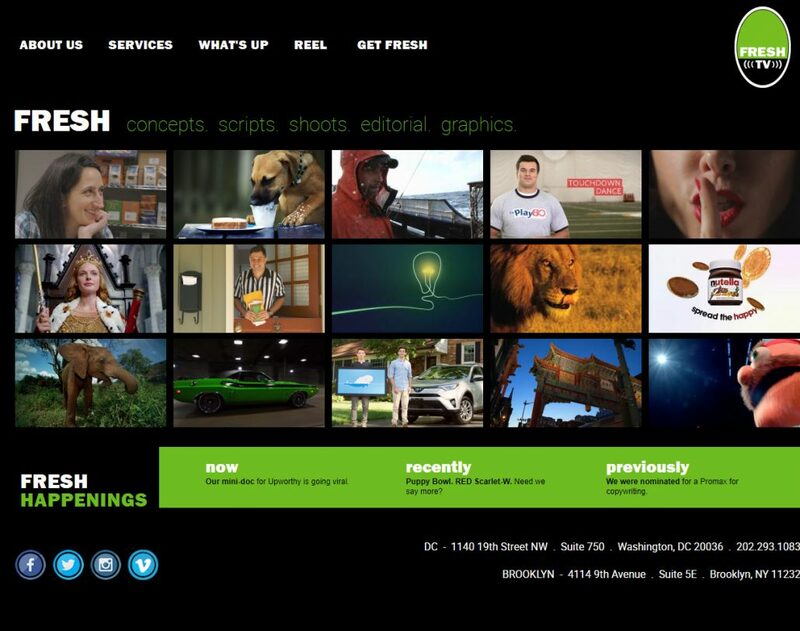 Also developed a large flash intro and several flash headers for all the inside pages. 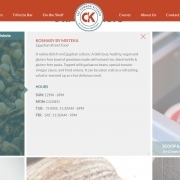 jQuery was used to build fly-out menus. 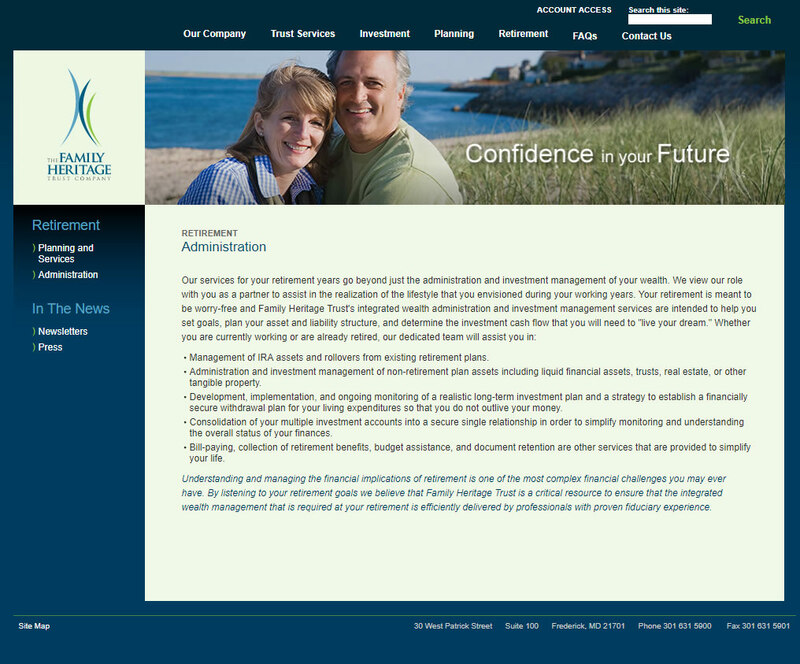 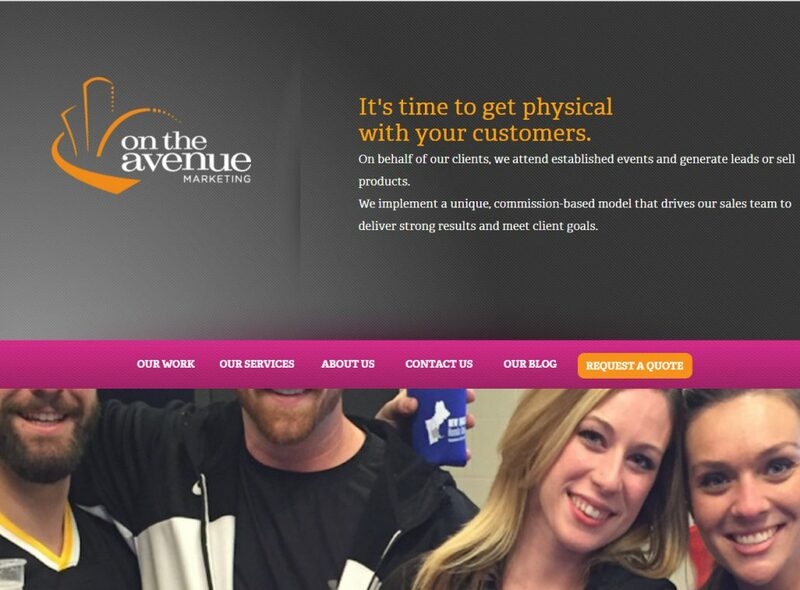 This was a financial website built in collaboration with Visionmark Communications. 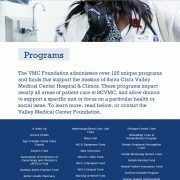 I built the XHTML/CSS Drupal templates from a Visionmark design and developed a Drupal 6.0 backend that includes rotating headers, news items, and a contact form.